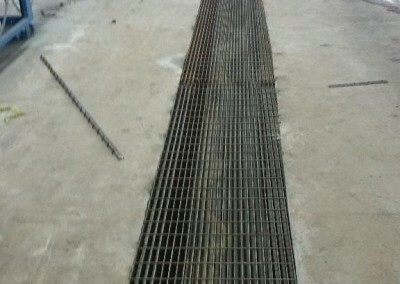 Some samples of works we’ve done. 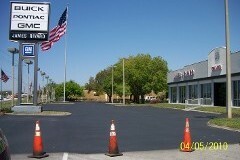 If you like what we’ve done please leave us a review on Google! 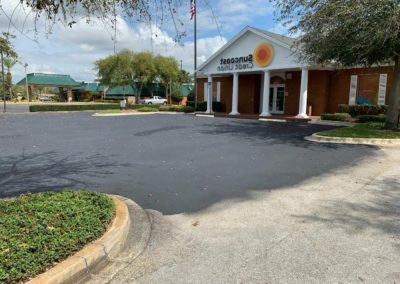 Click the following link and when the review window pops up click the button “Write a review” in the top right corner: Review us on Google! 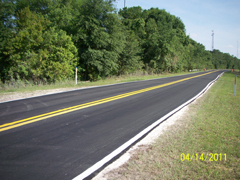 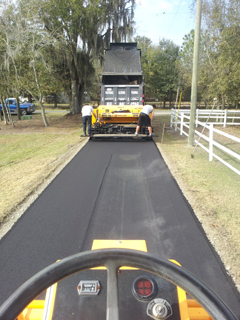 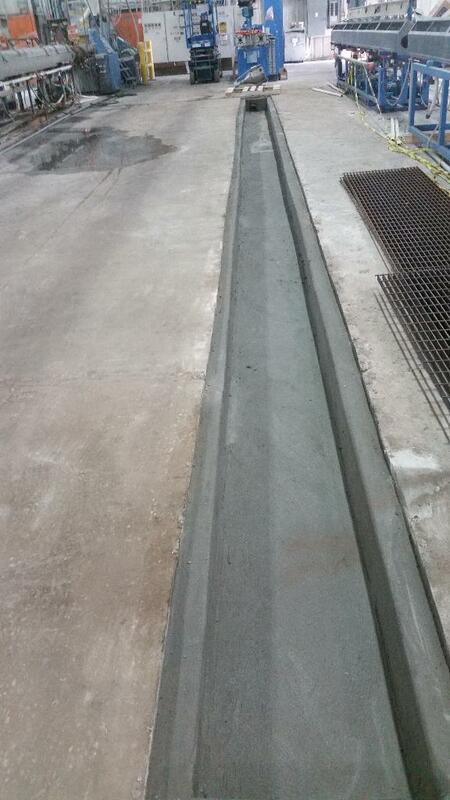 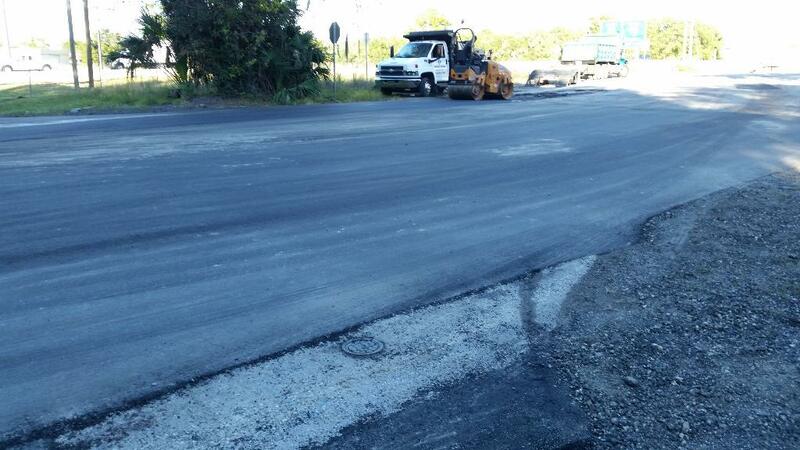 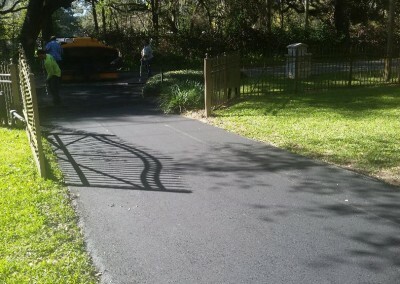 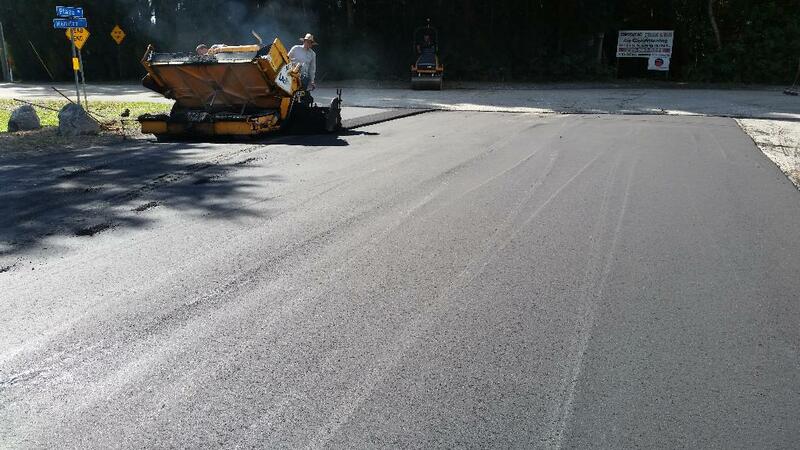 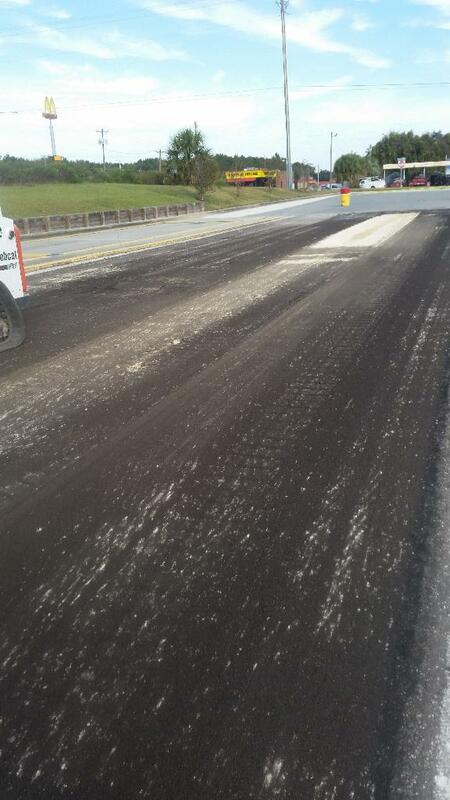 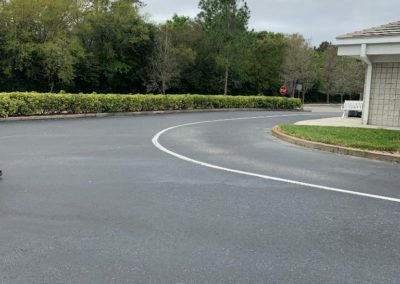 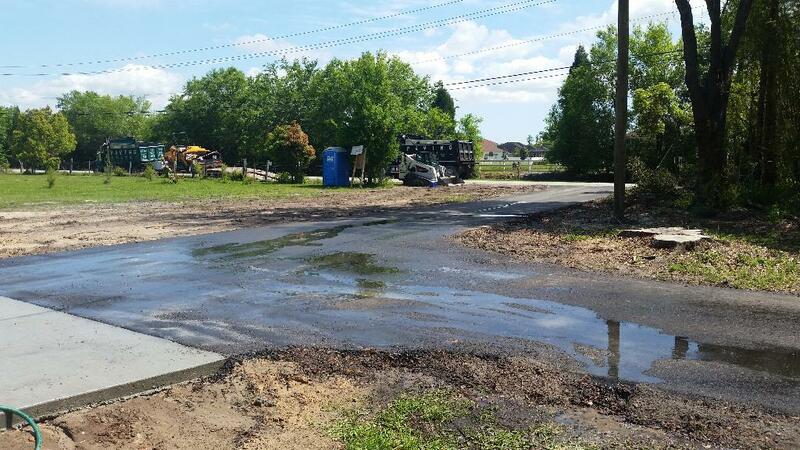 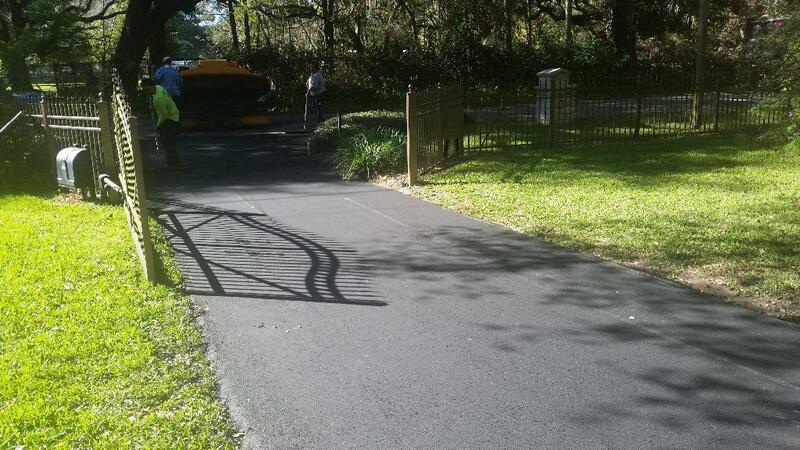 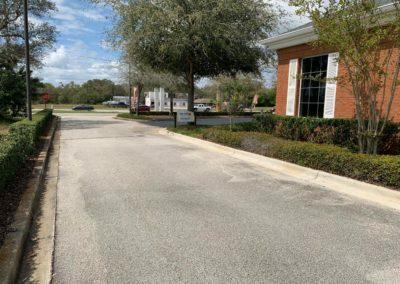 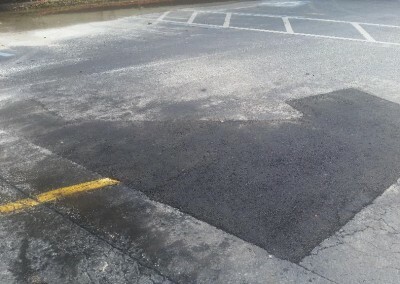 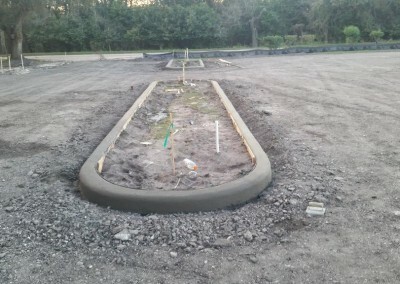 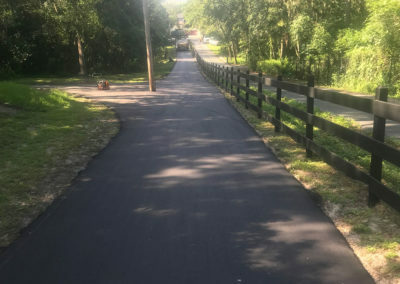 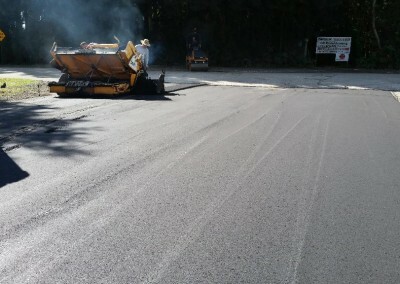 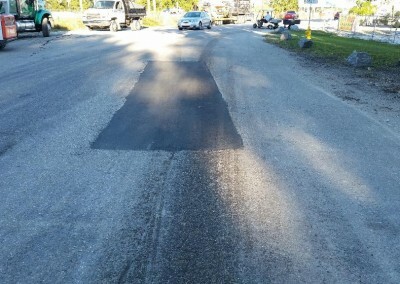 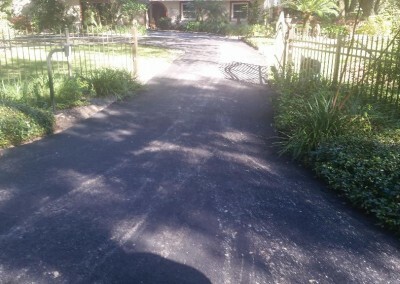 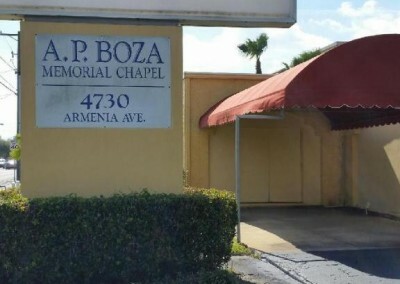 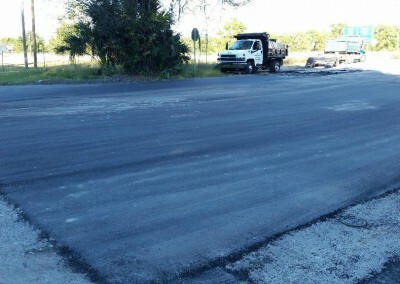 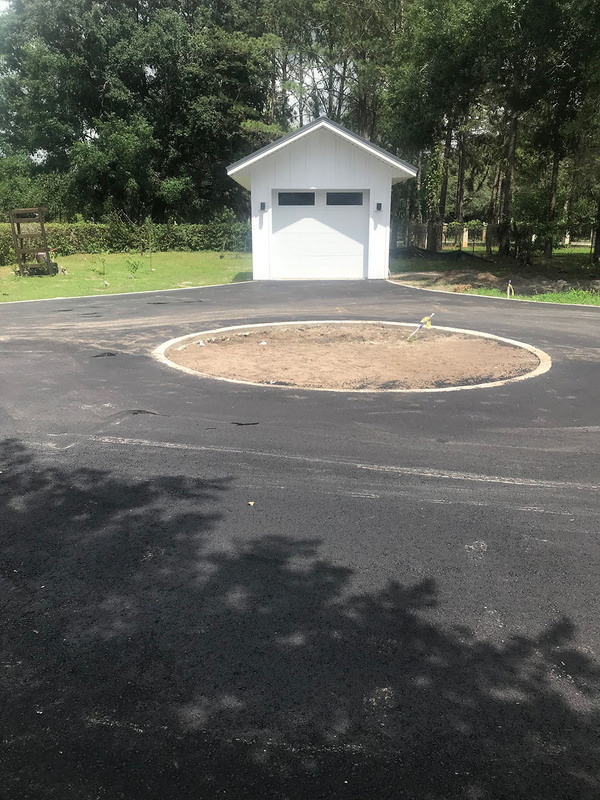 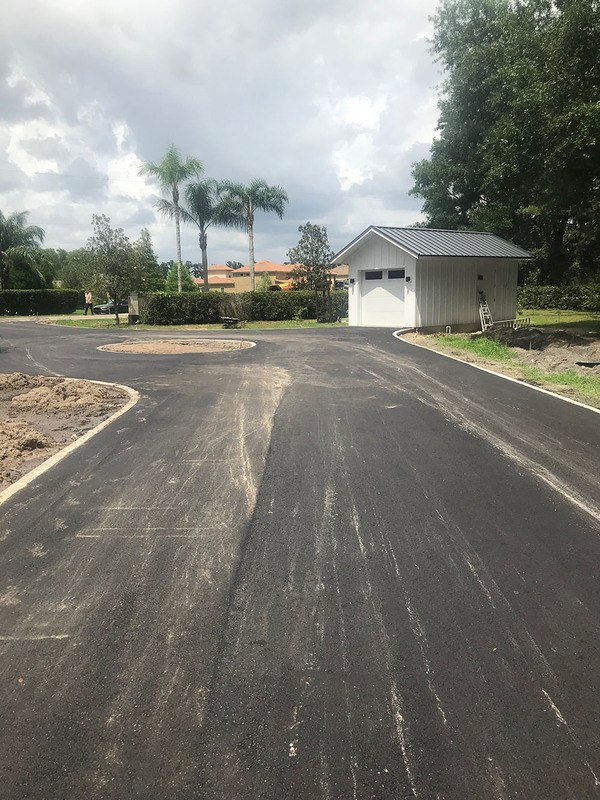 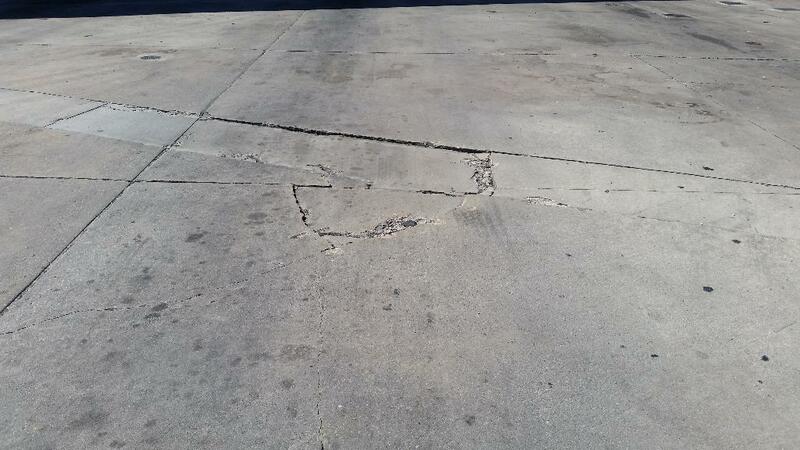 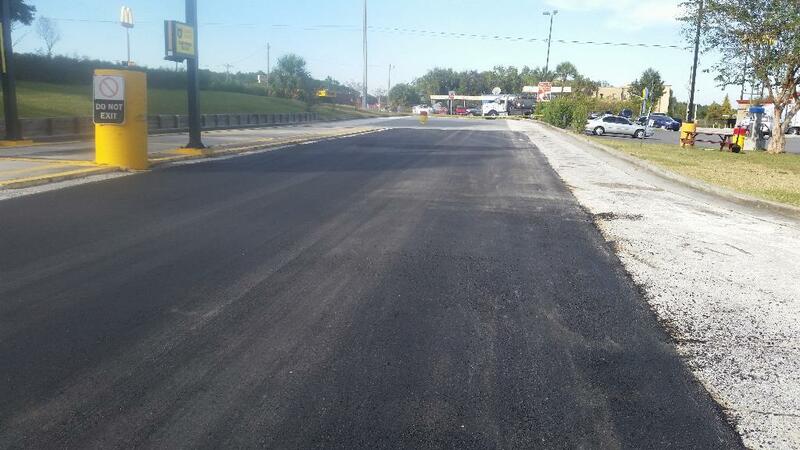 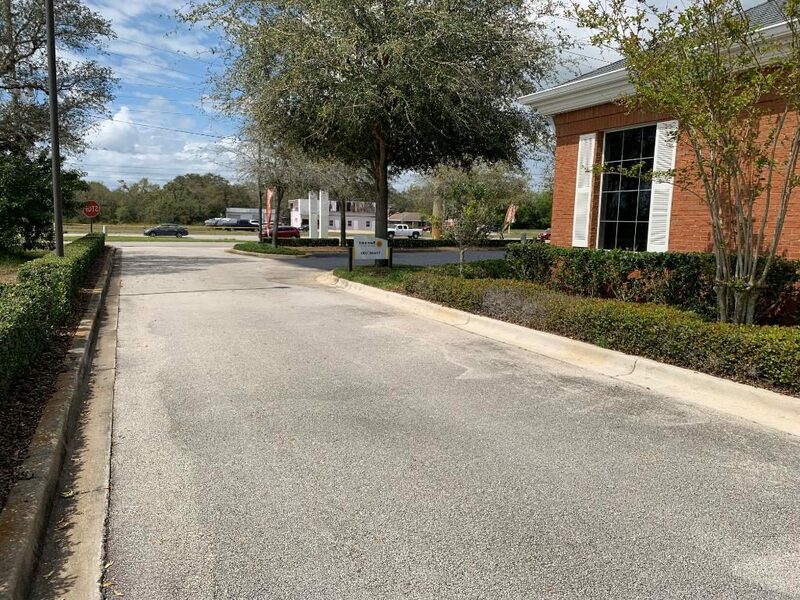 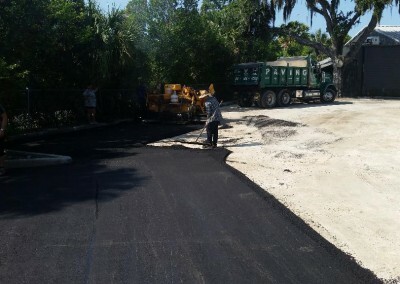 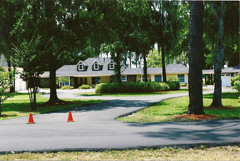 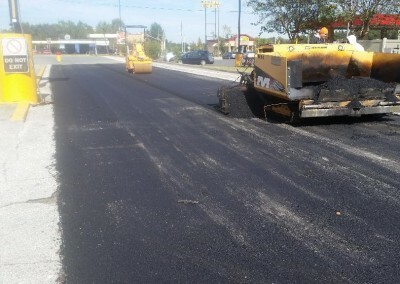 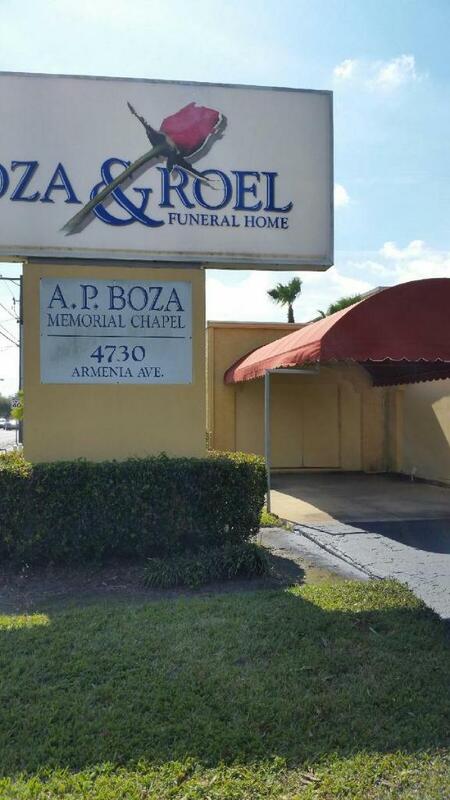 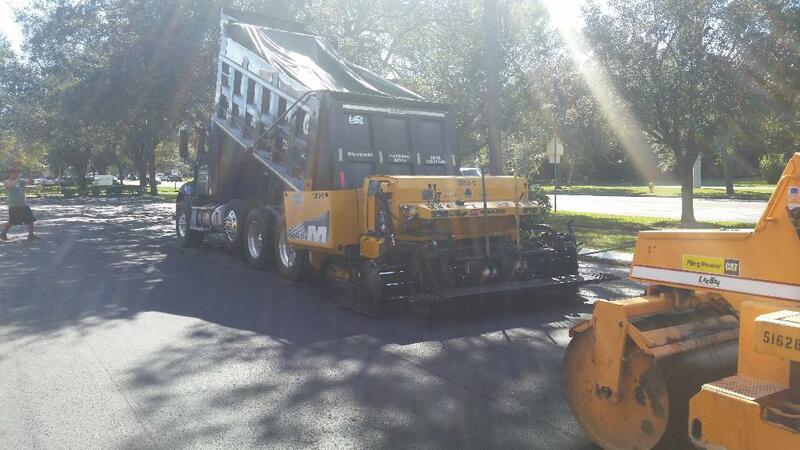 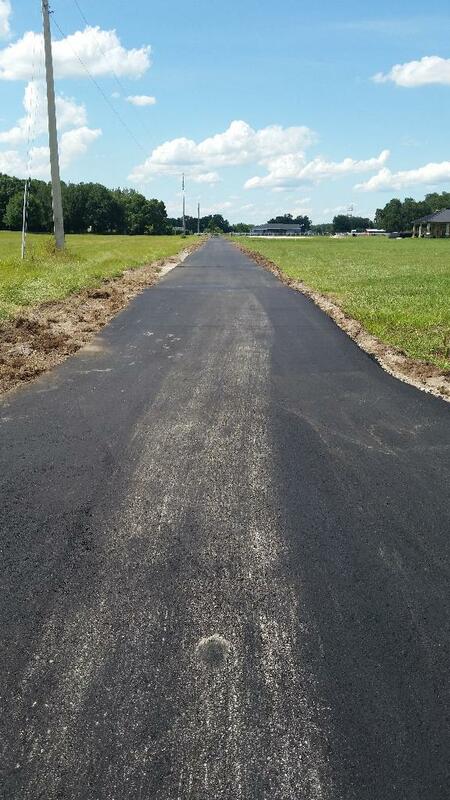 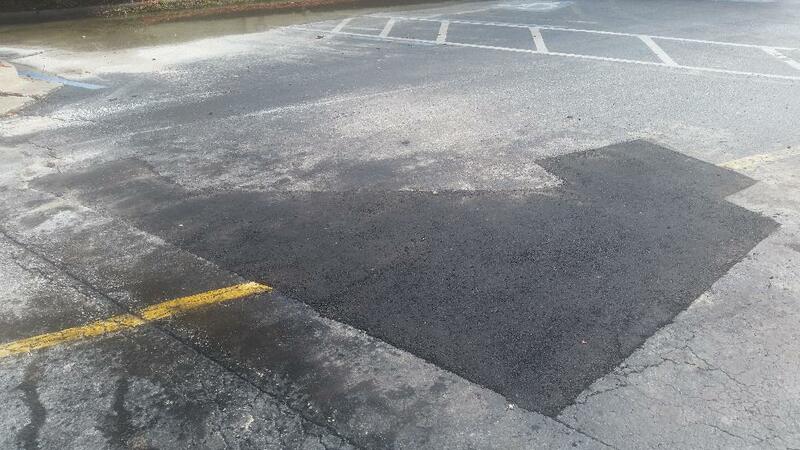 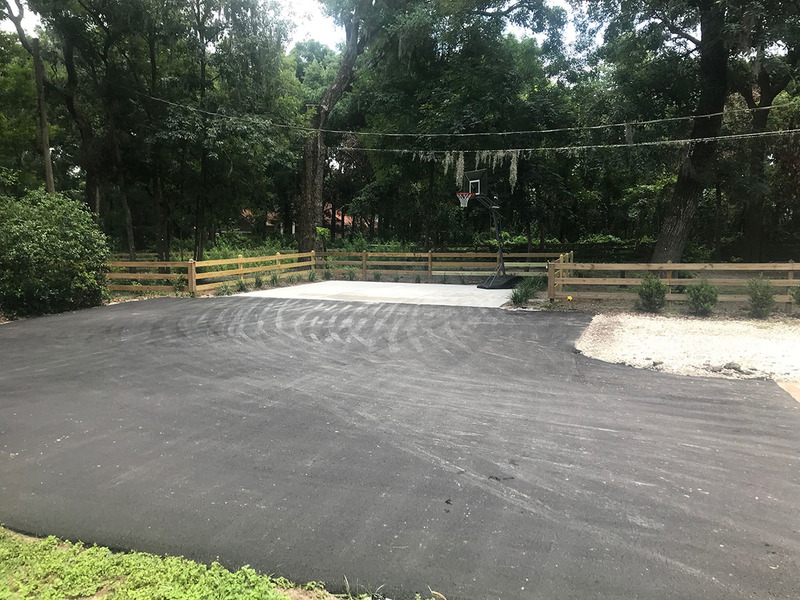 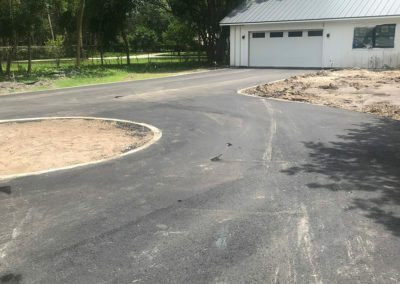 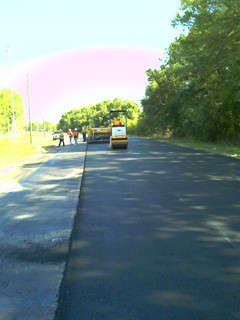 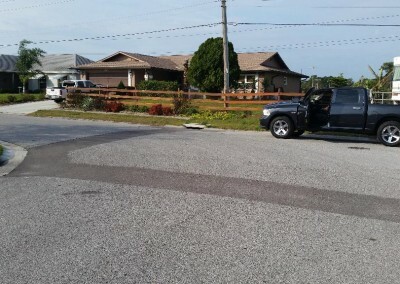 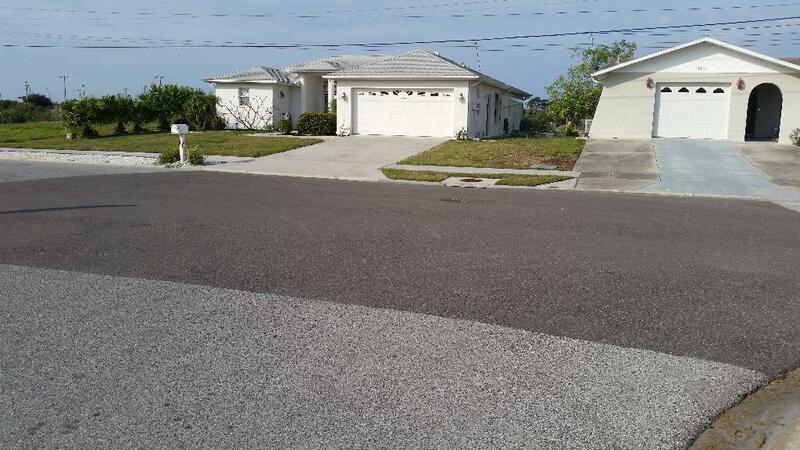 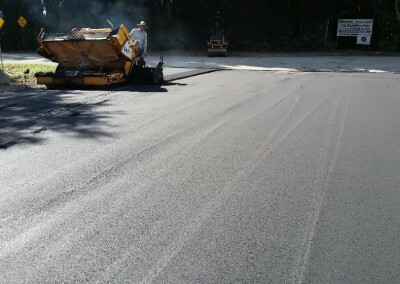 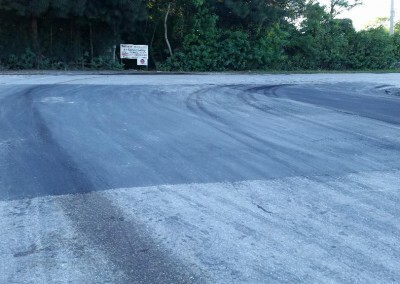 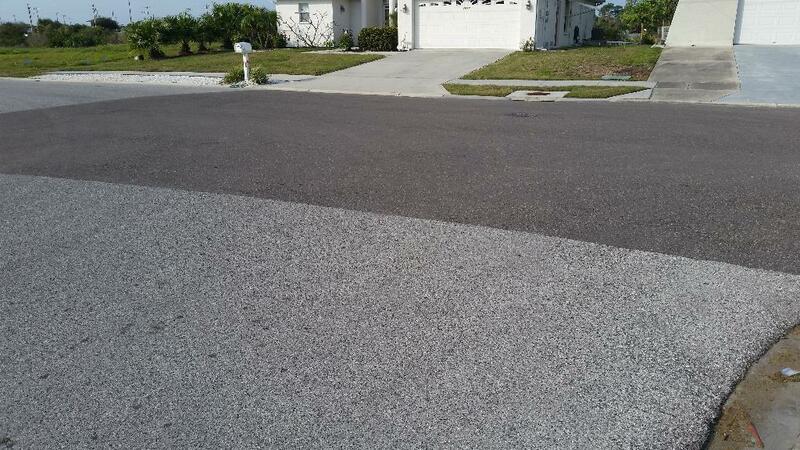 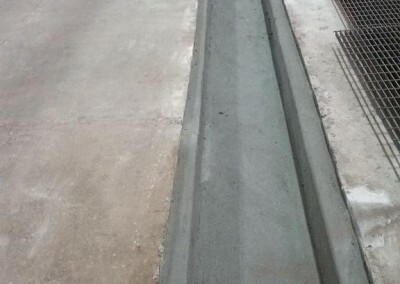 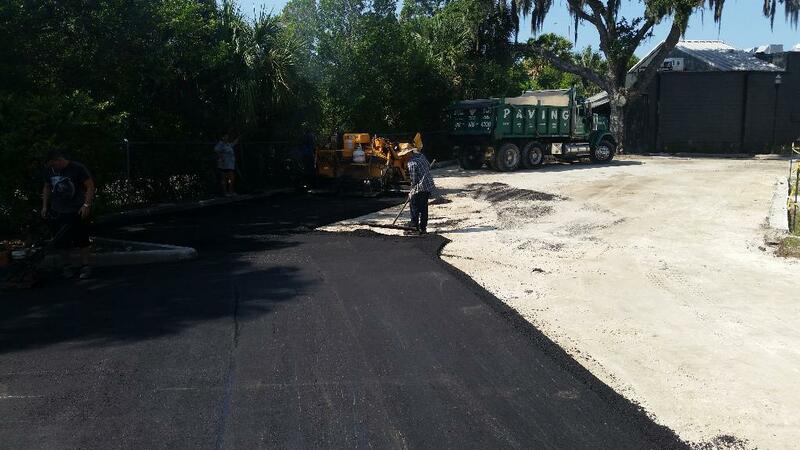 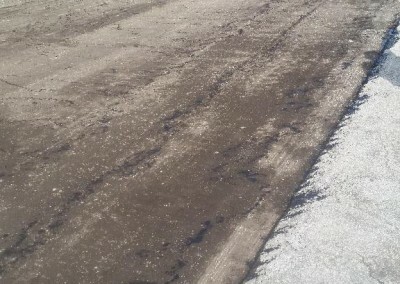 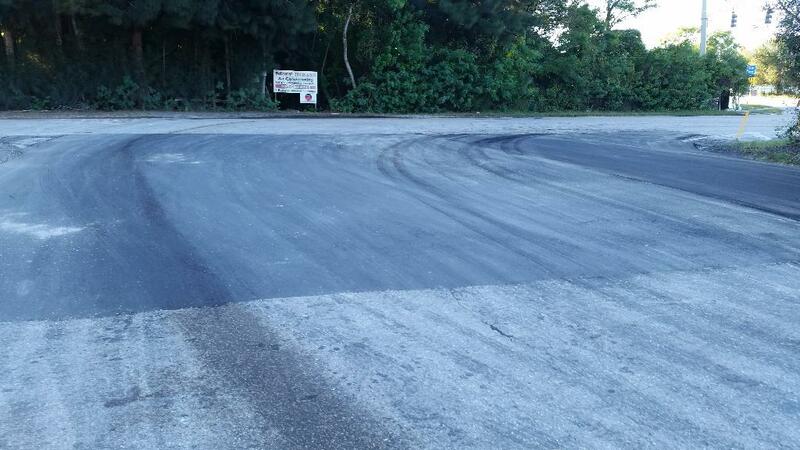 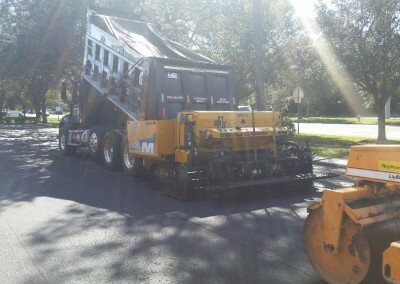 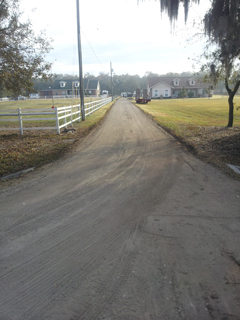 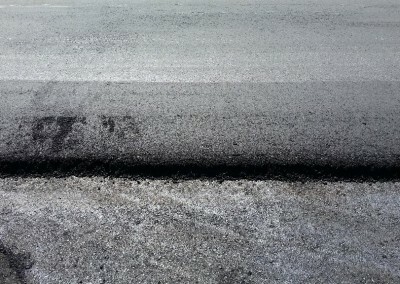 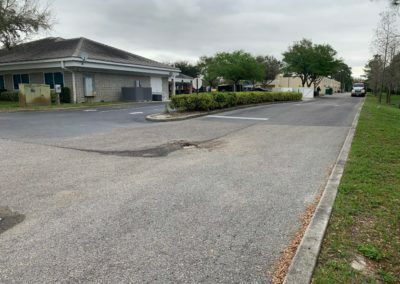 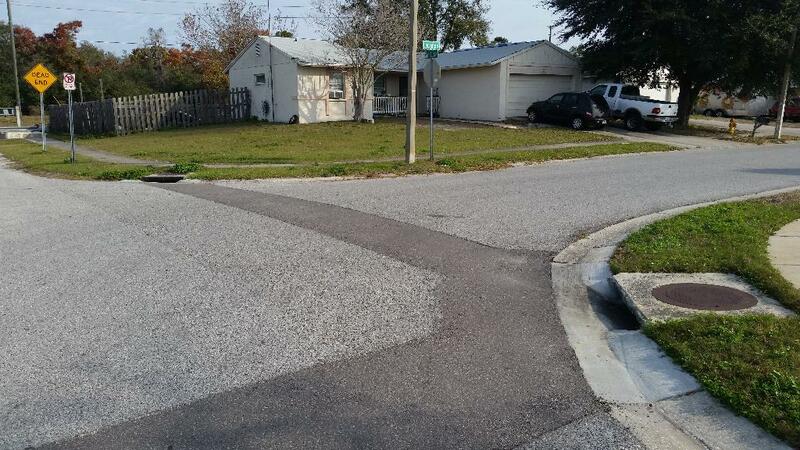 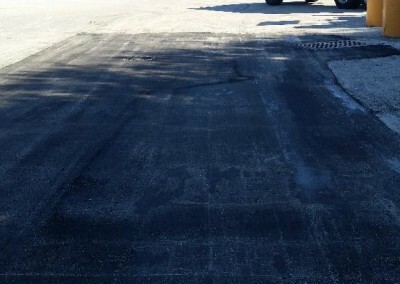 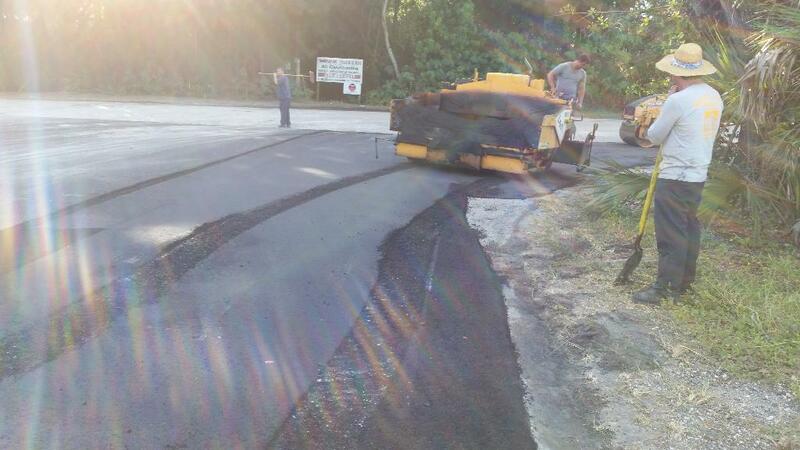 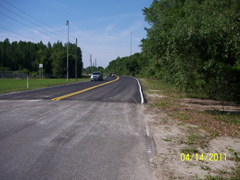 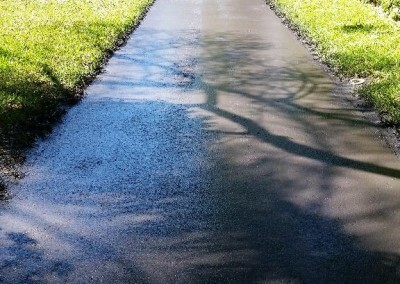 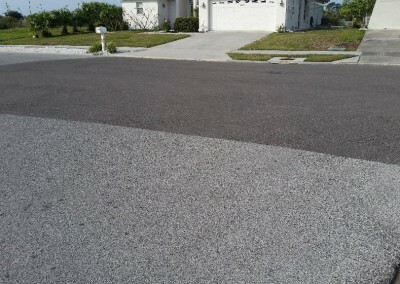 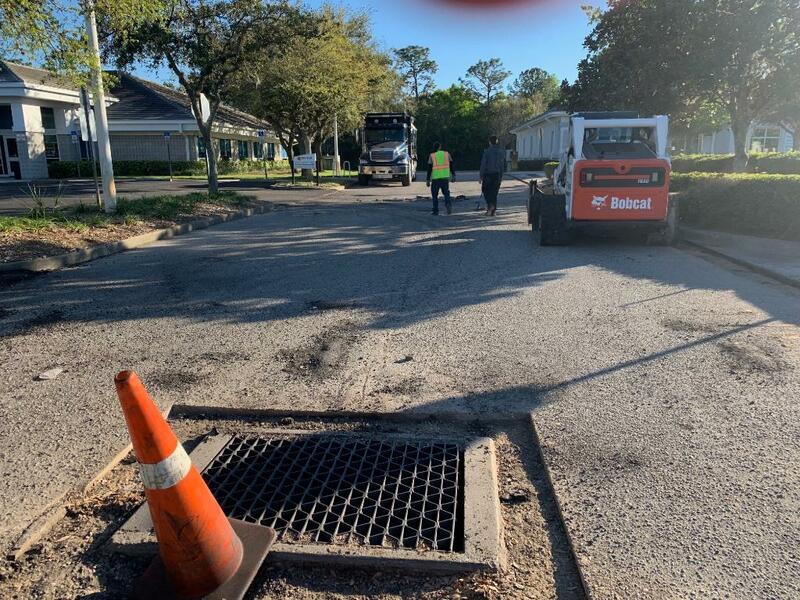 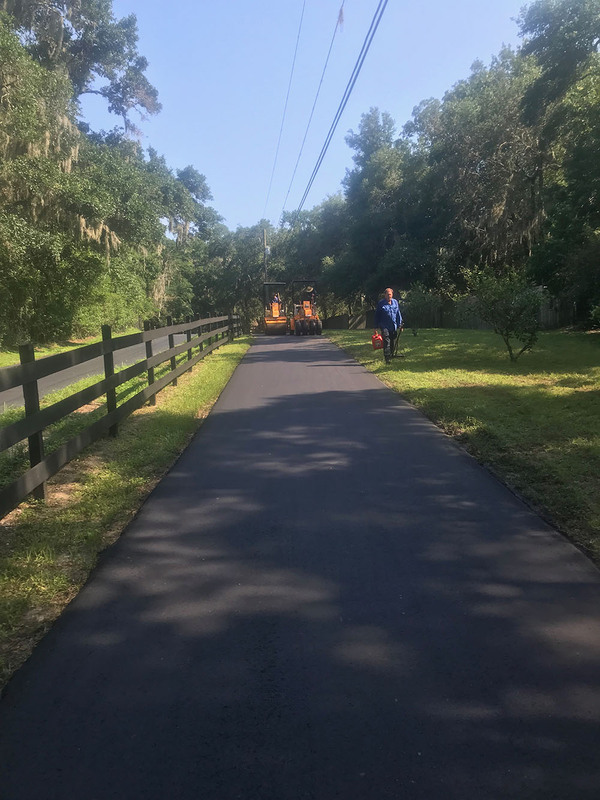 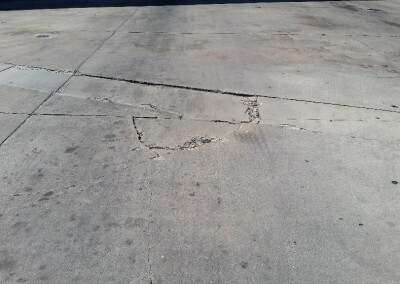 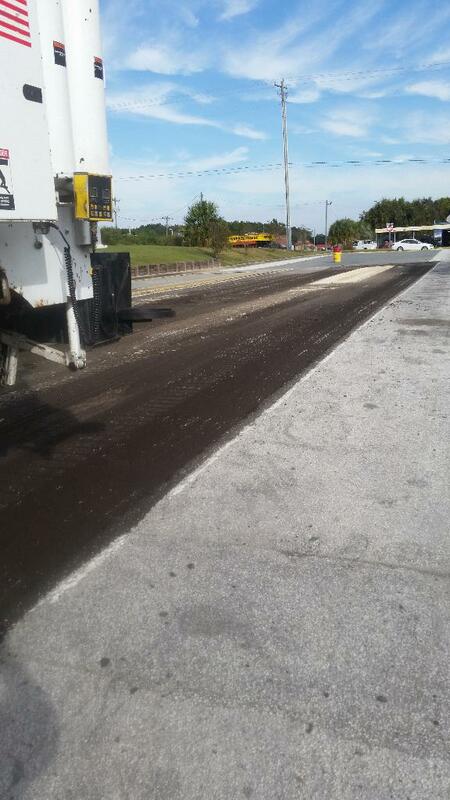 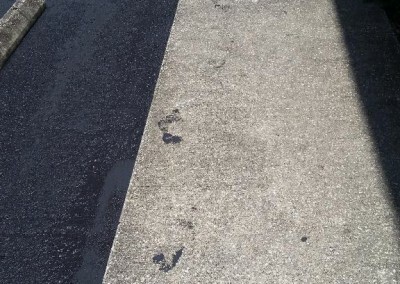 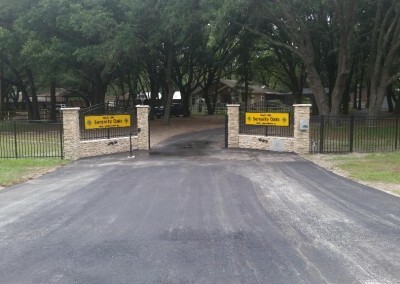 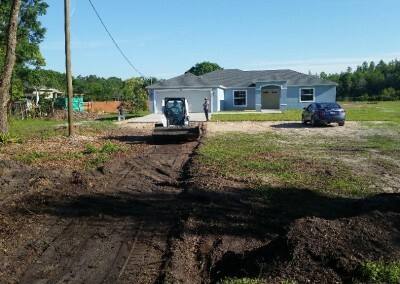 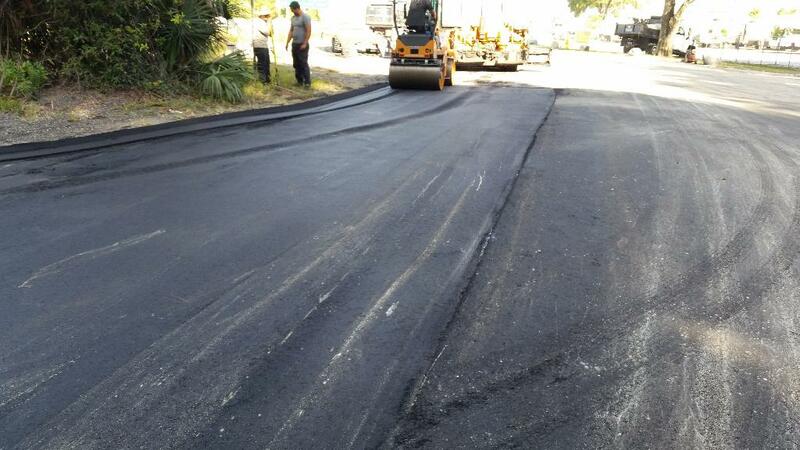 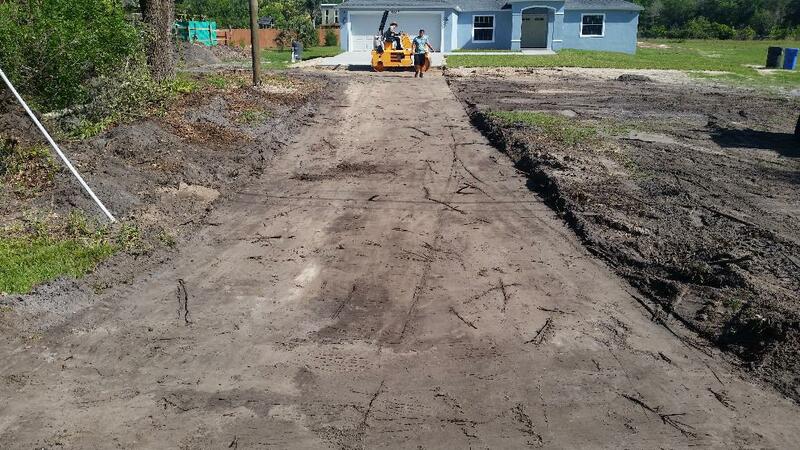 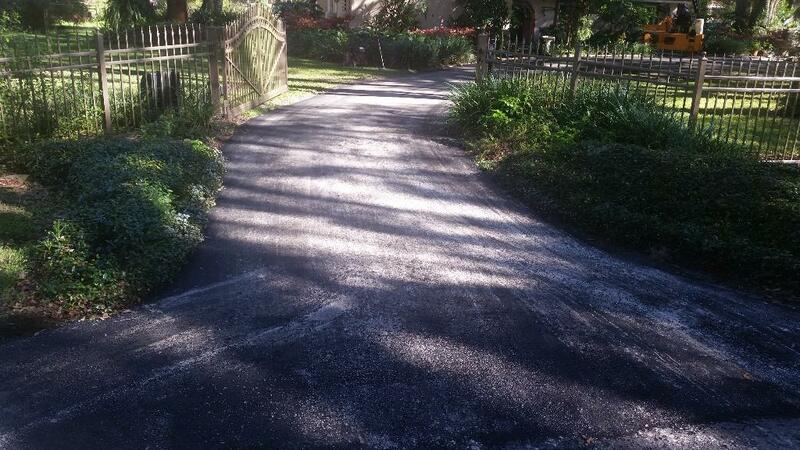 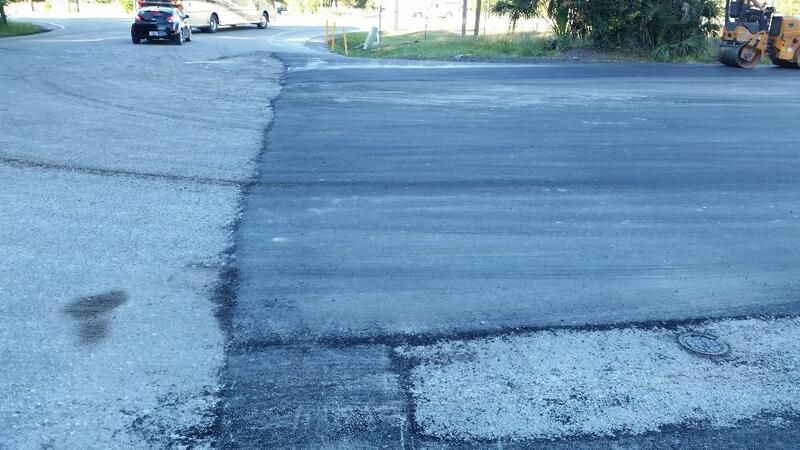 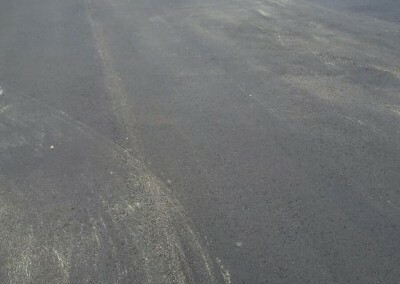 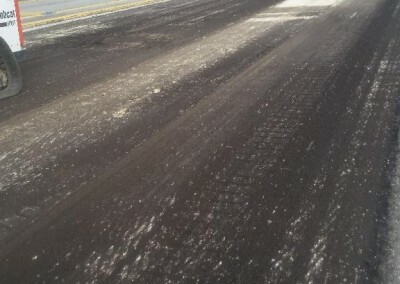 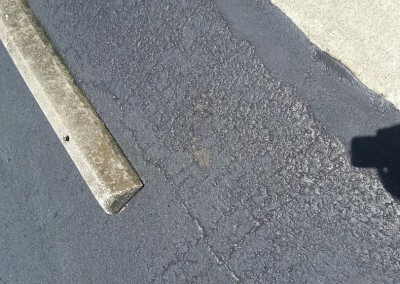 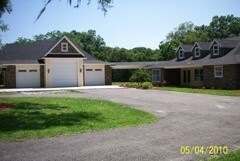 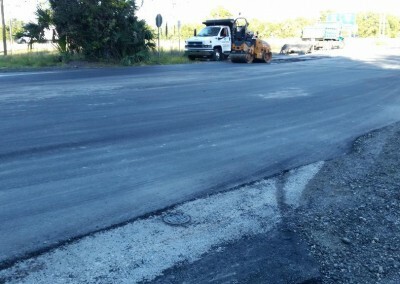 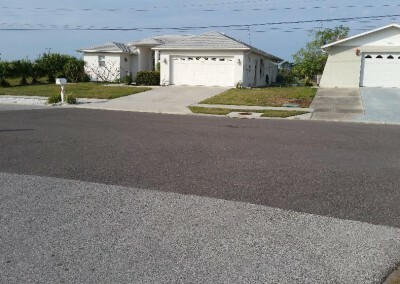 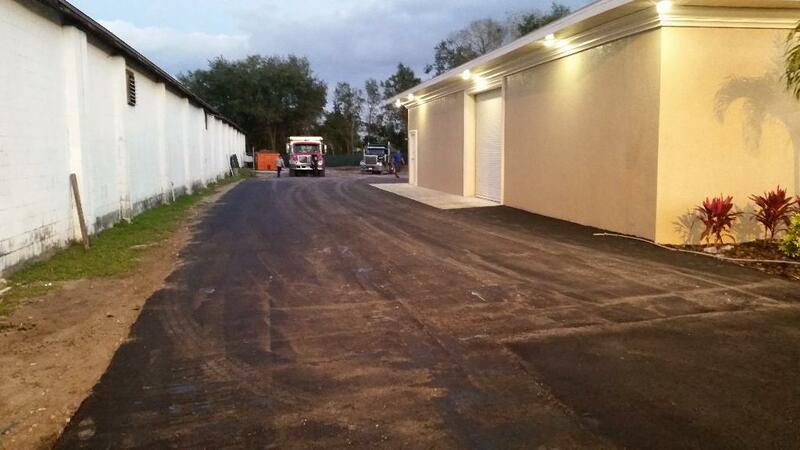 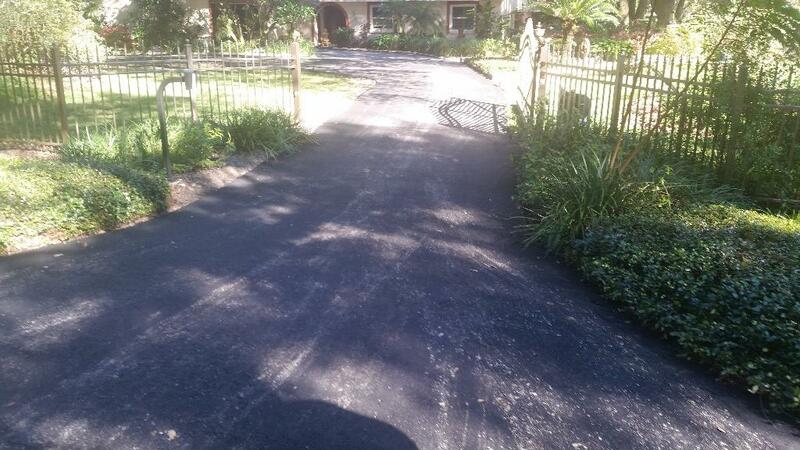 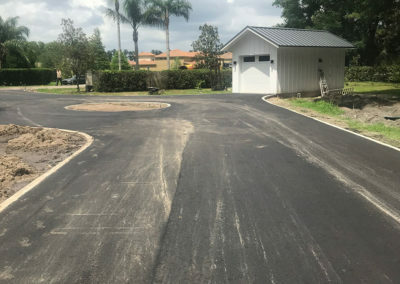 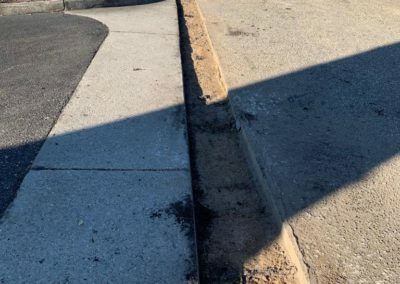 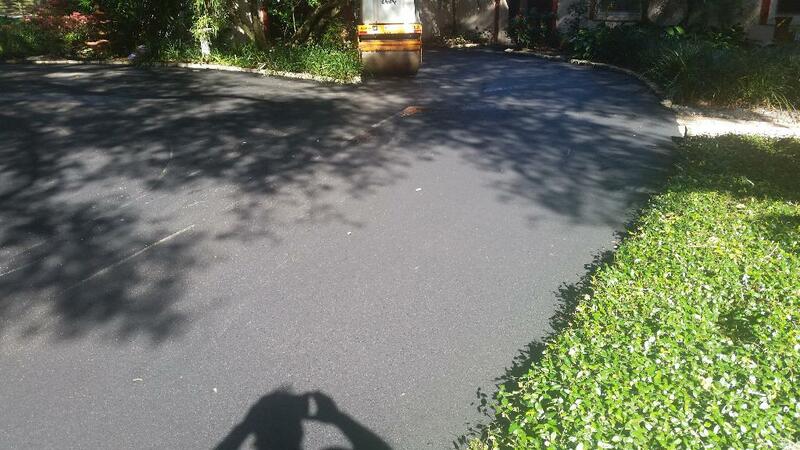 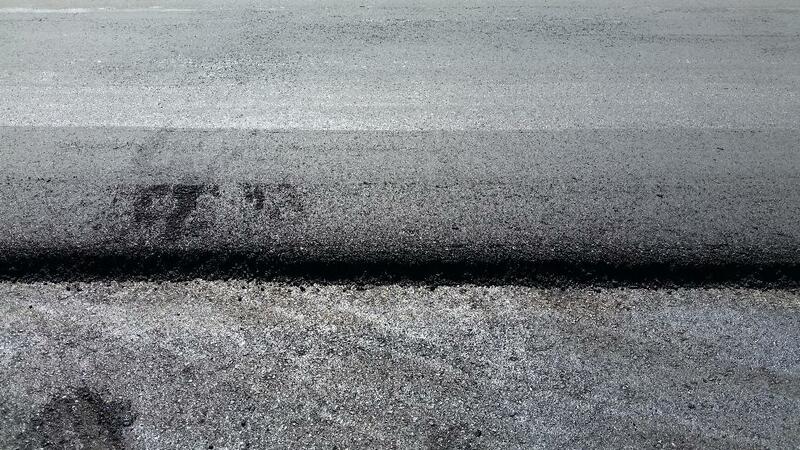 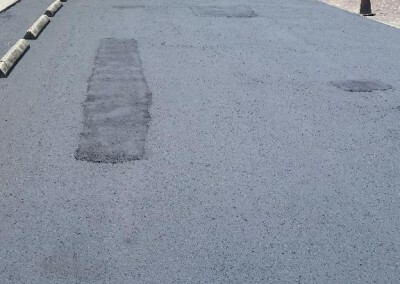 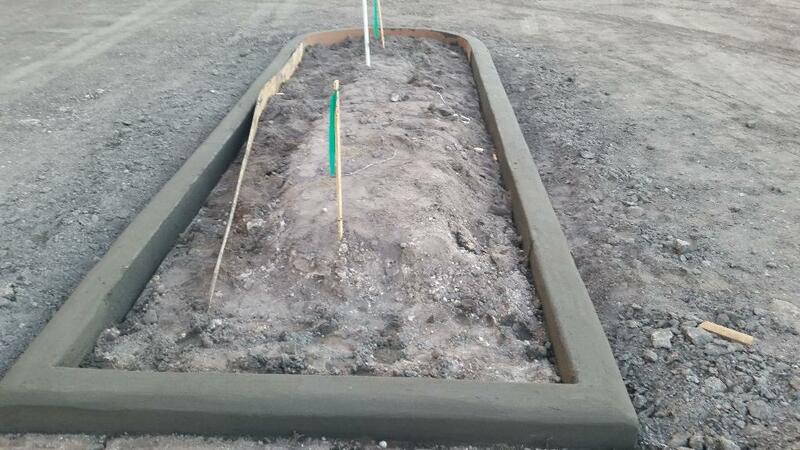 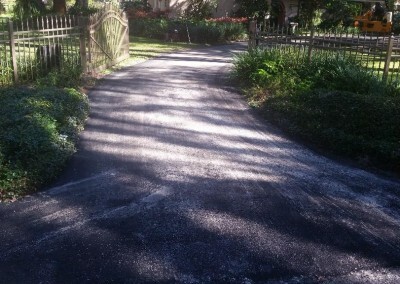 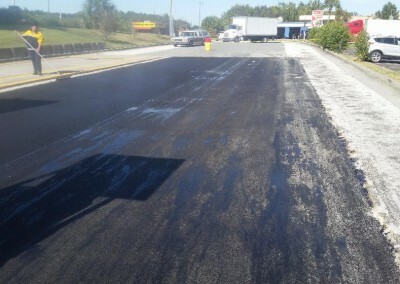 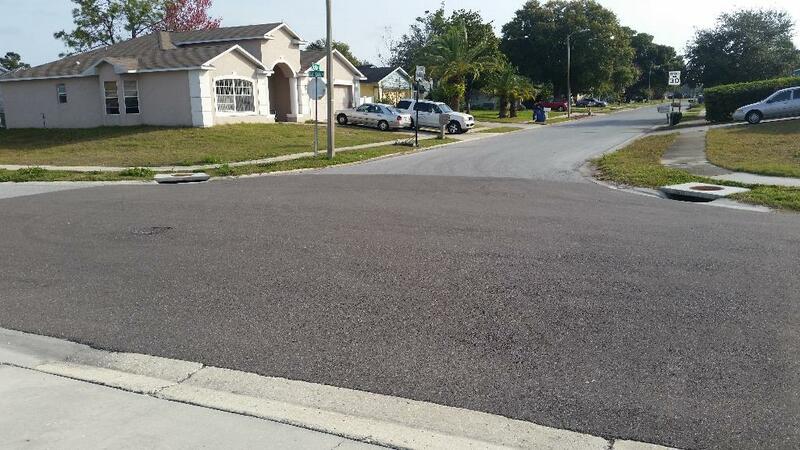 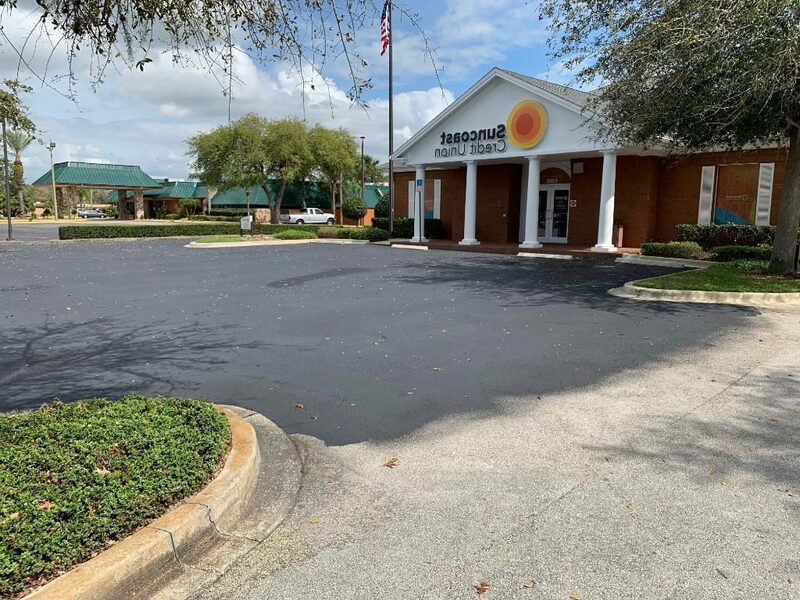 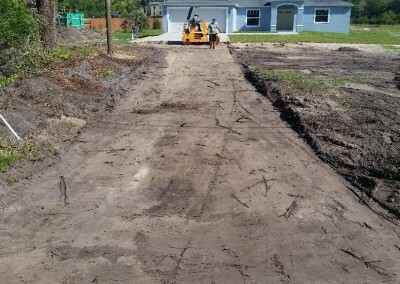 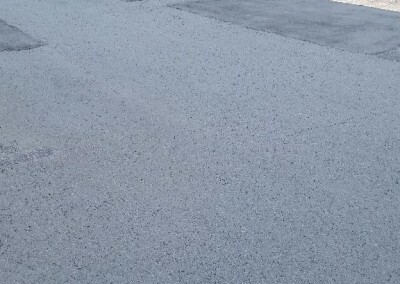 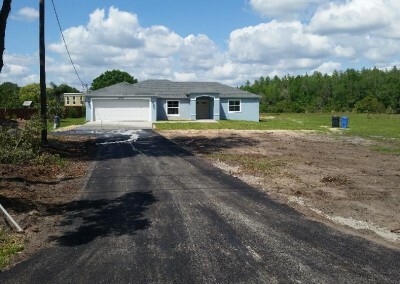 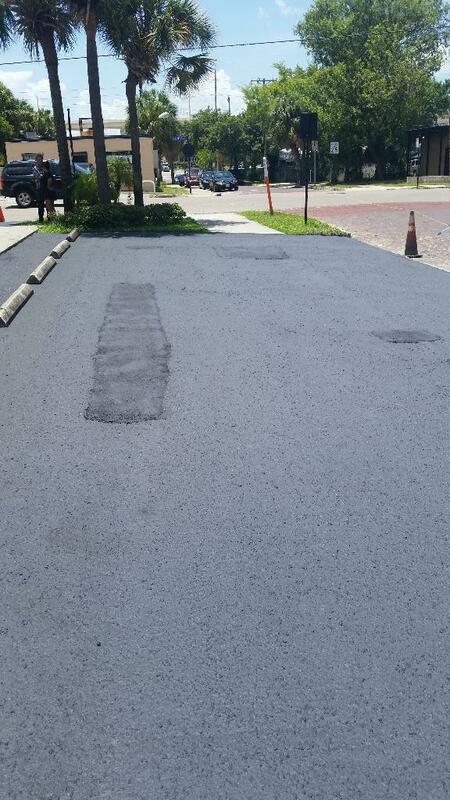 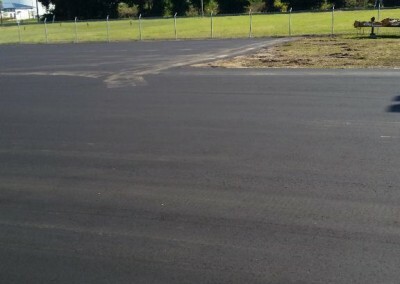 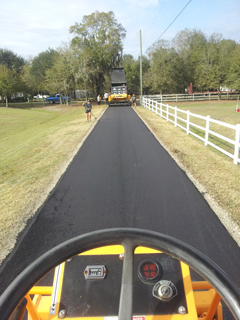 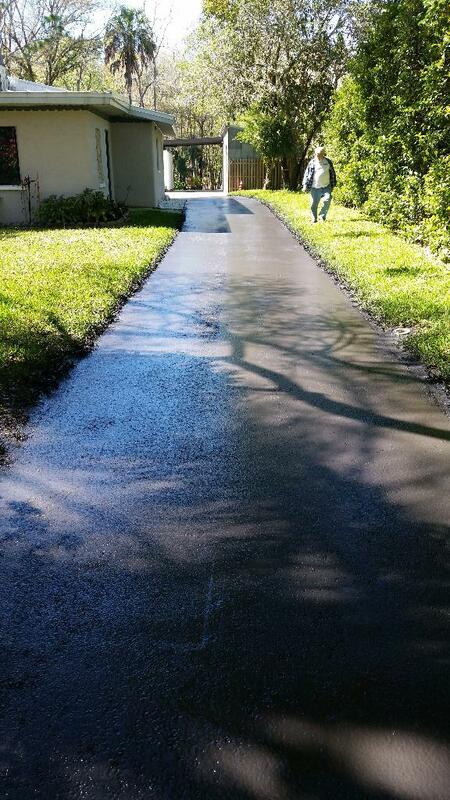 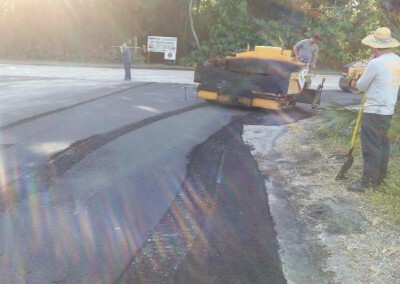 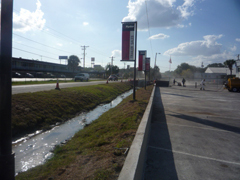 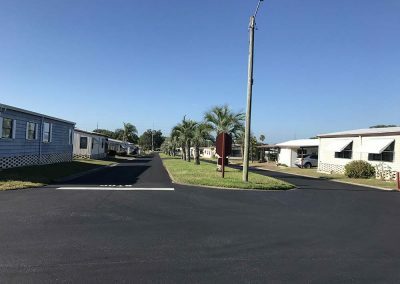 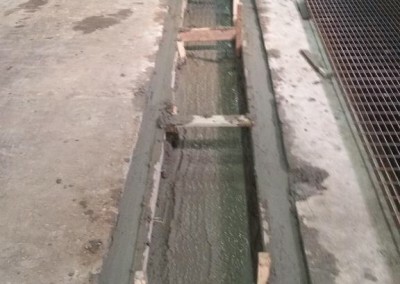 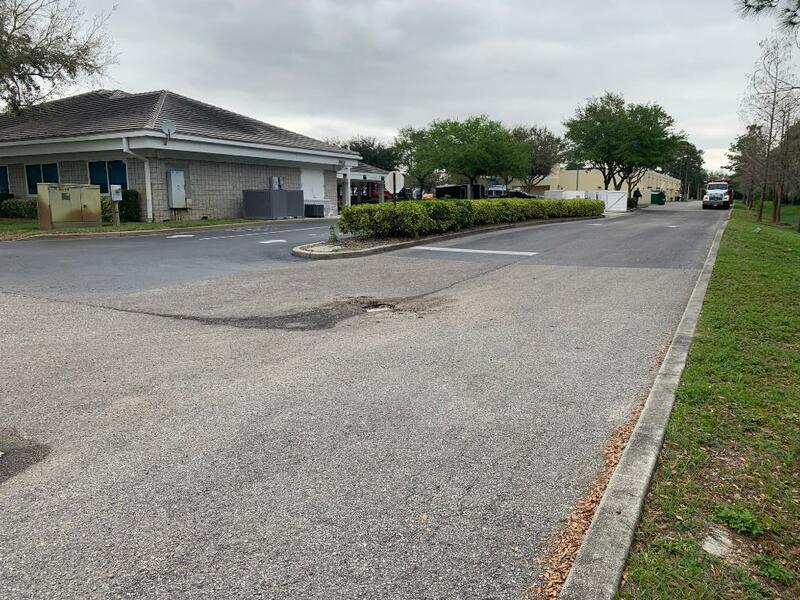 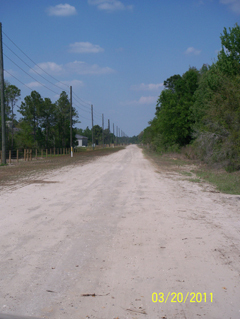 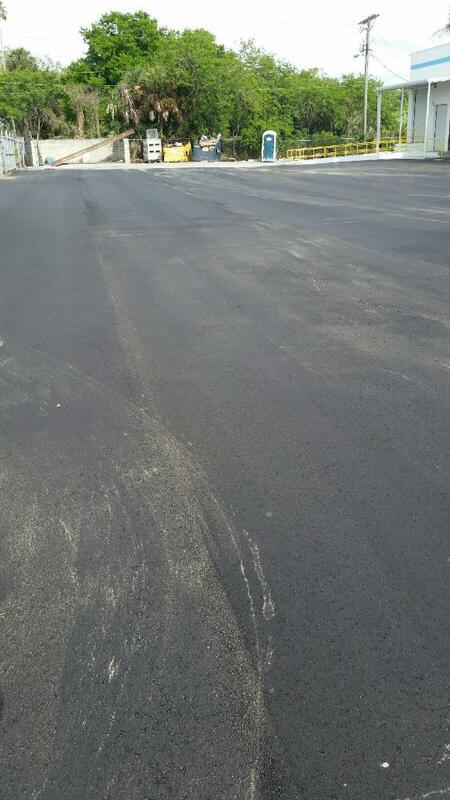 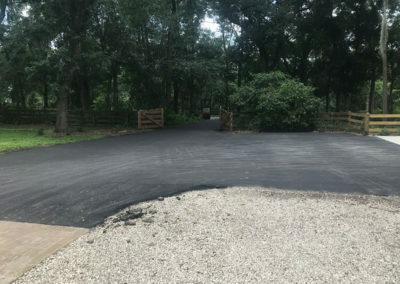 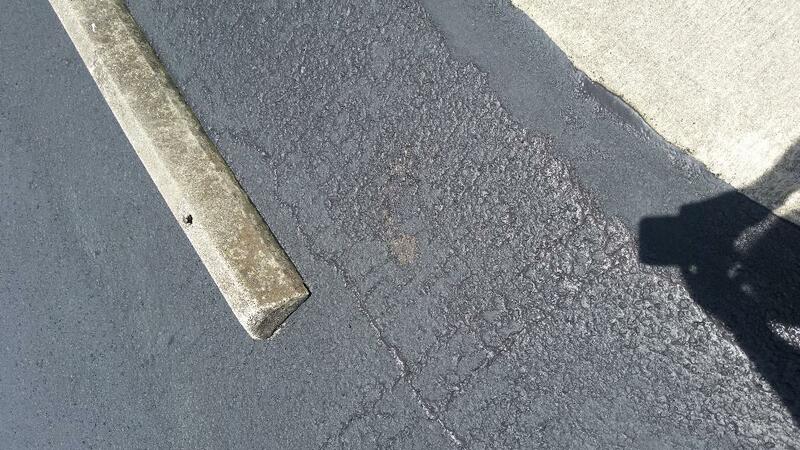 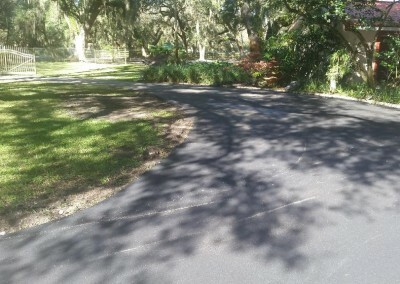 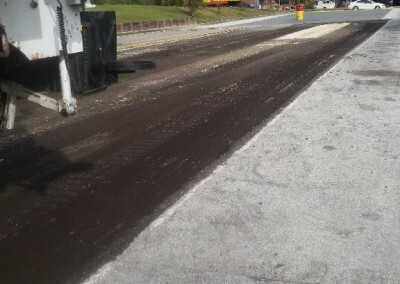 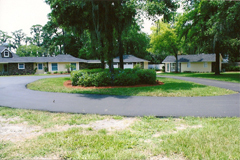 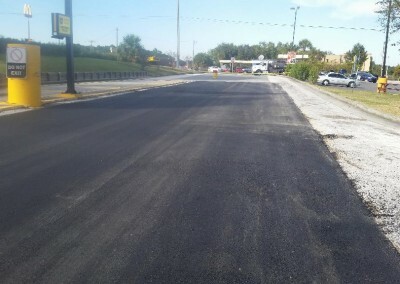 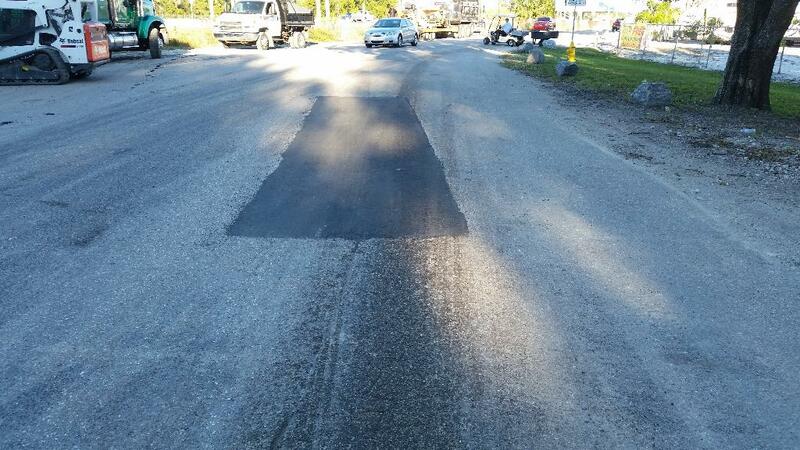 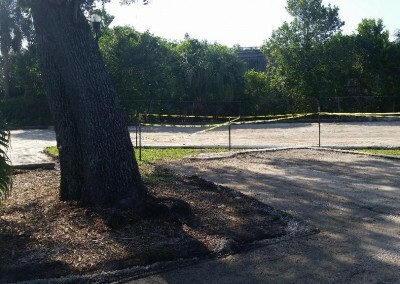 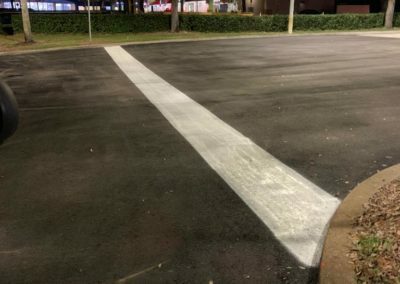 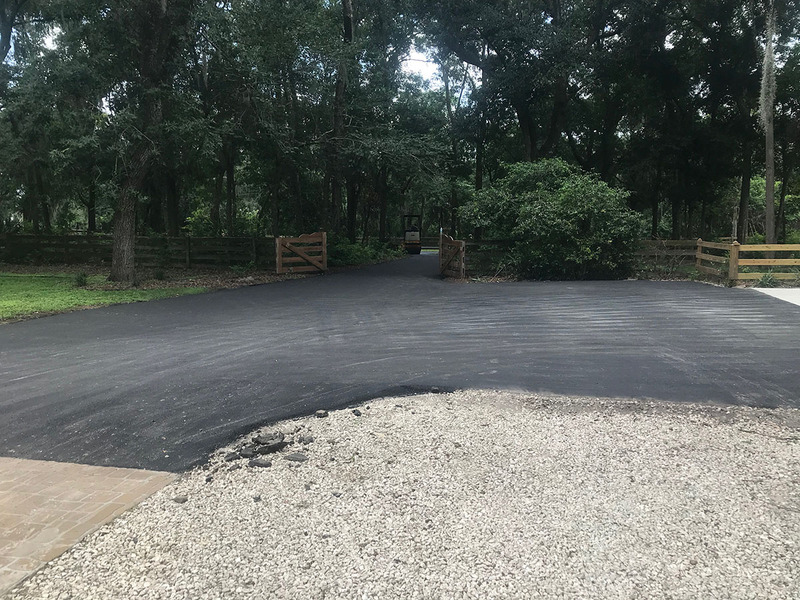 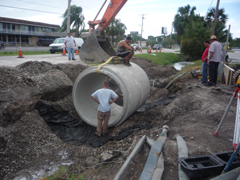 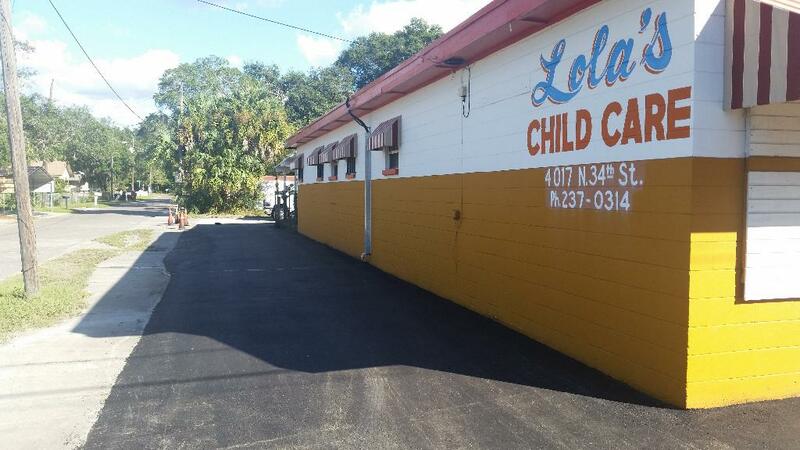 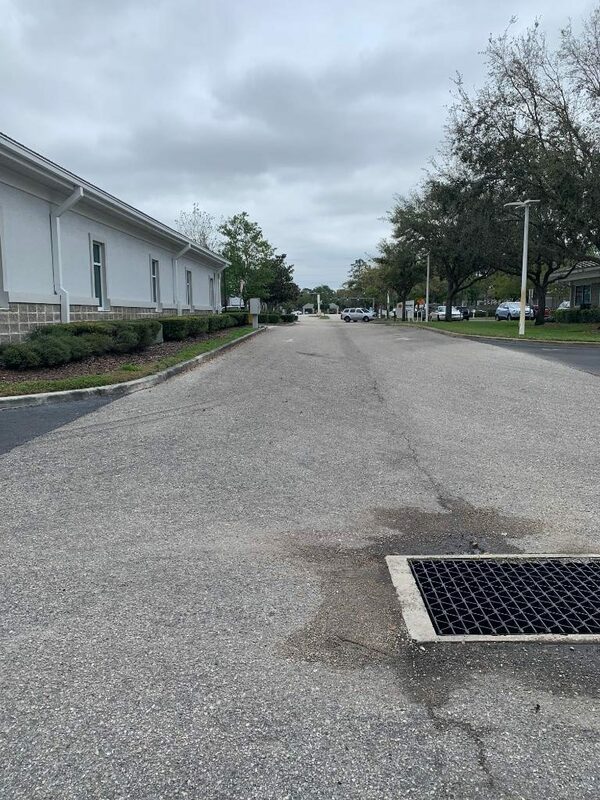 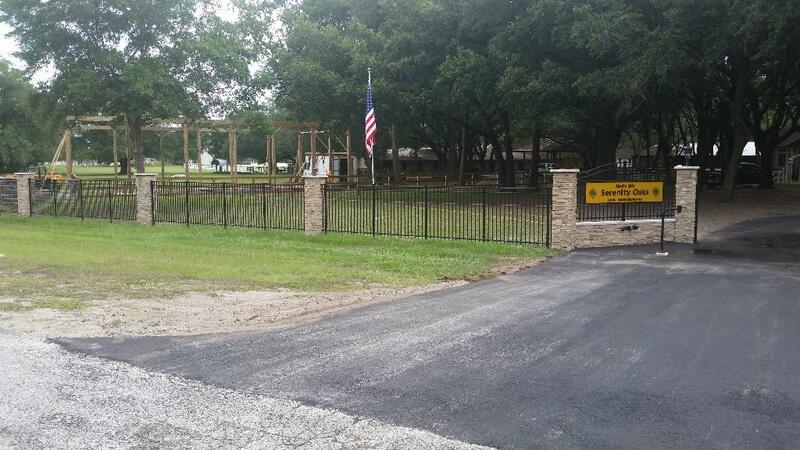 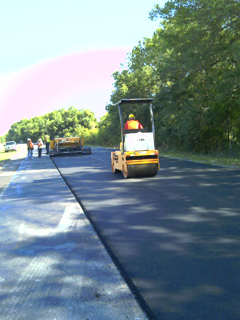 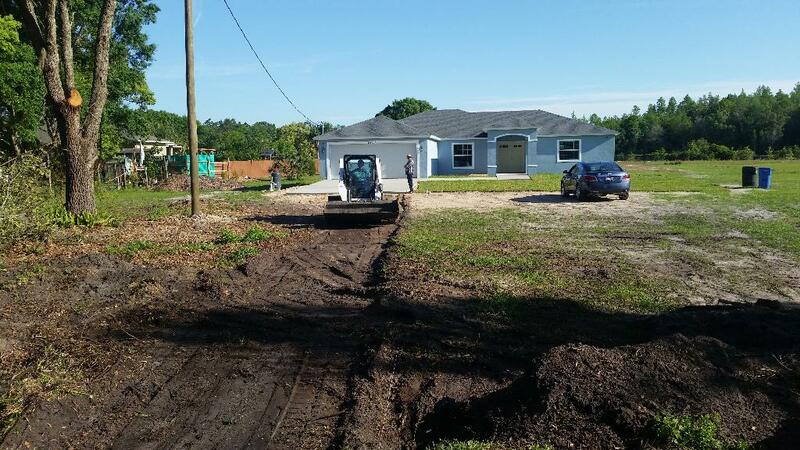 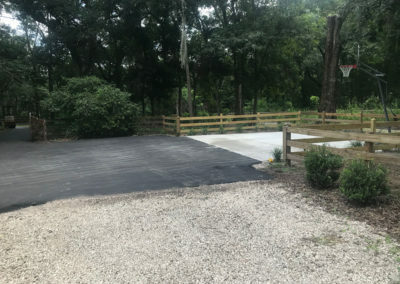 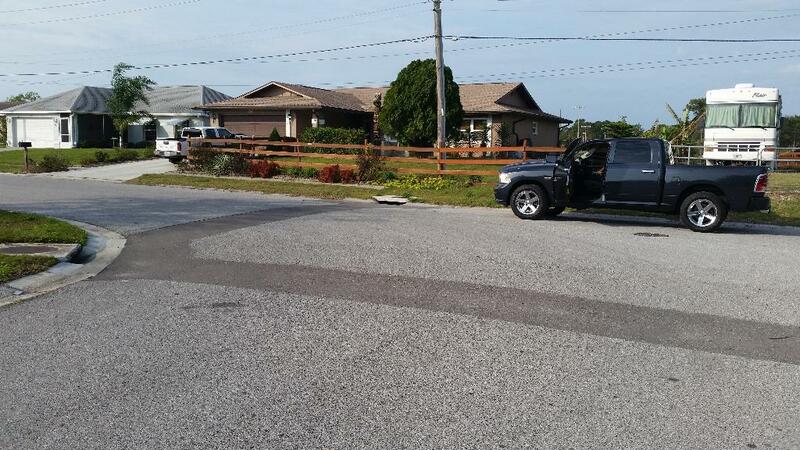 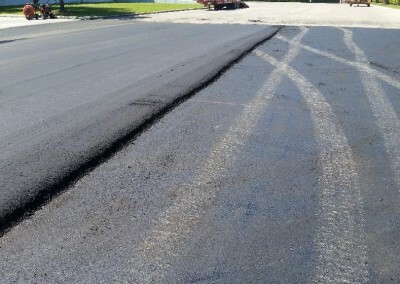 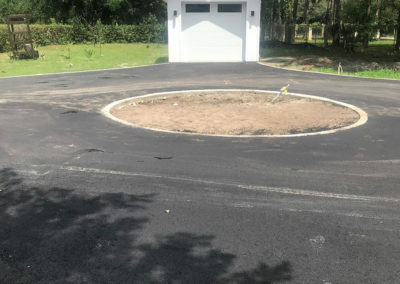 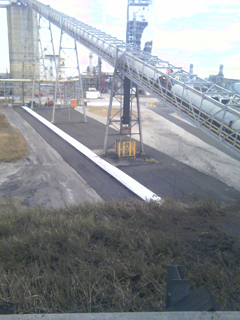 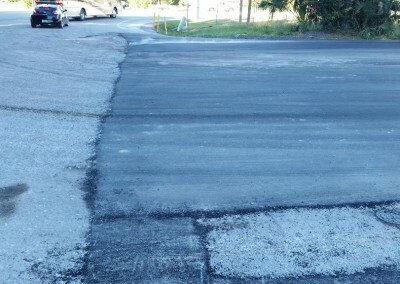 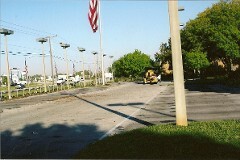 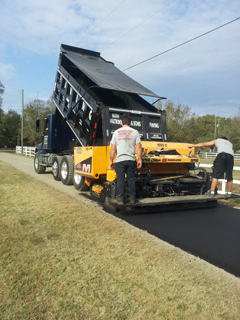 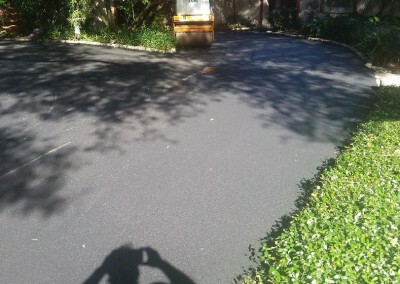 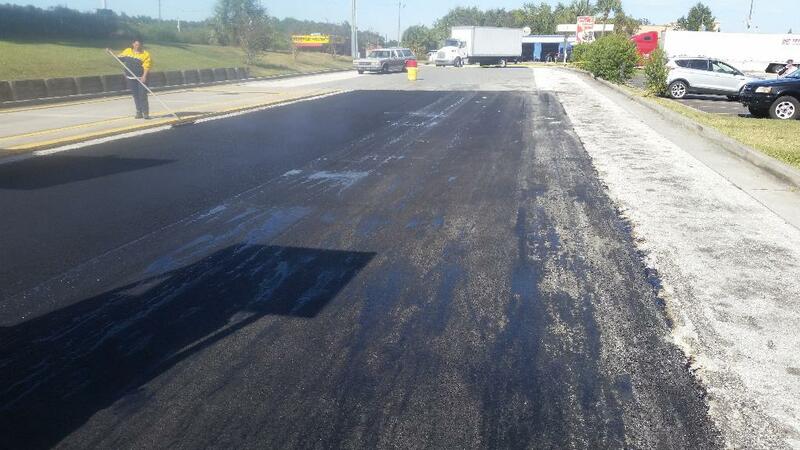 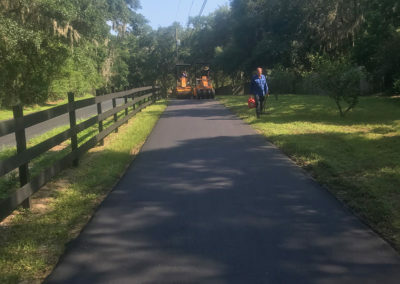 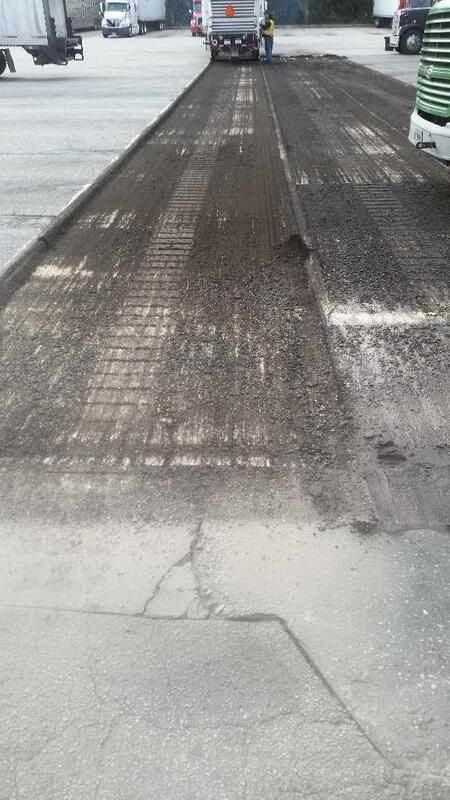 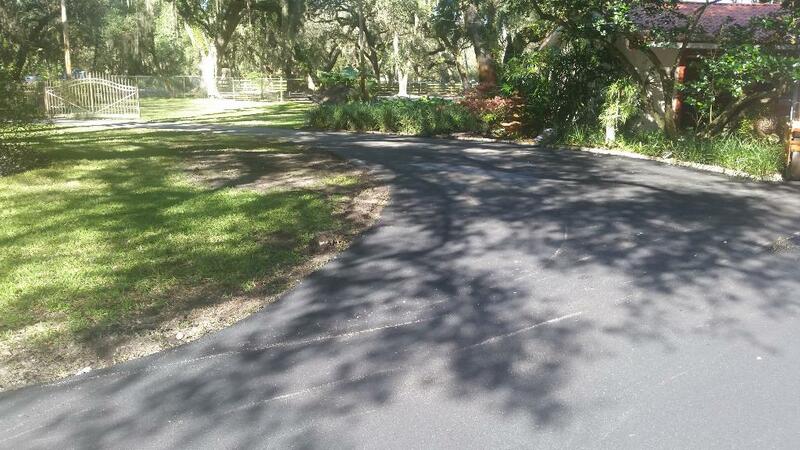 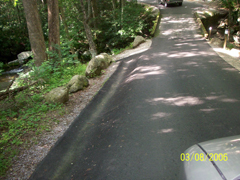 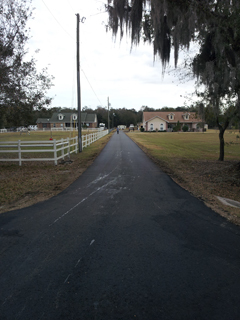 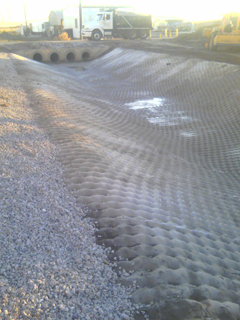 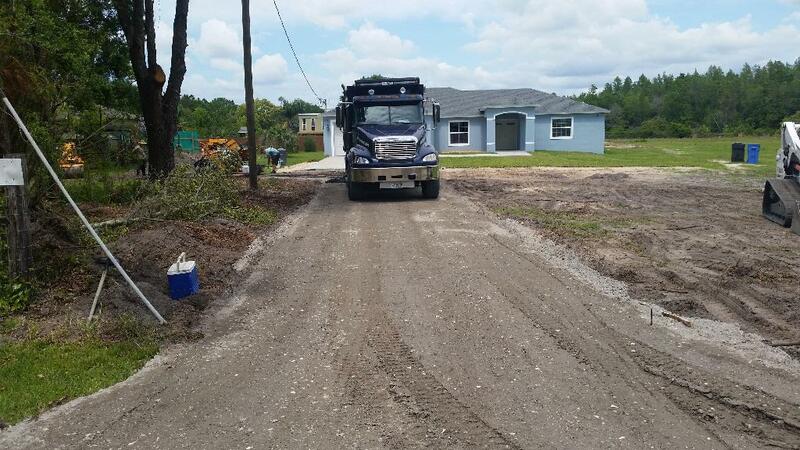 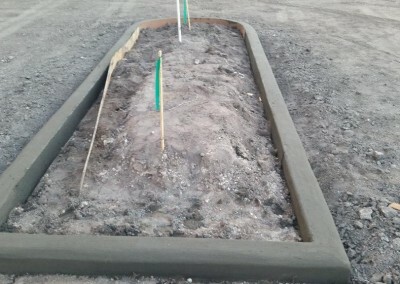 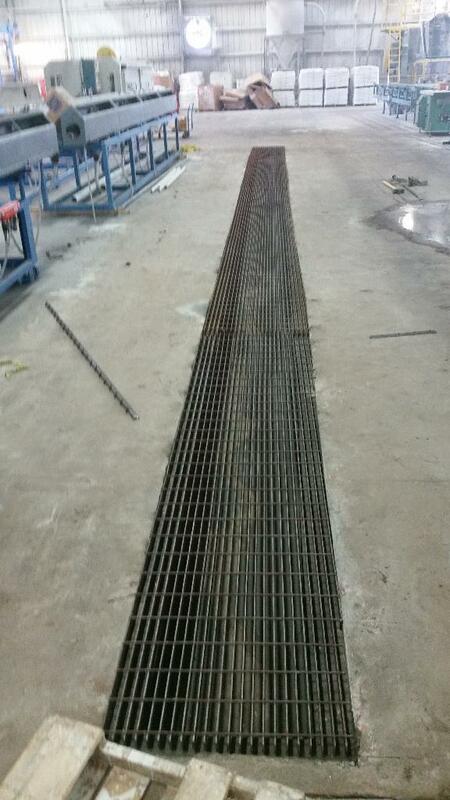 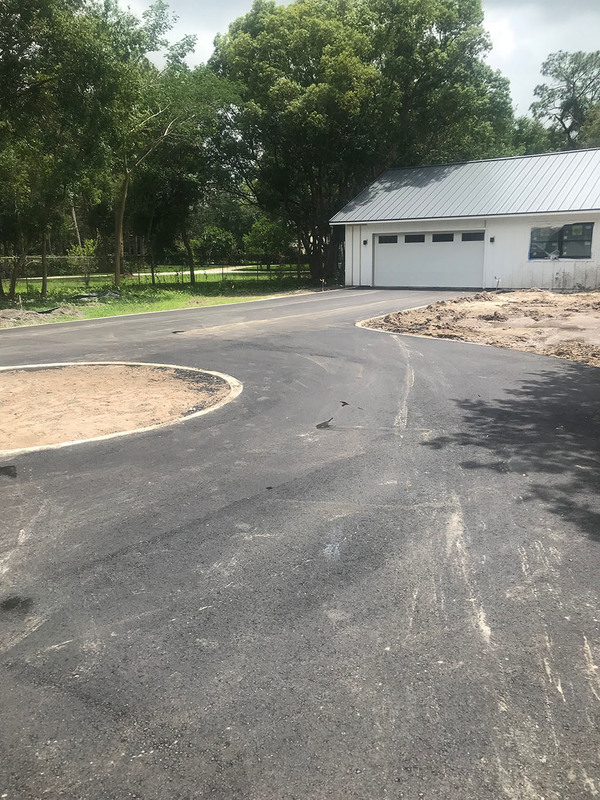 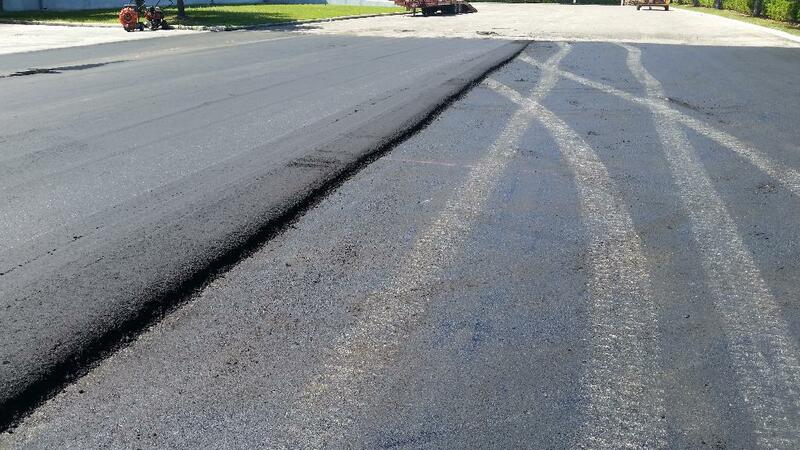 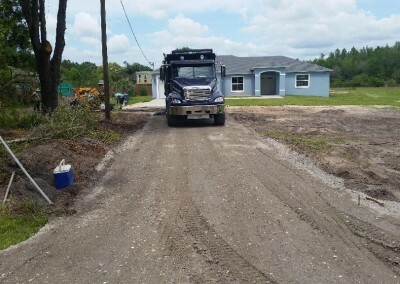 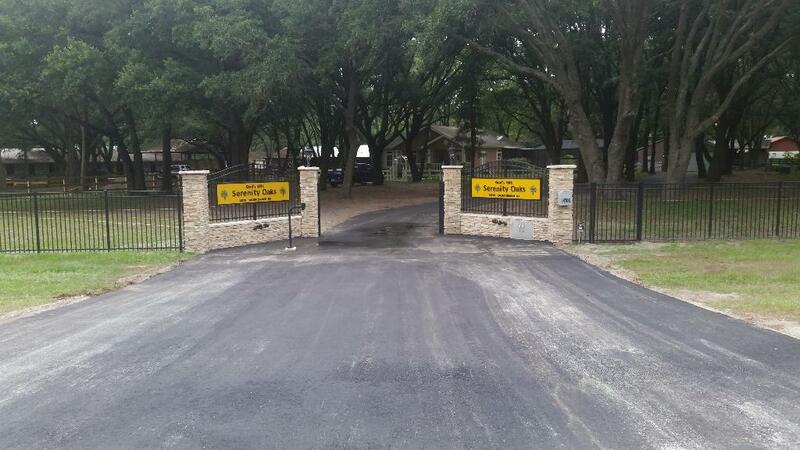 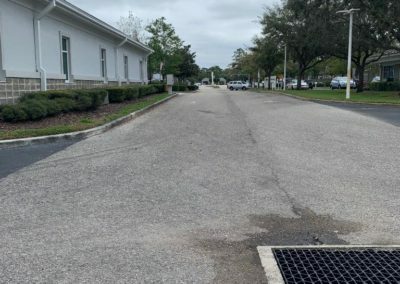 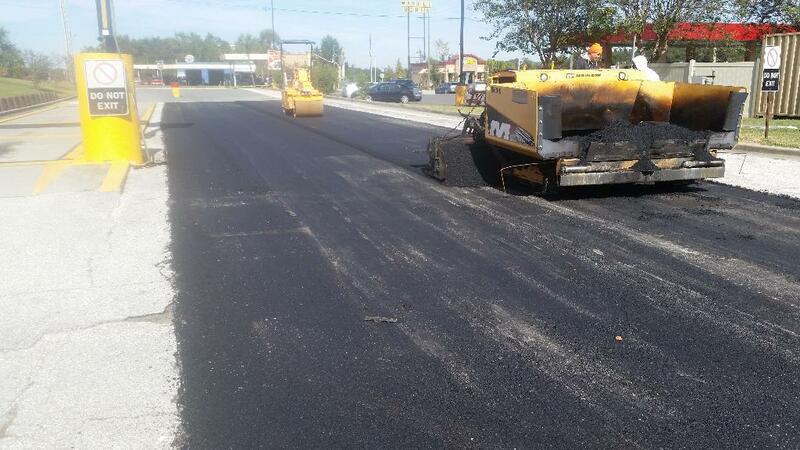 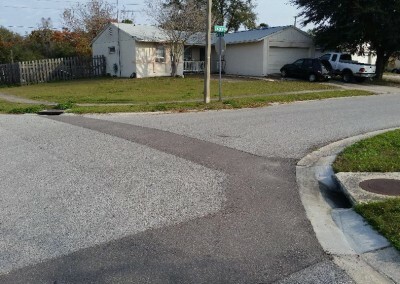 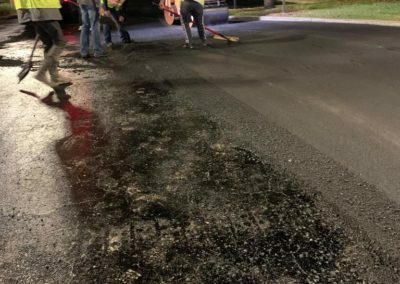 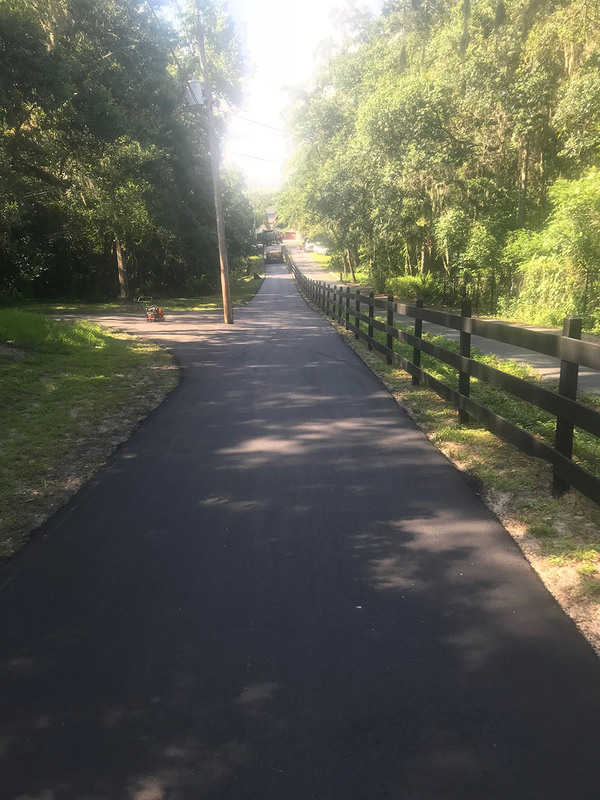 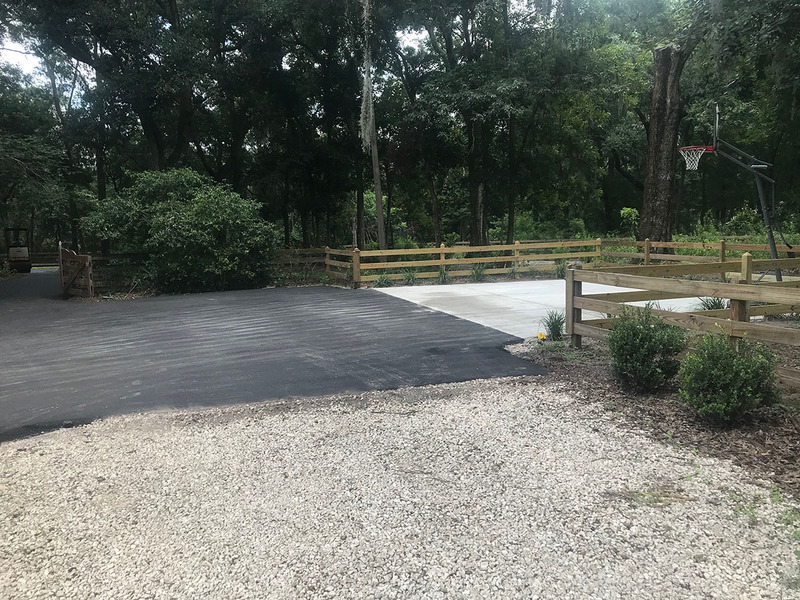 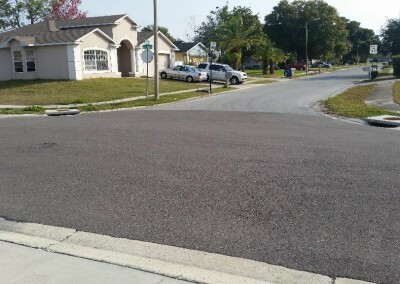 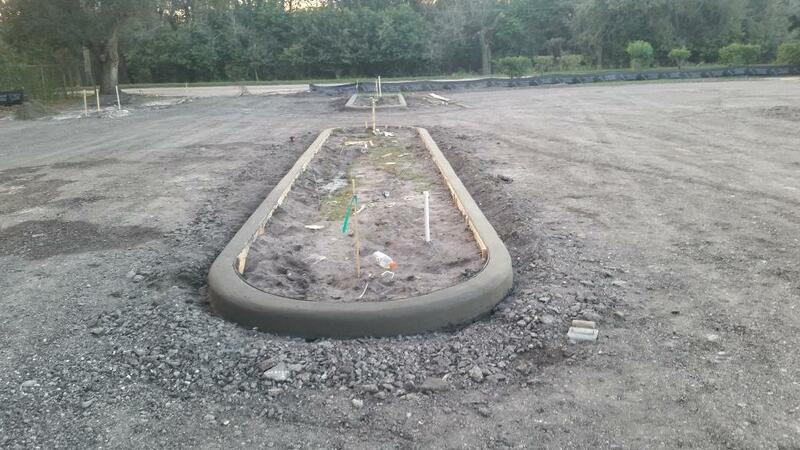 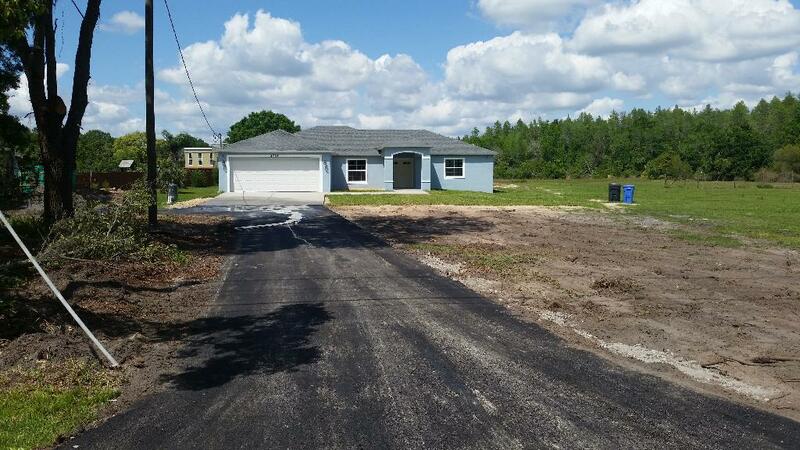 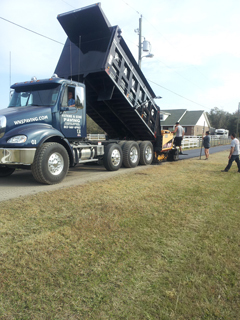 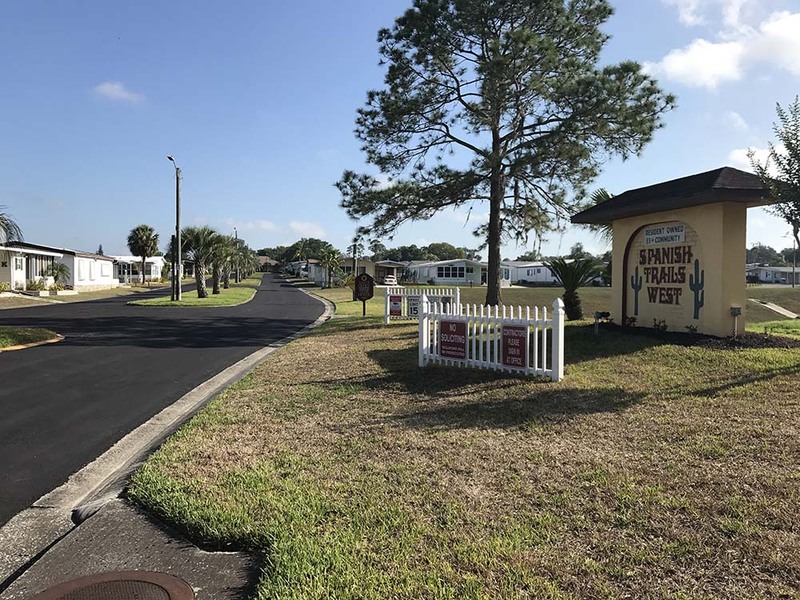 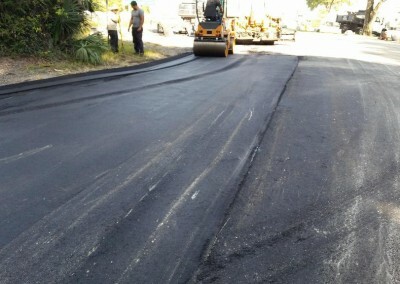 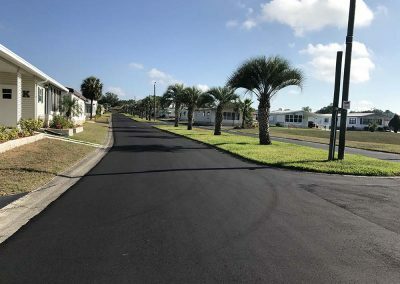 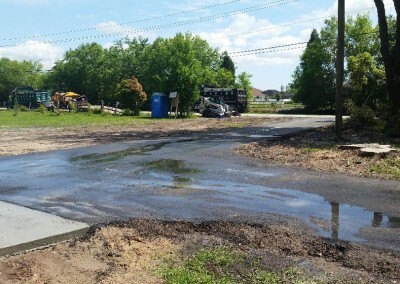 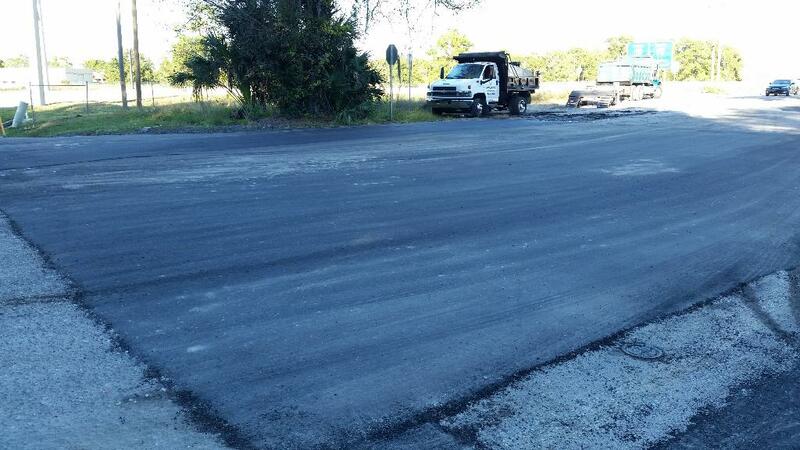 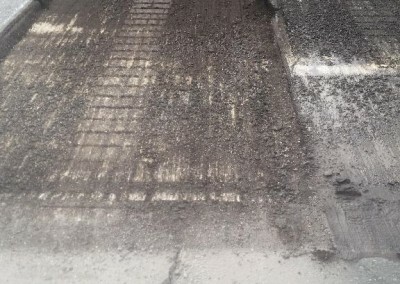 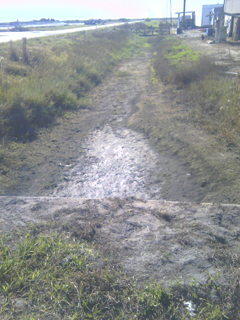 This is a Newlay of Asphalt located in lutz with a concrete ribbon edging and a culvert. 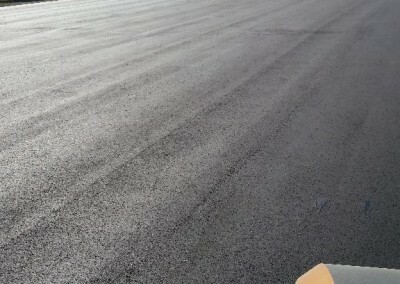 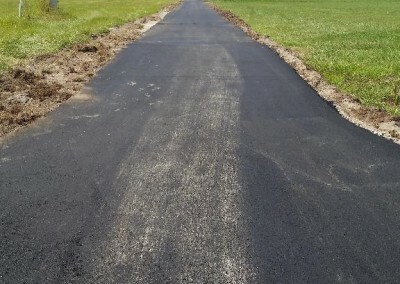 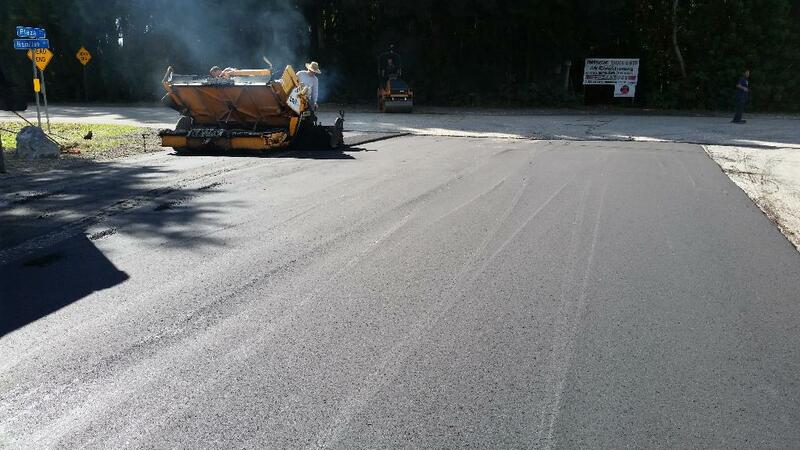 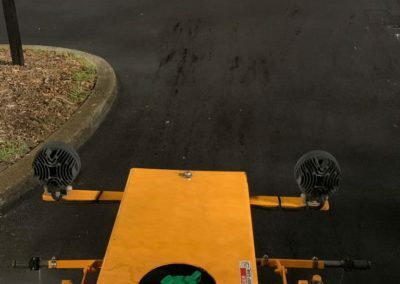 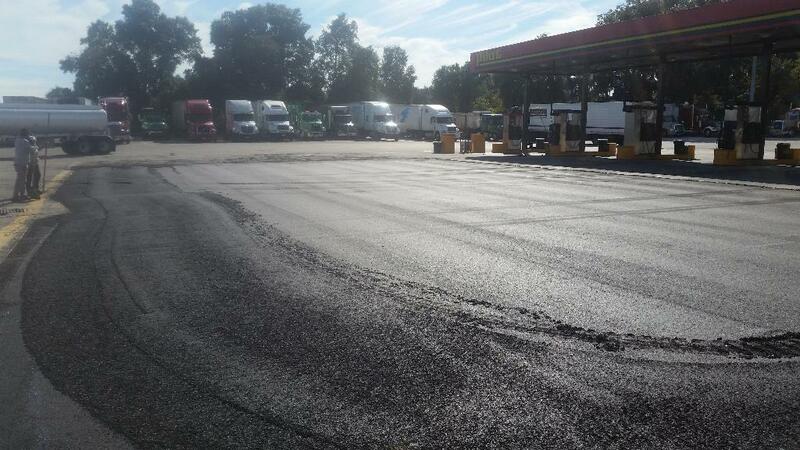 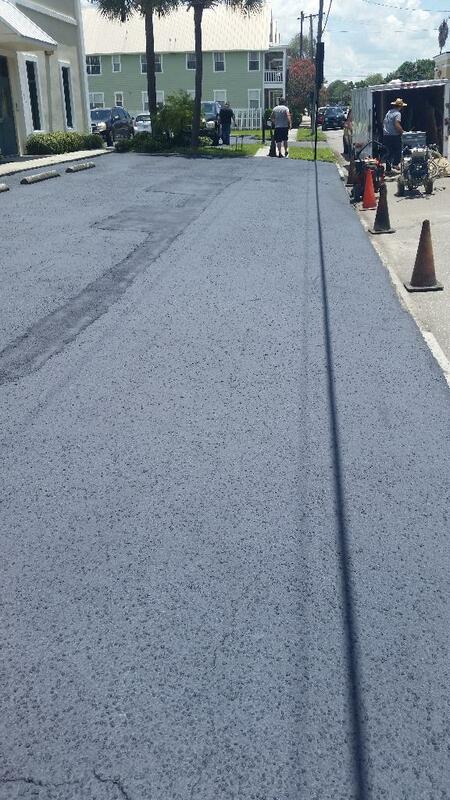 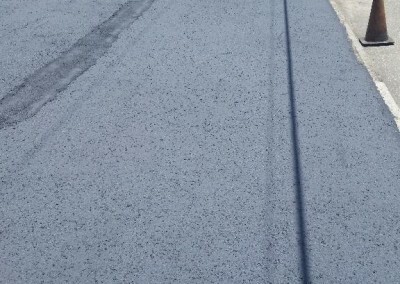 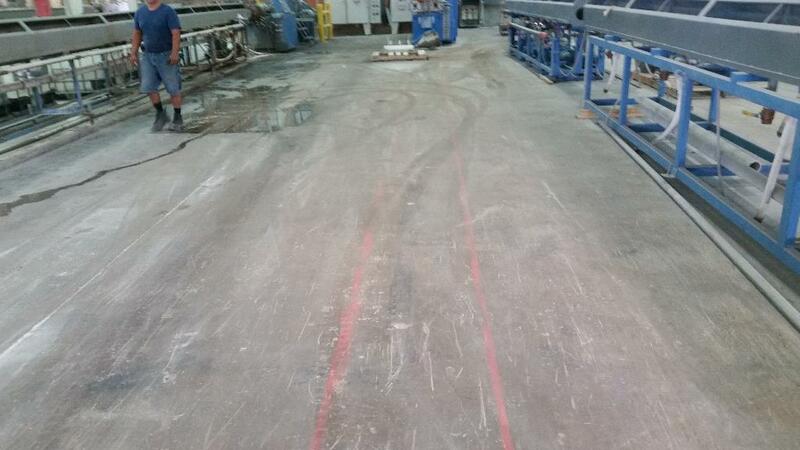 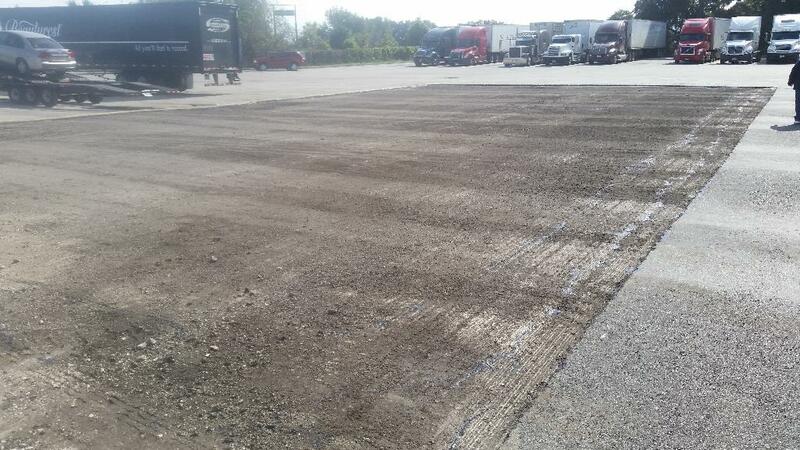 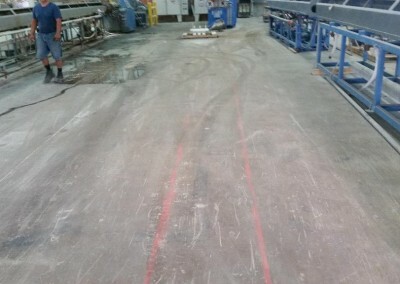 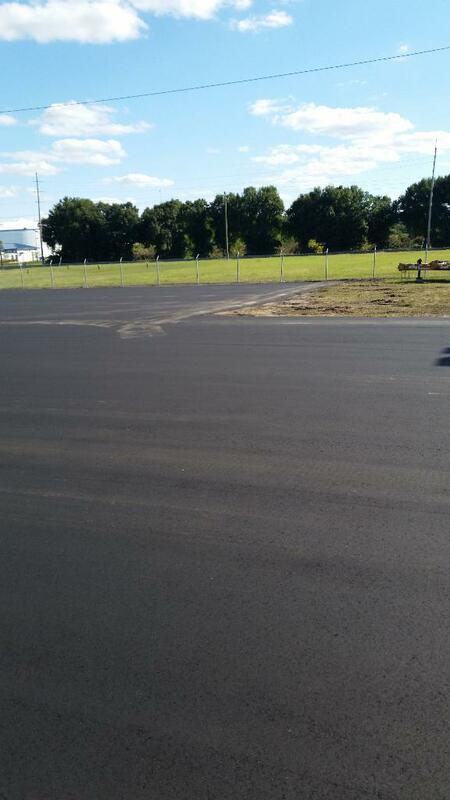 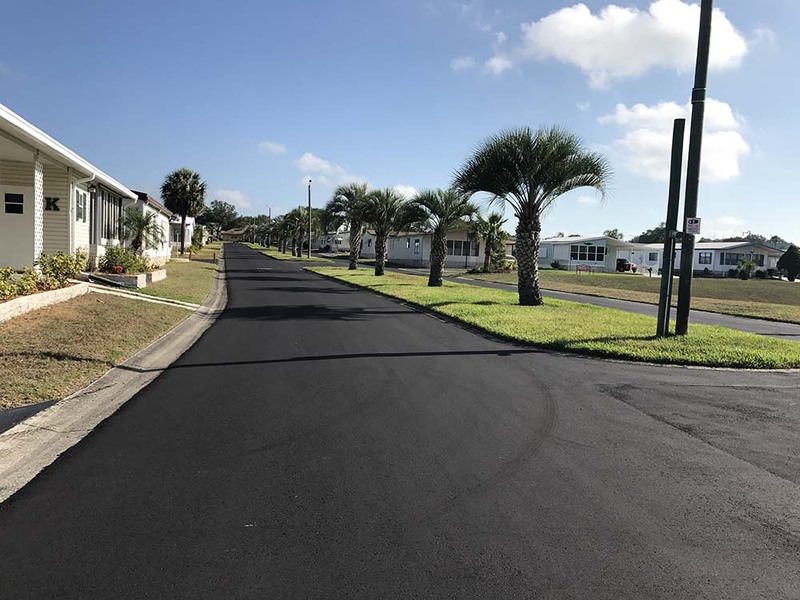 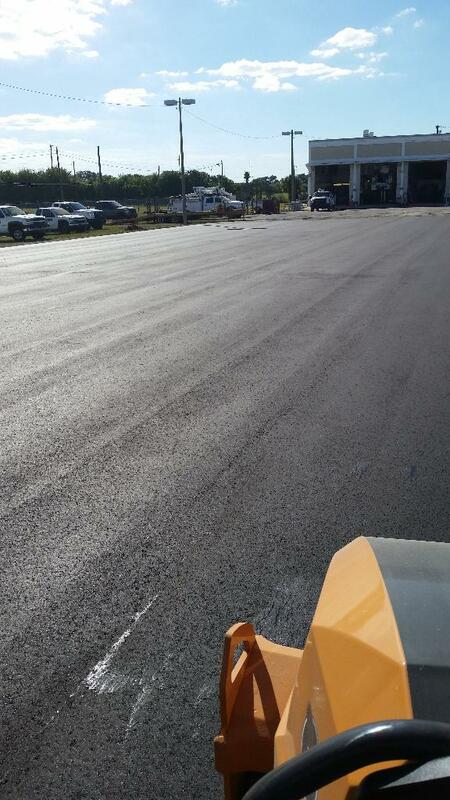 Check out this private airplane runway we paved! 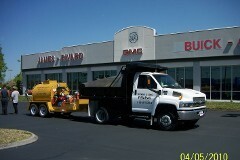 Click here for more information on this service. 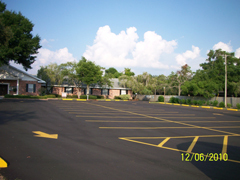 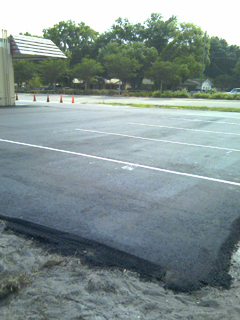 Outback Steakhouse and Plaza Lot – We take great pride in our commercial work. 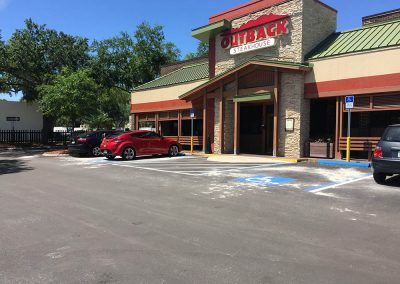 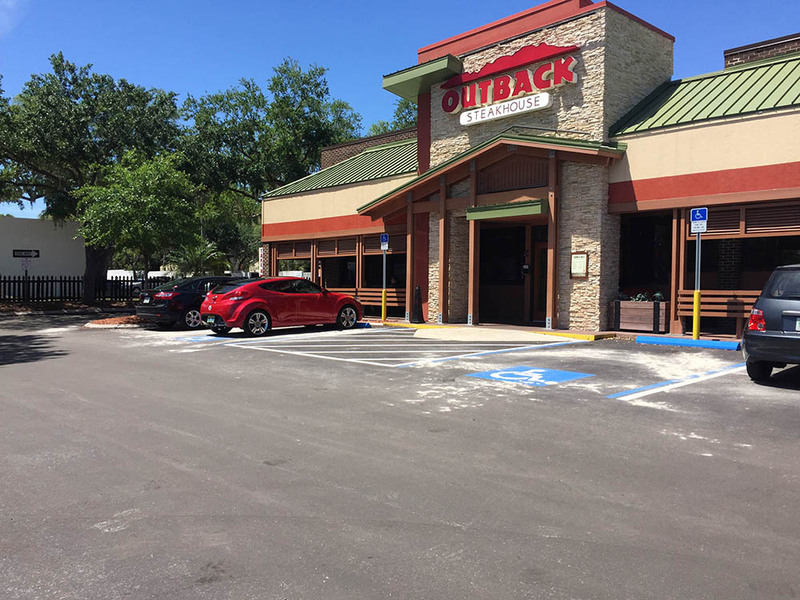 Check out the Outback Steakhouse and plaza lot. 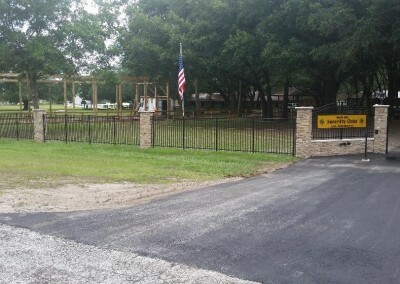 Click for more pictures. 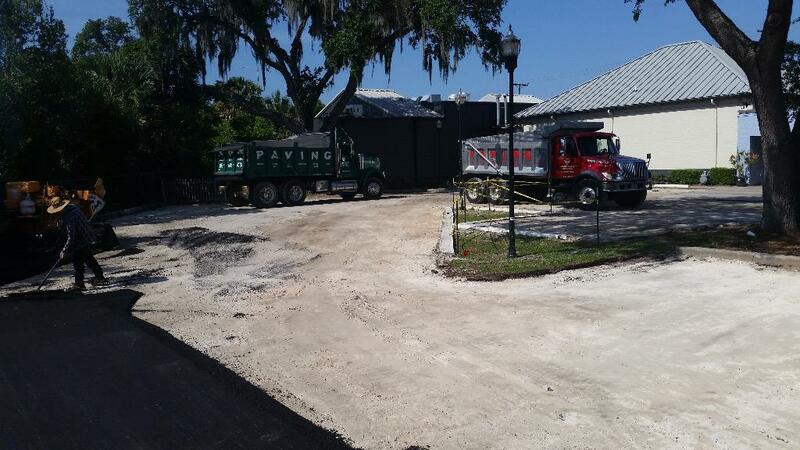 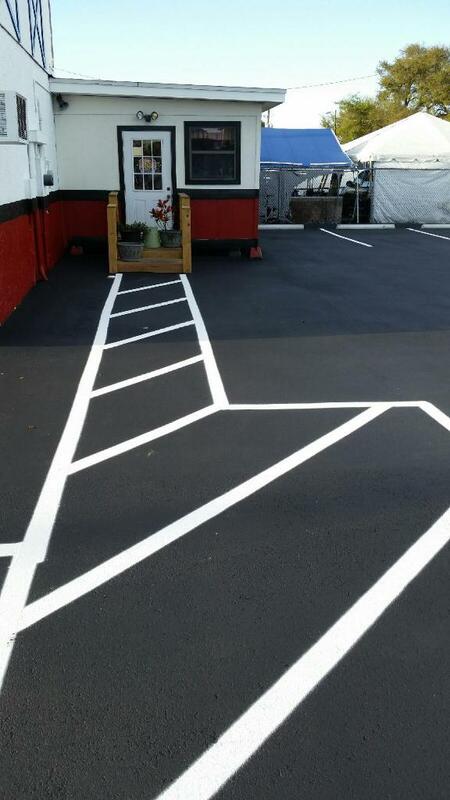 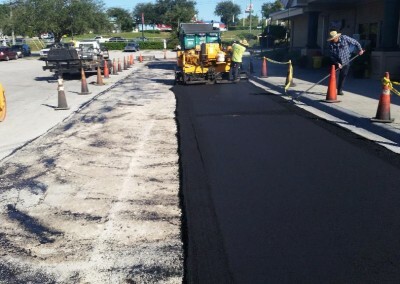 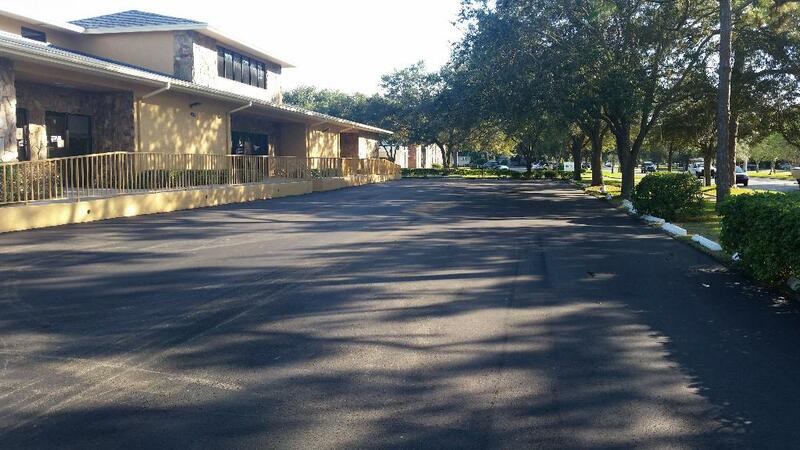 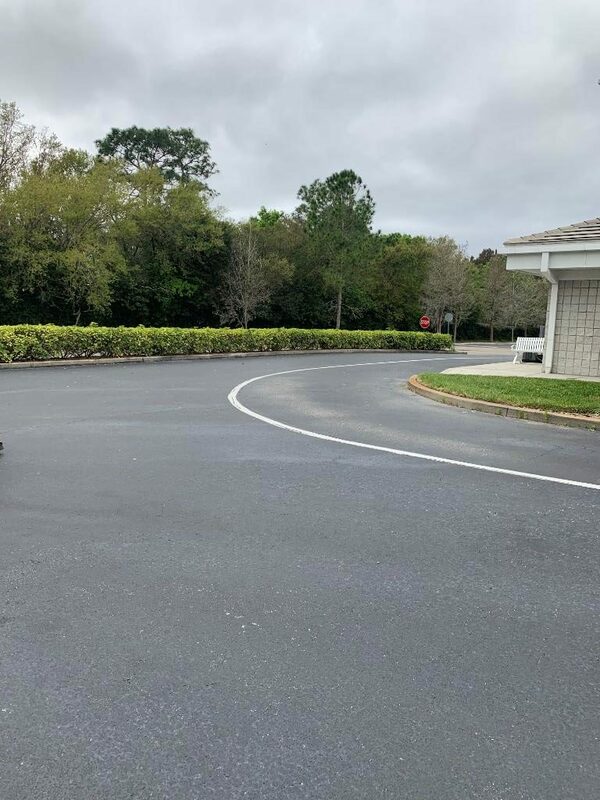 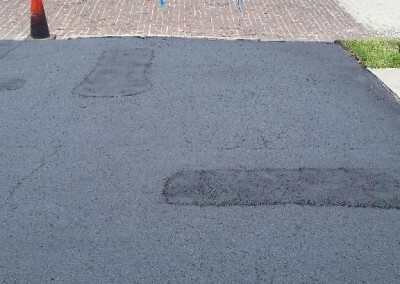 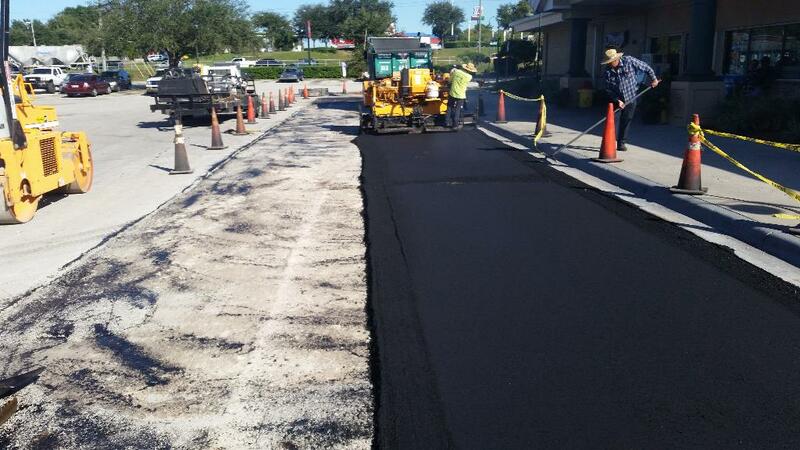 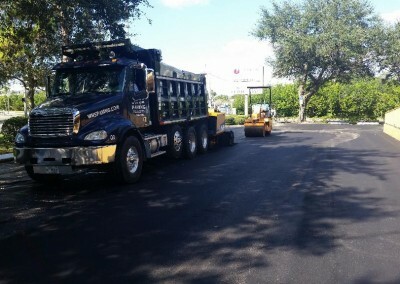 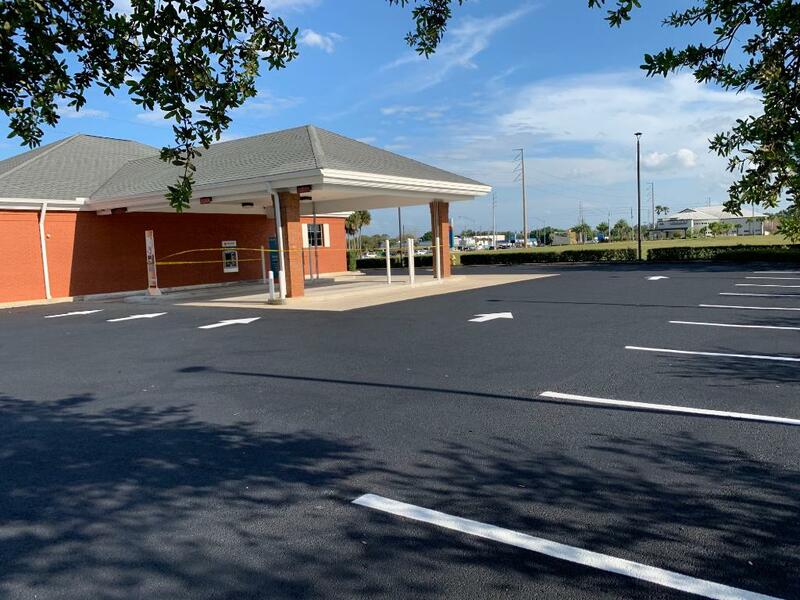 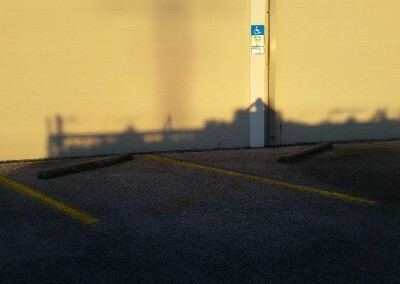 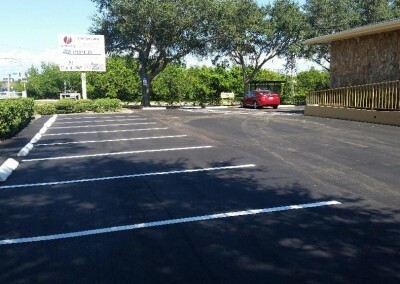 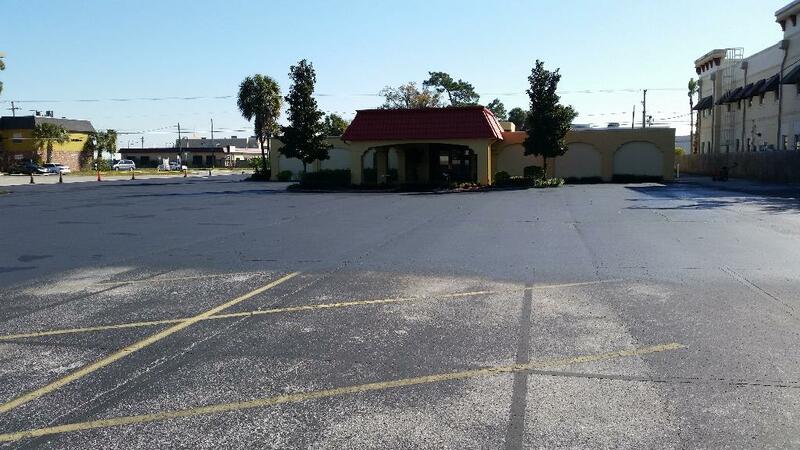 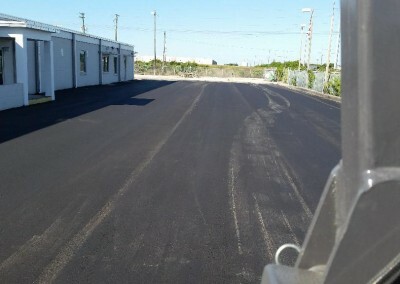 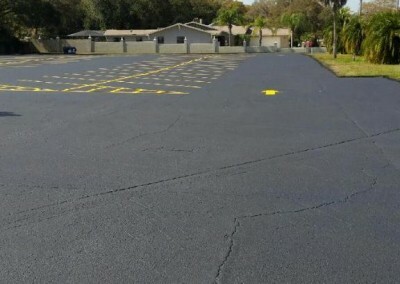 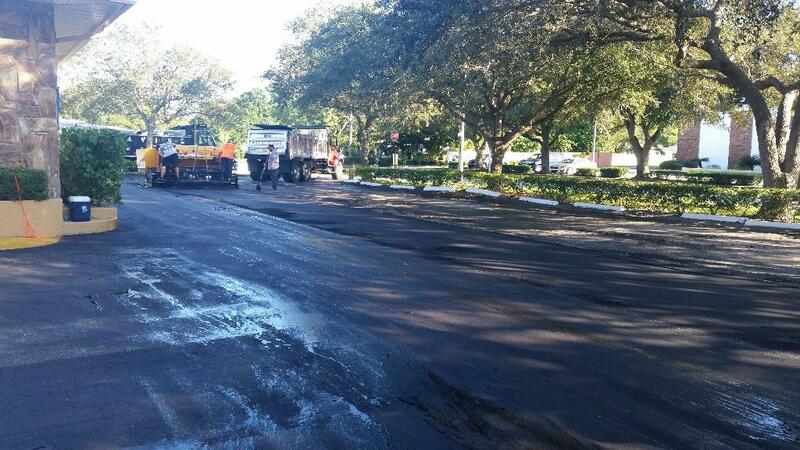 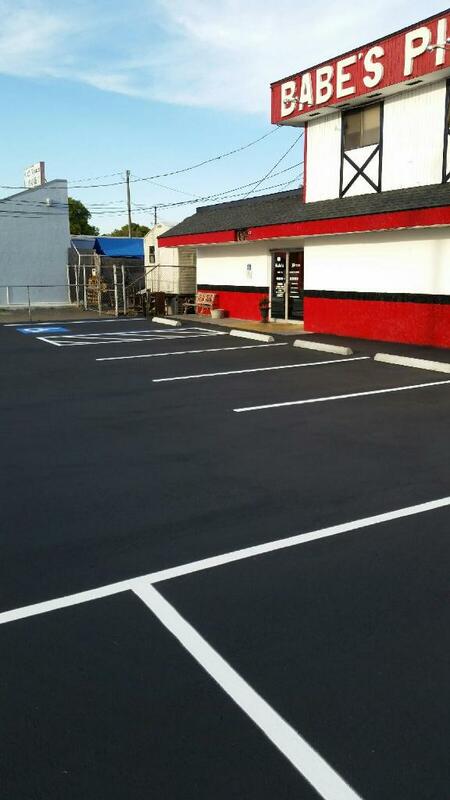 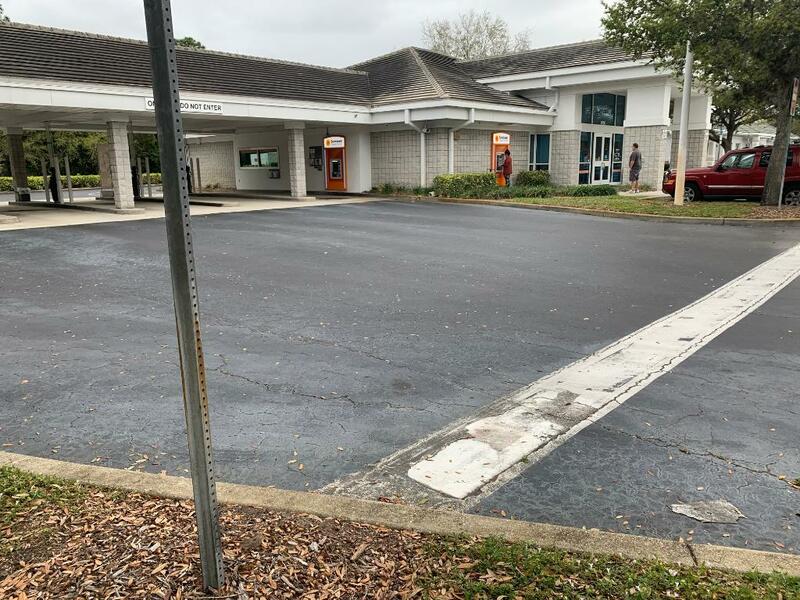 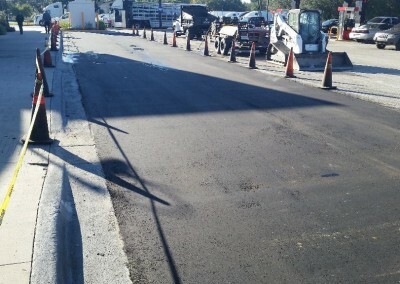 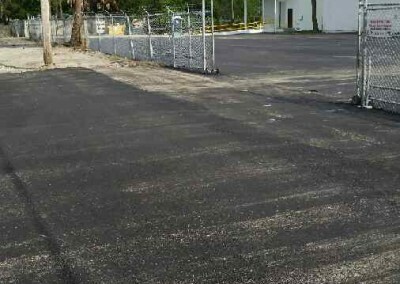 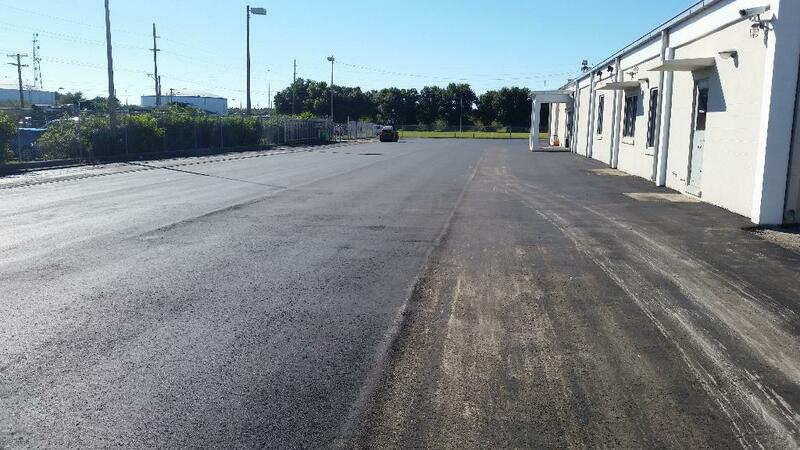 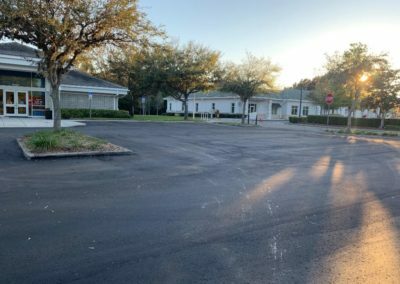 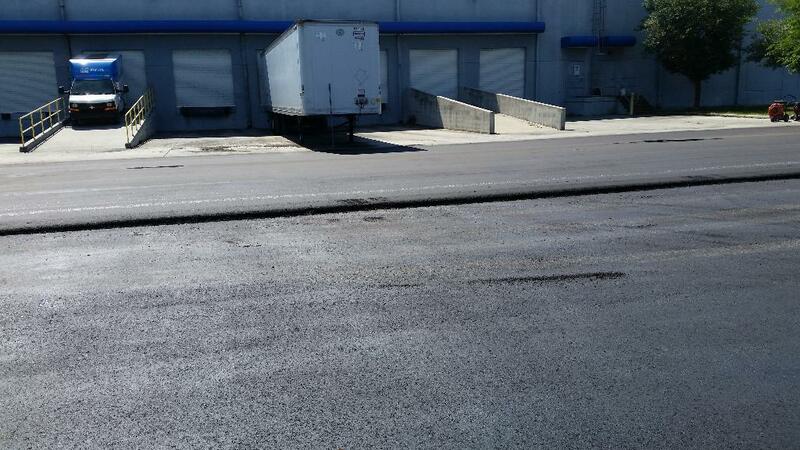 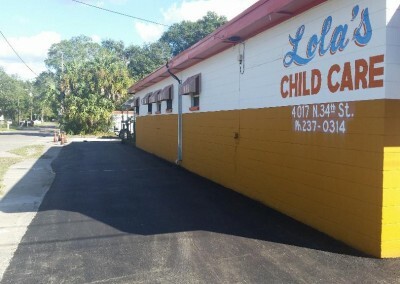 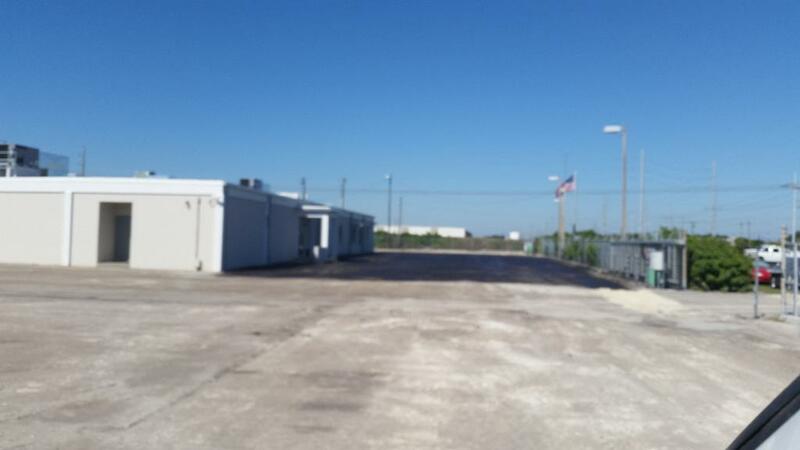 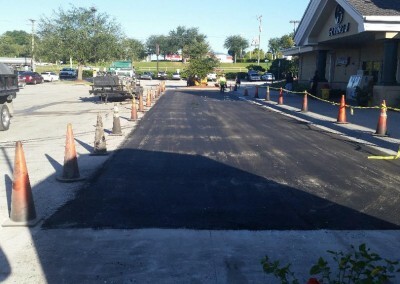 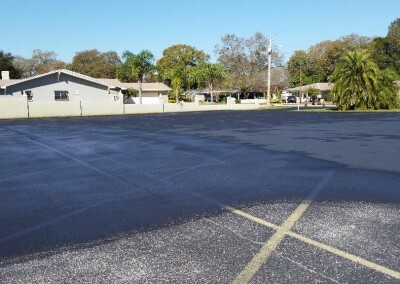 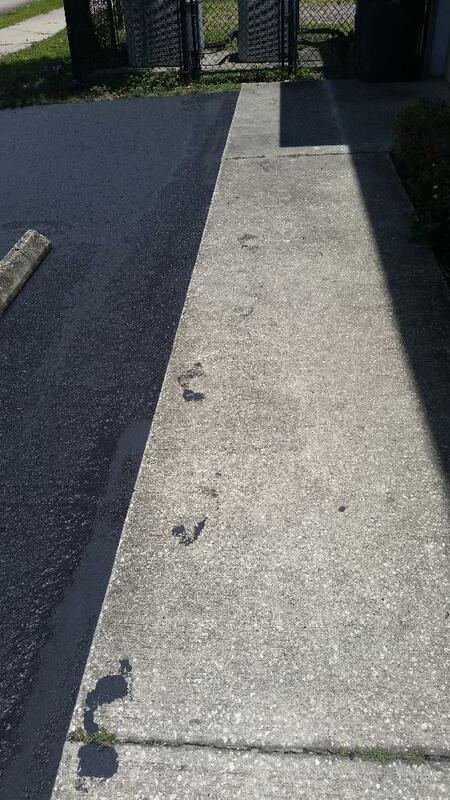 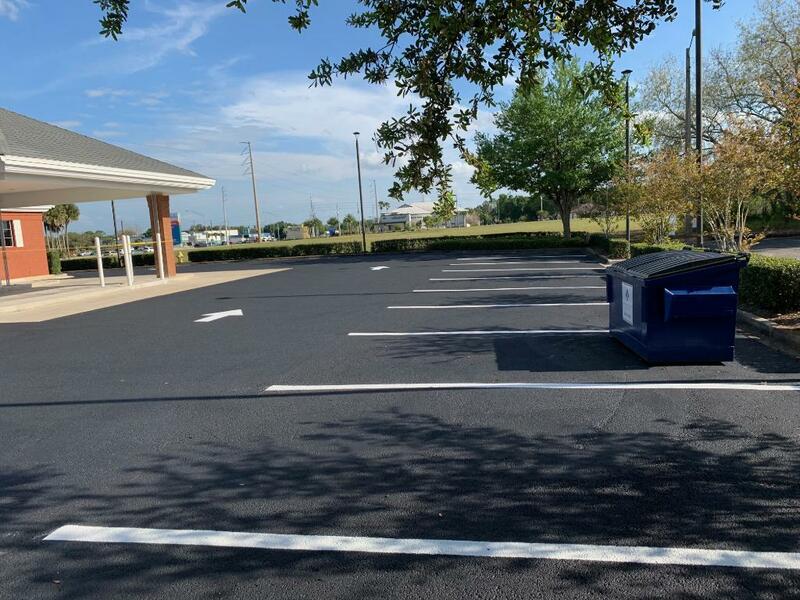 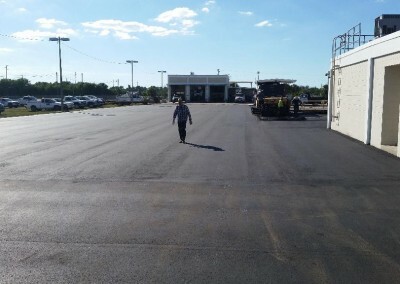 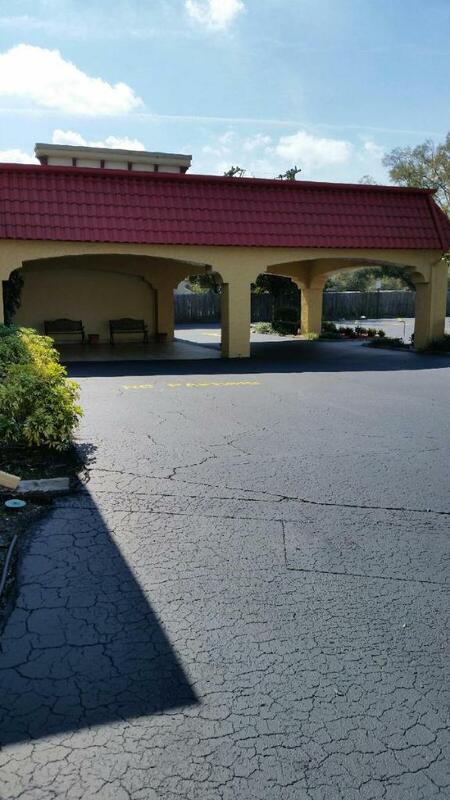 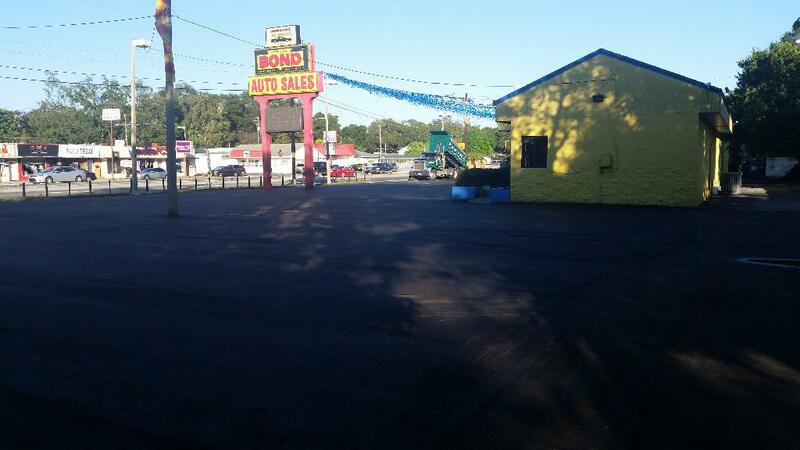 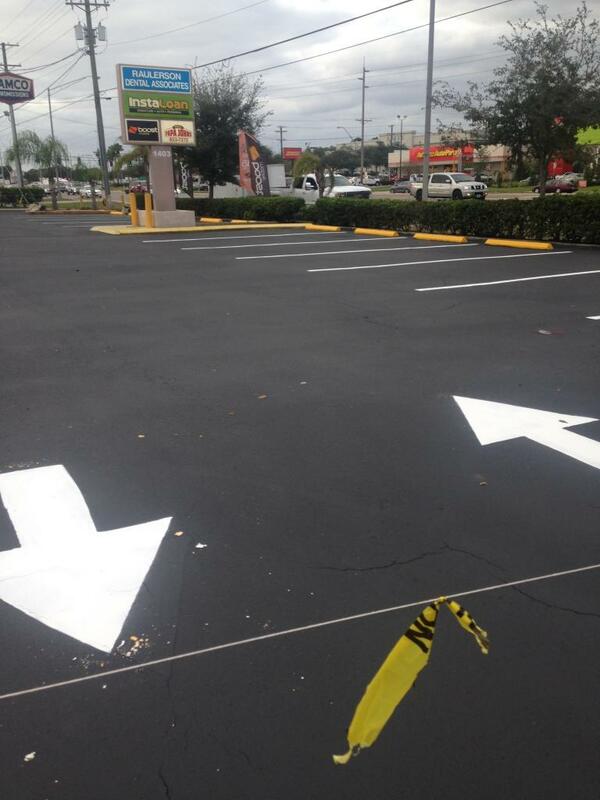 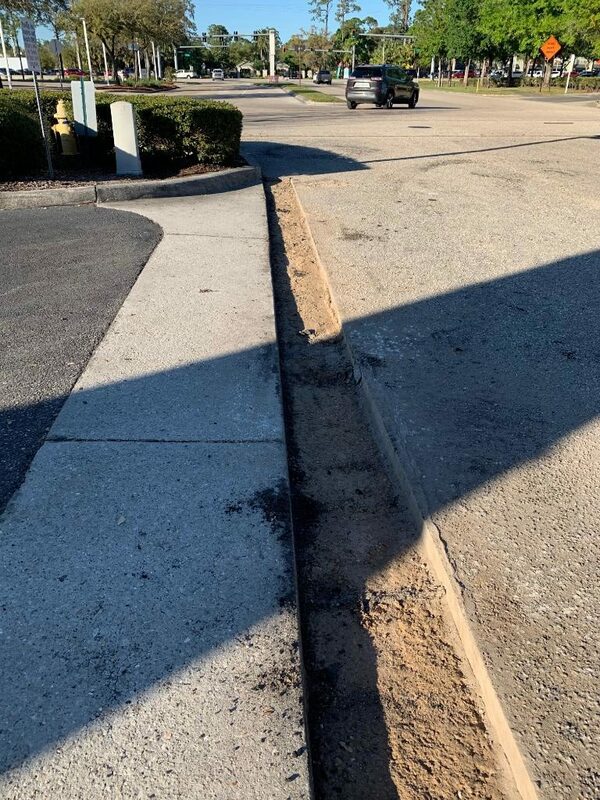 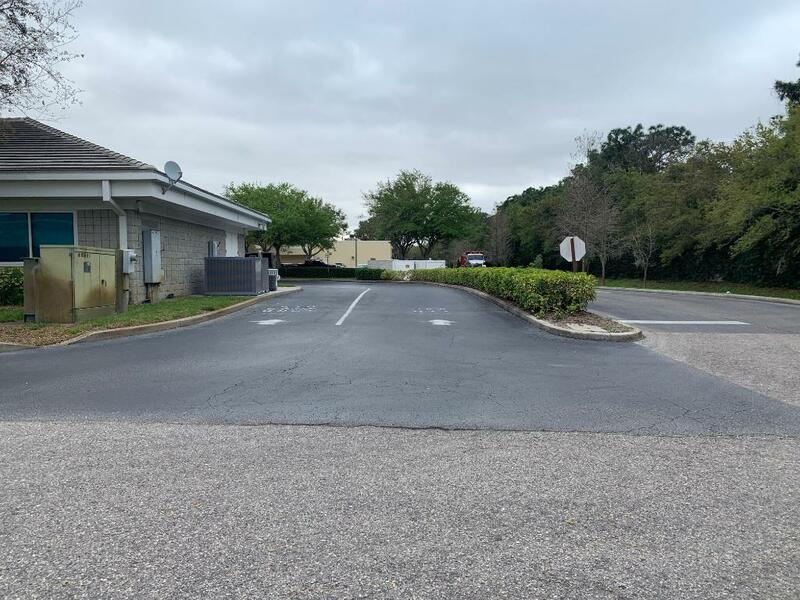 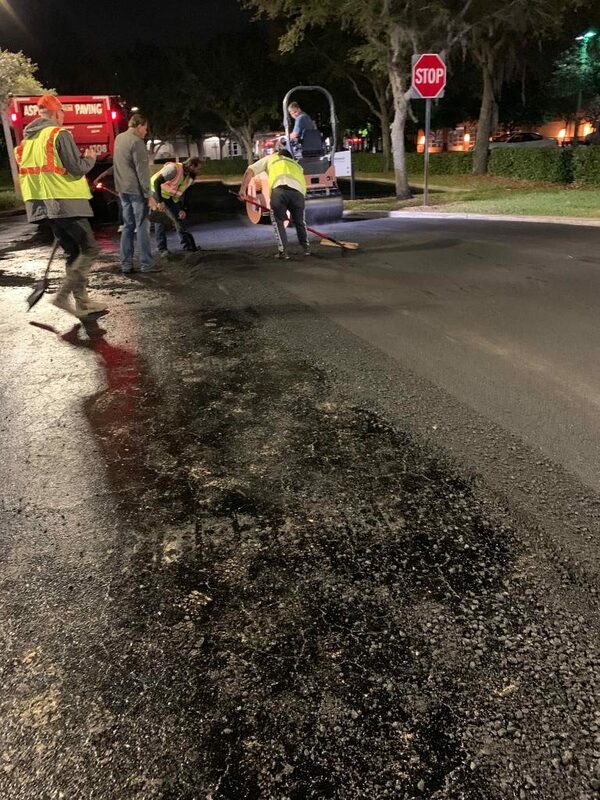 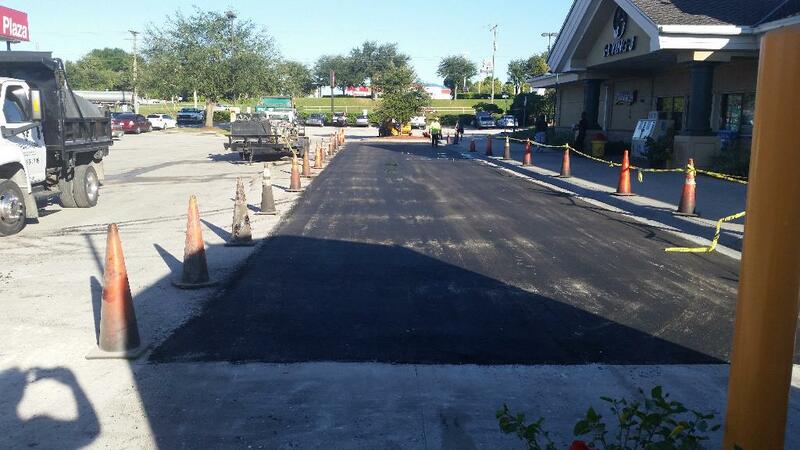 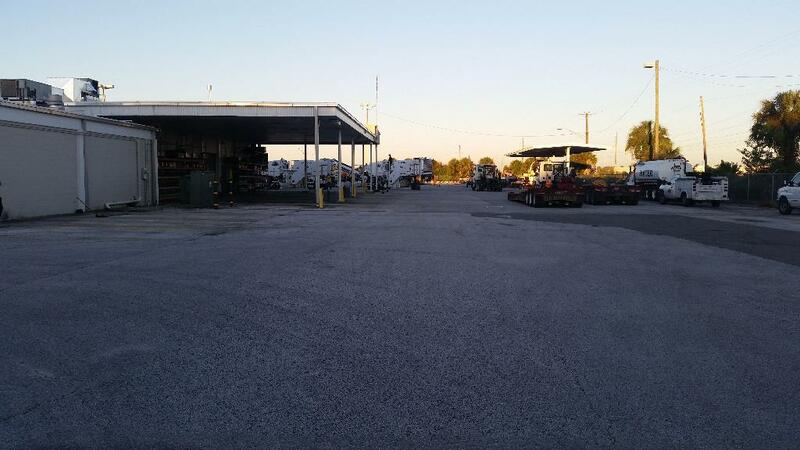 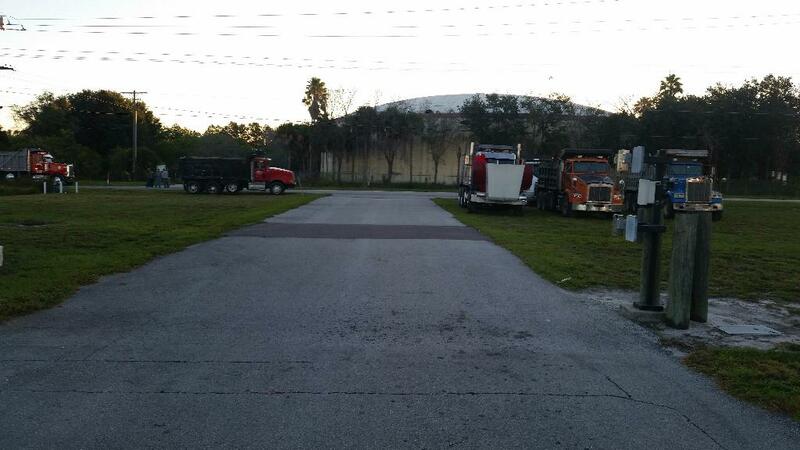 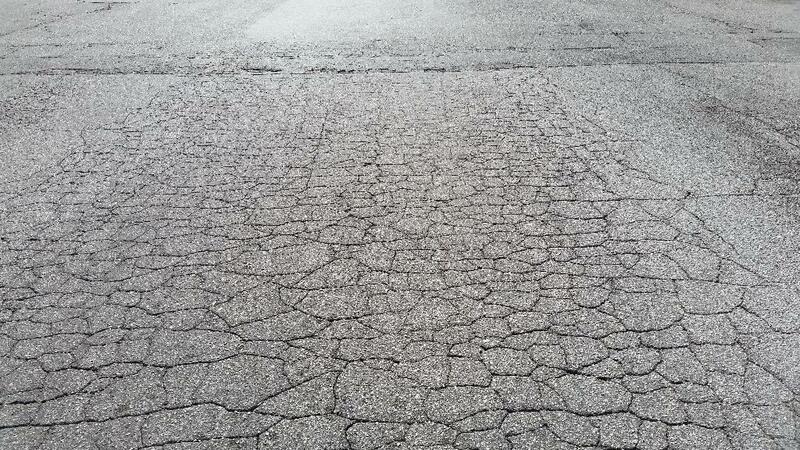 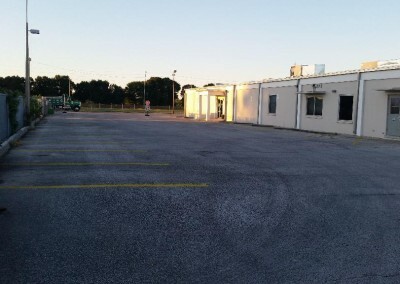 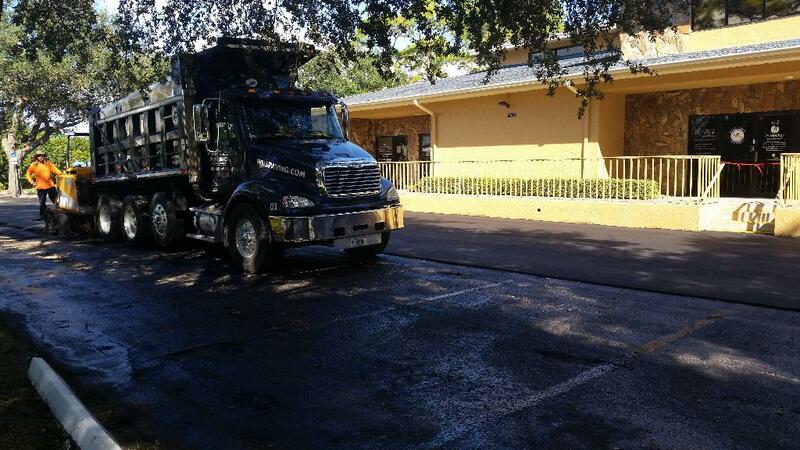 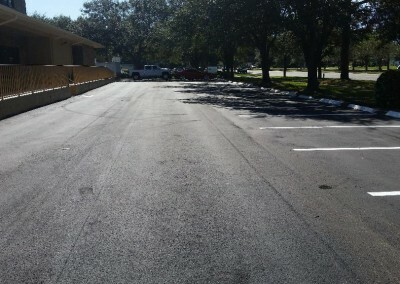 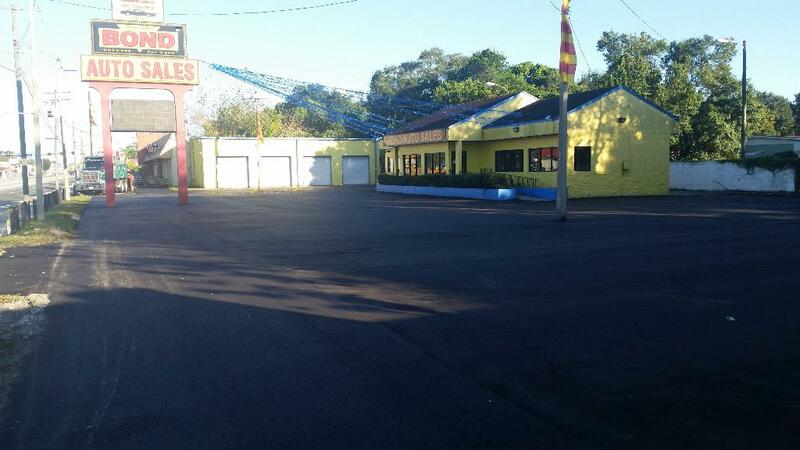 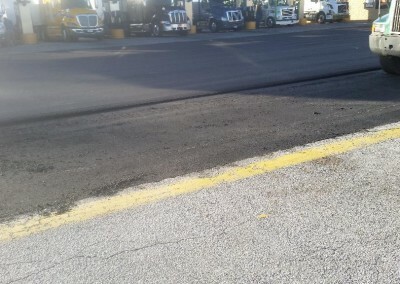 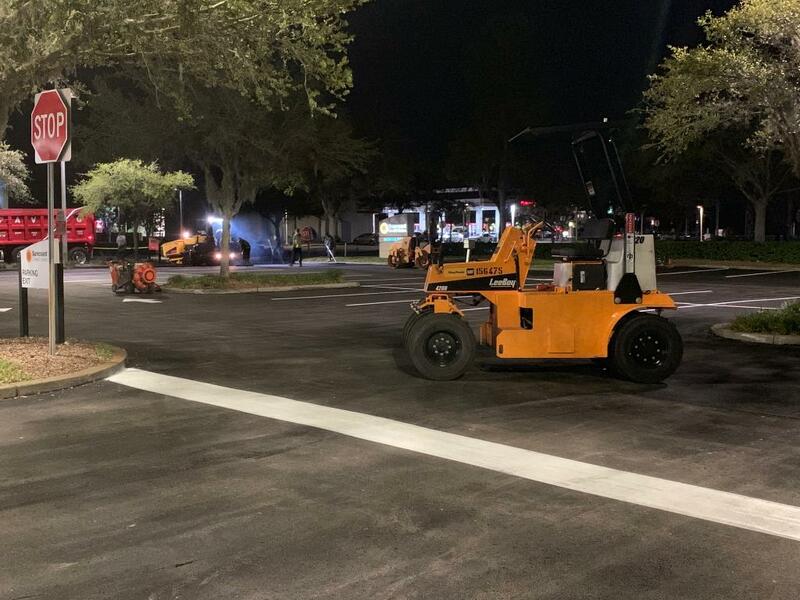 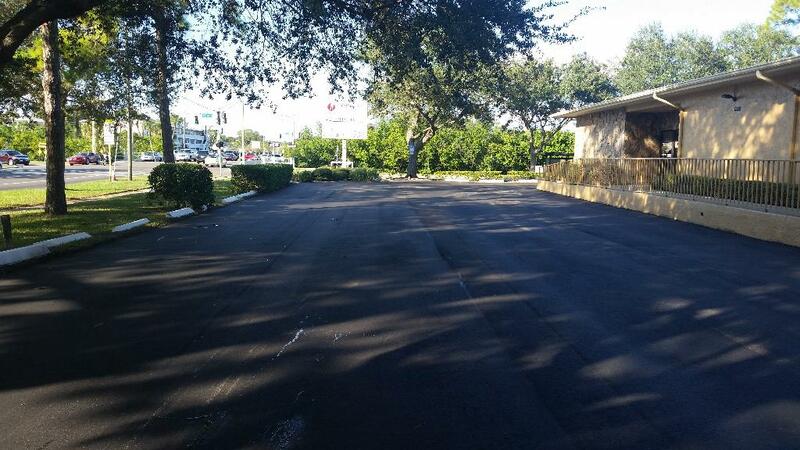 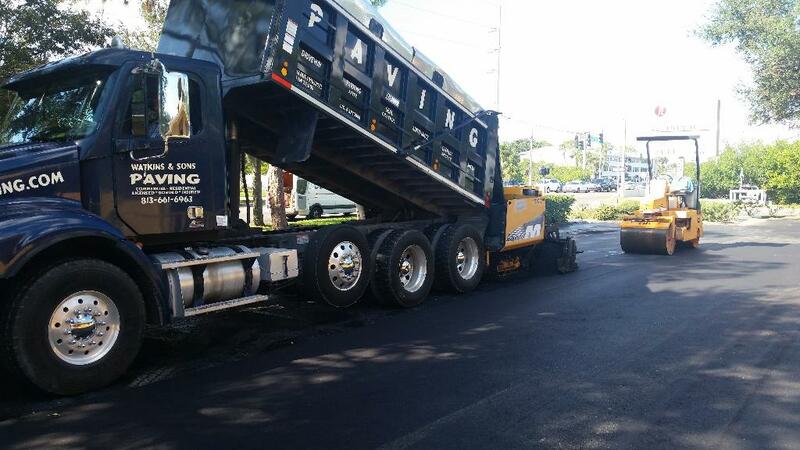 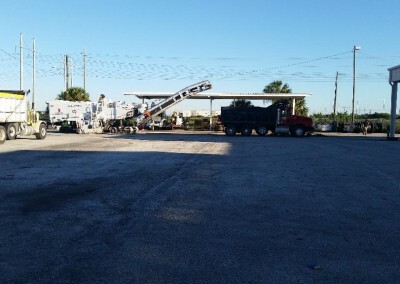 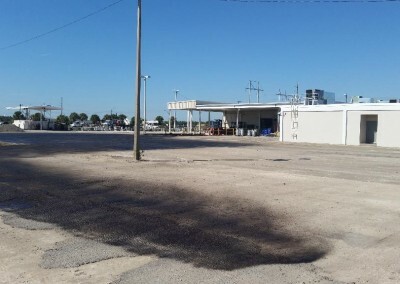 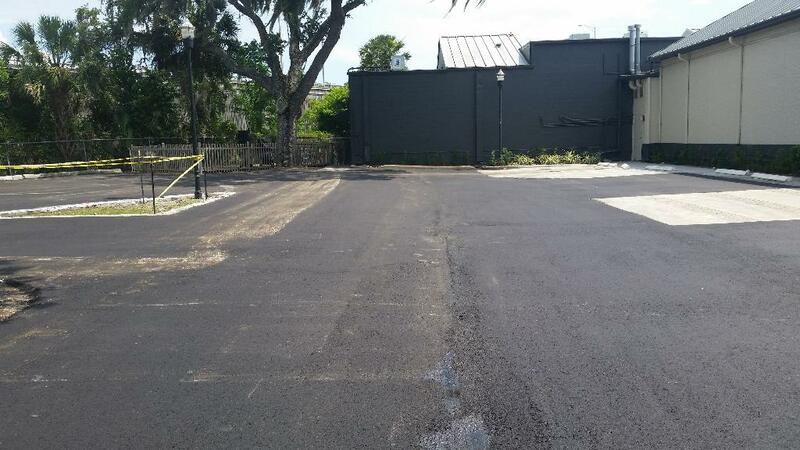 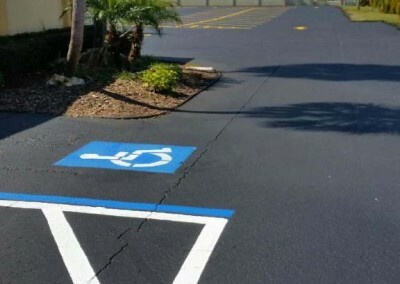 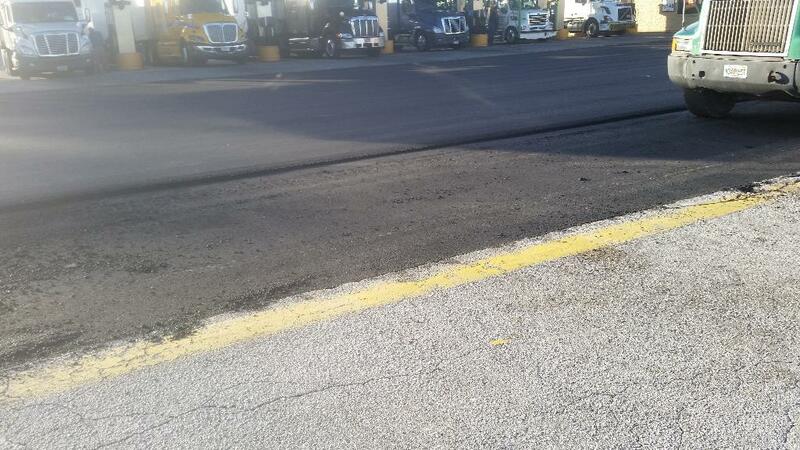 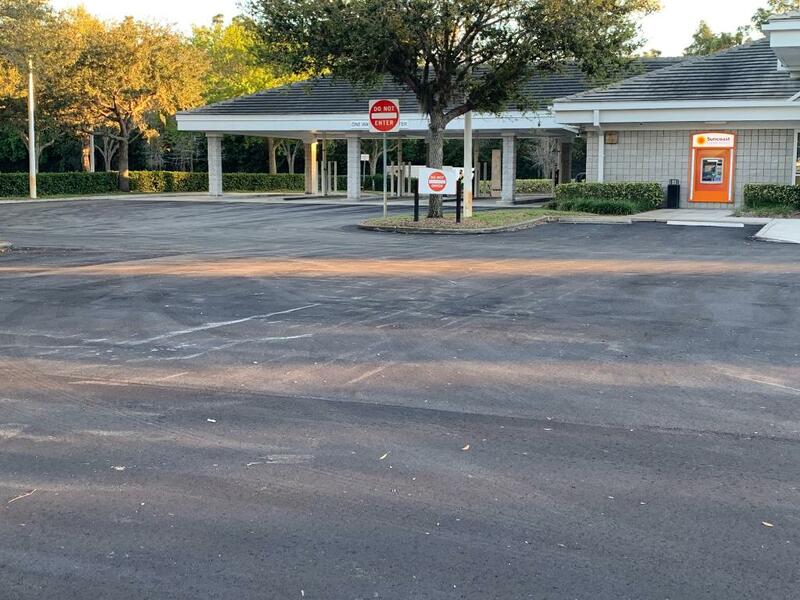 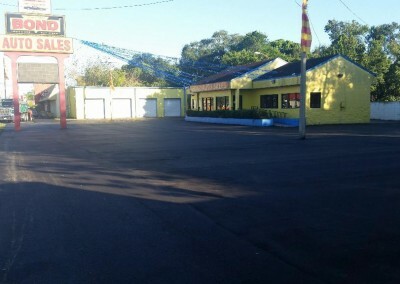 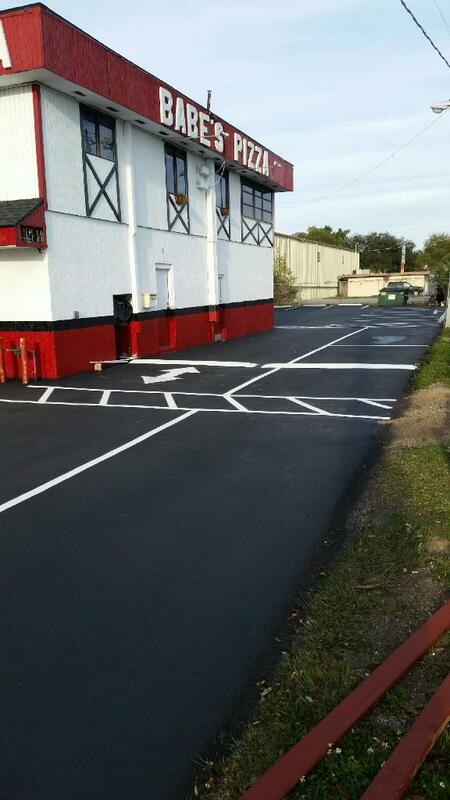 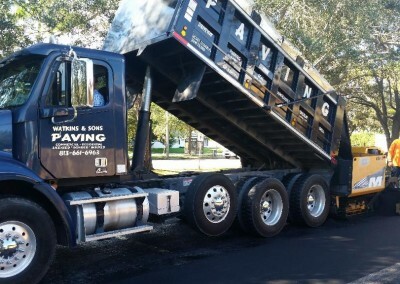 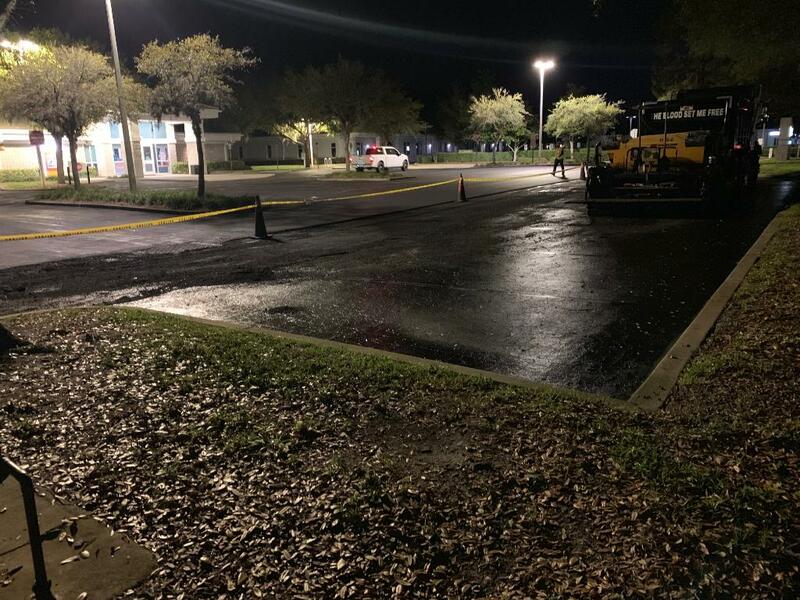 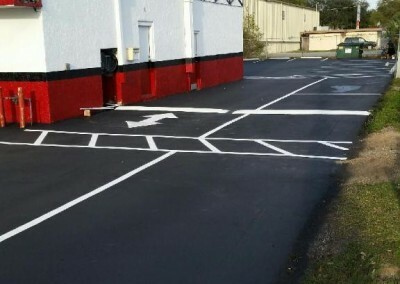 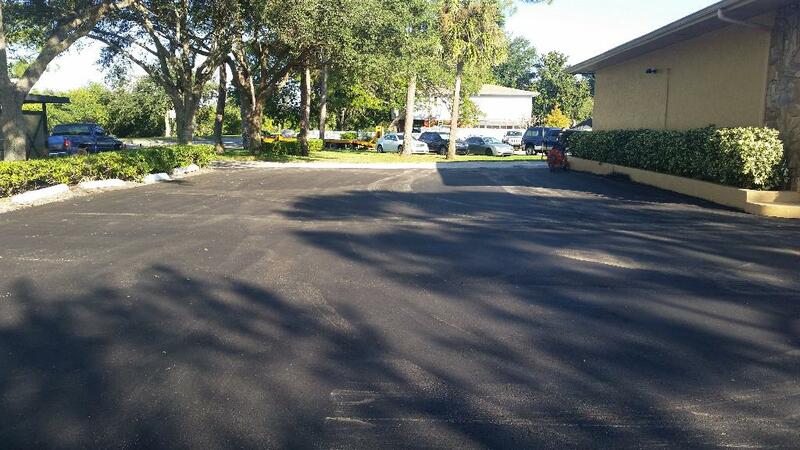 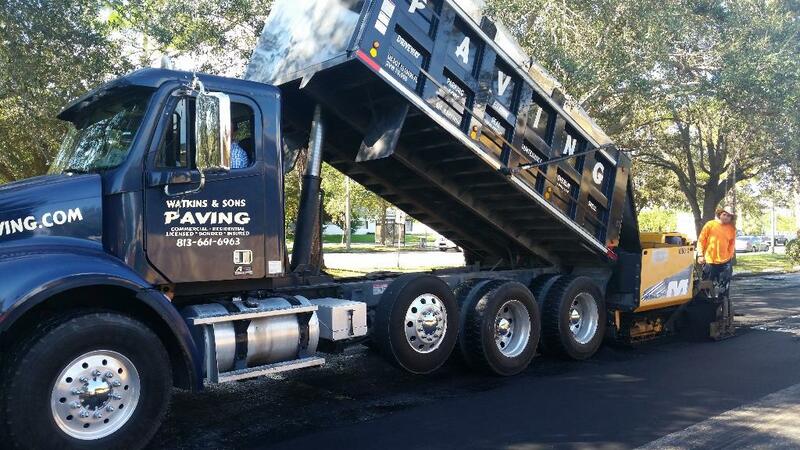 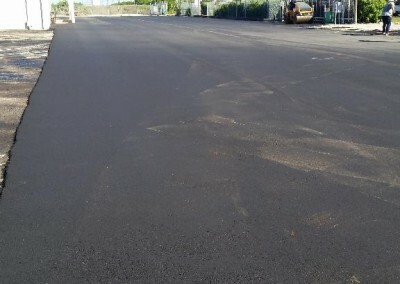 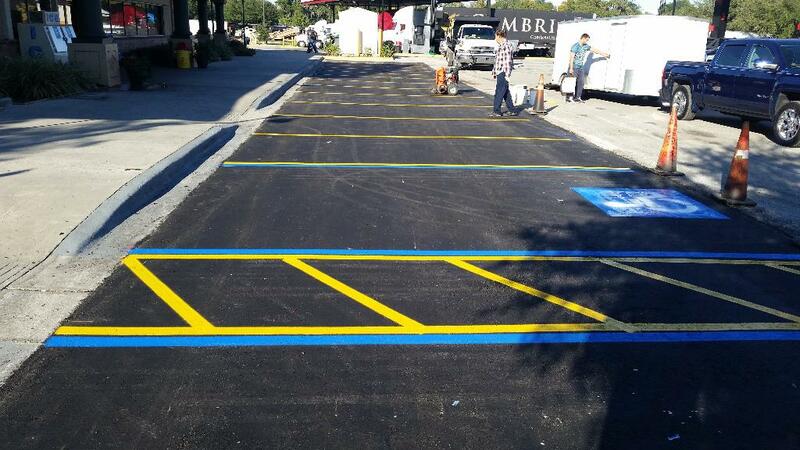 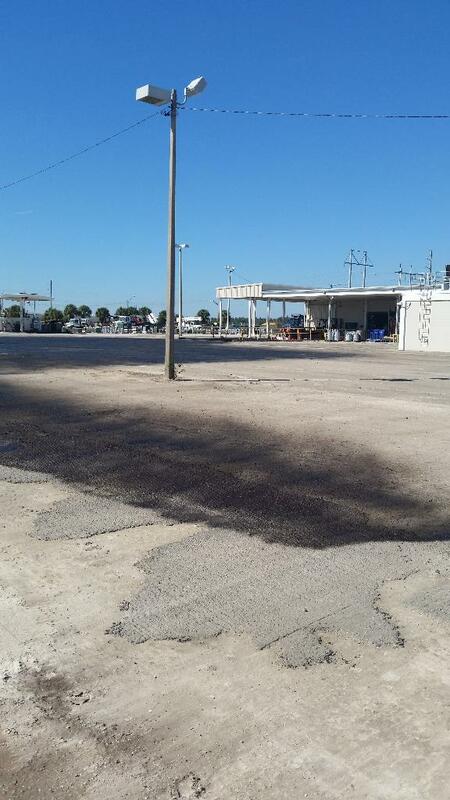 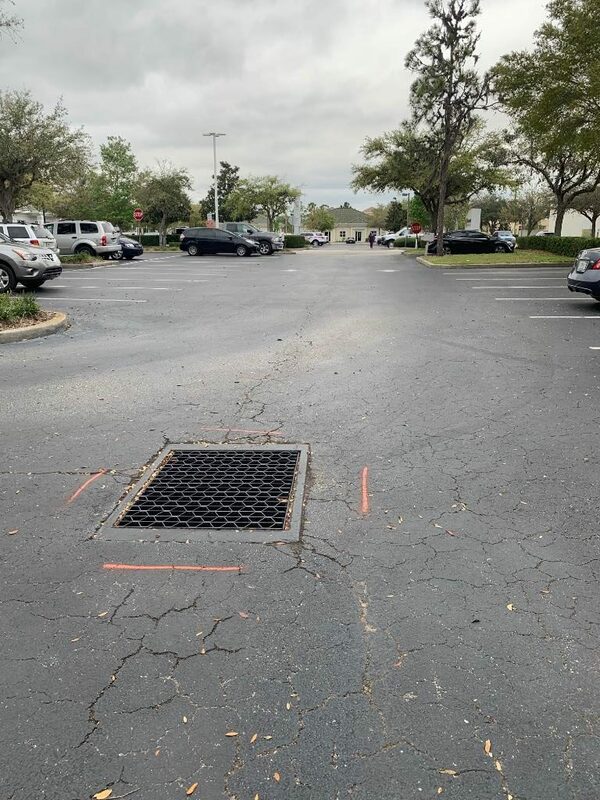 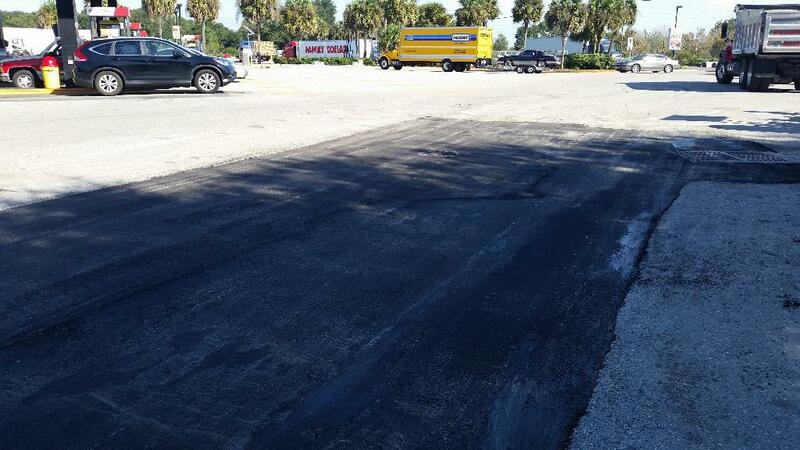 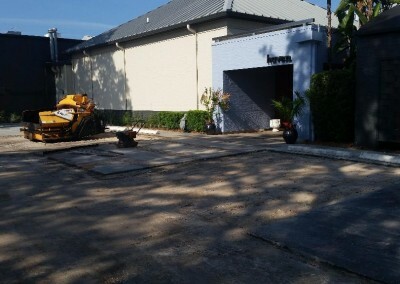 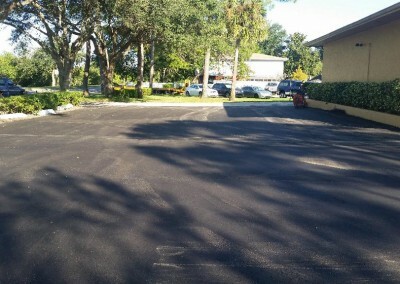 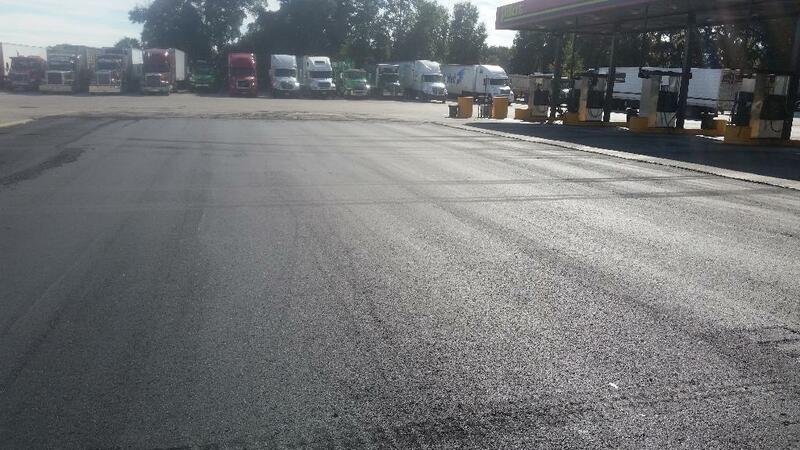 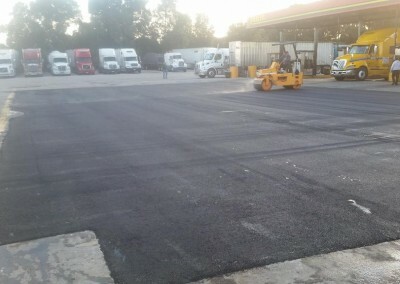 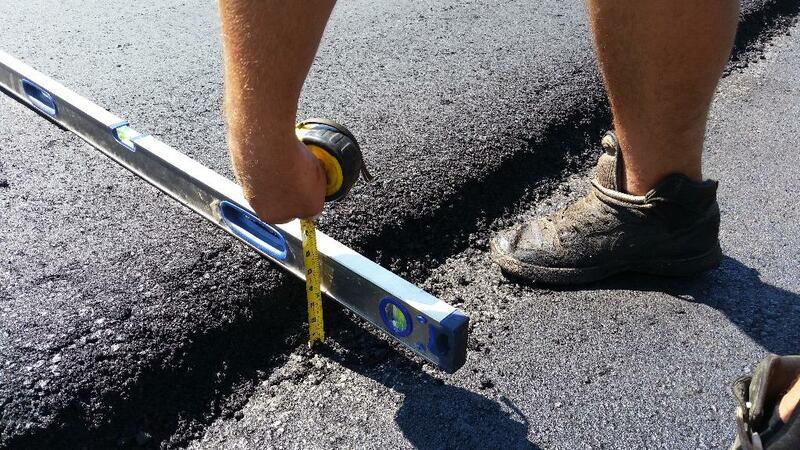 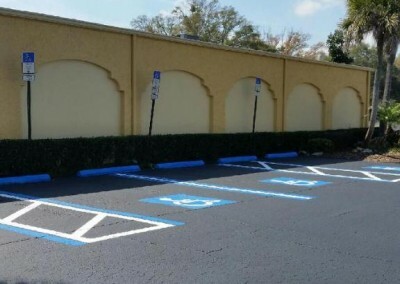 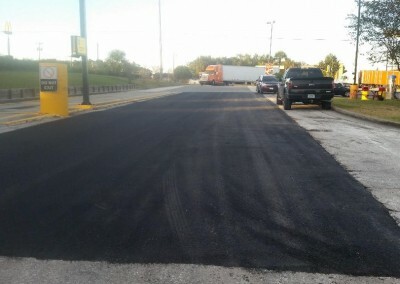 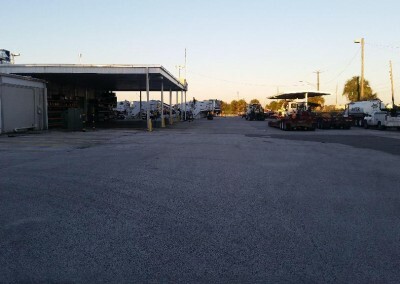 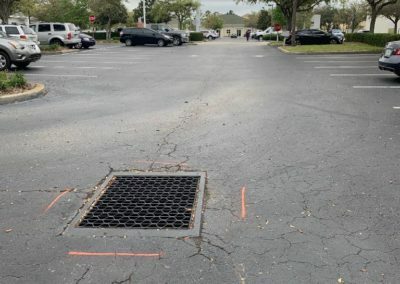 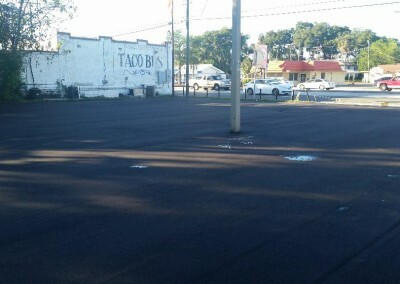 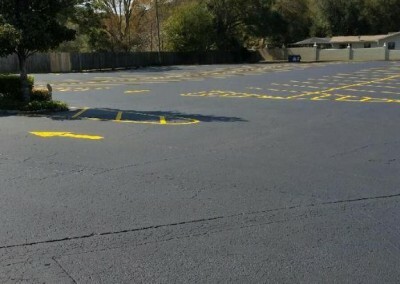 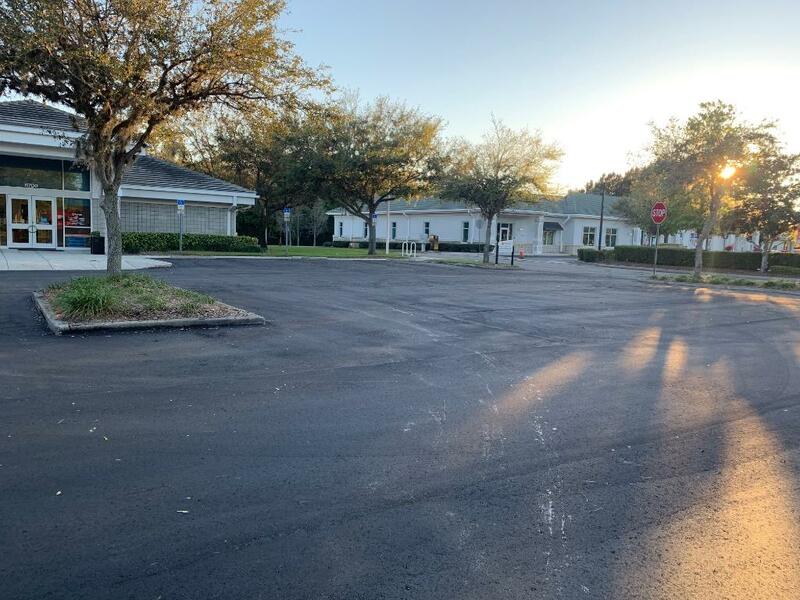 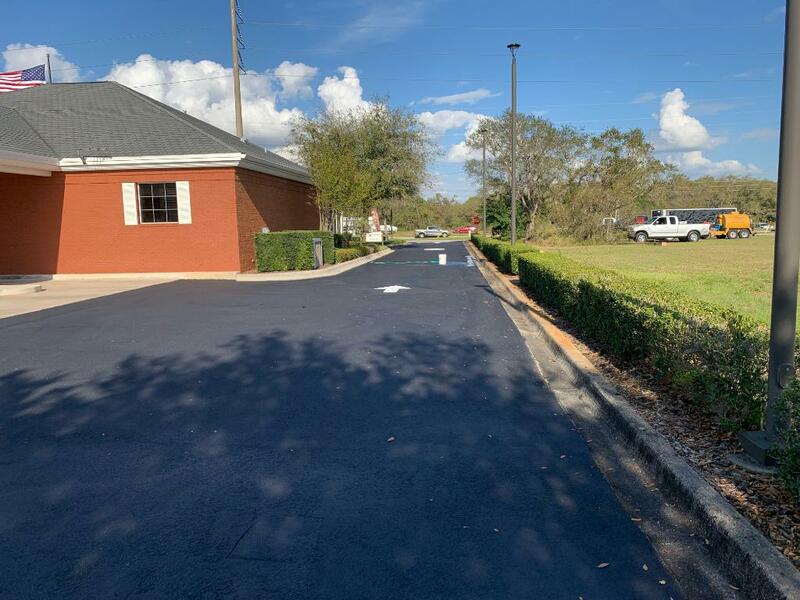 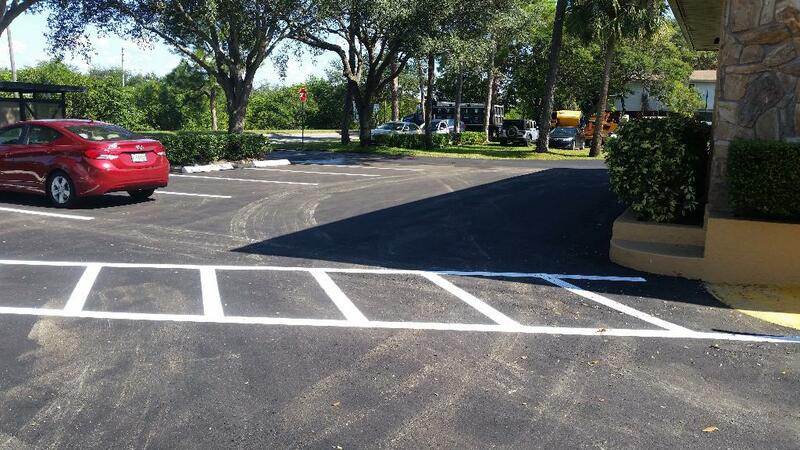 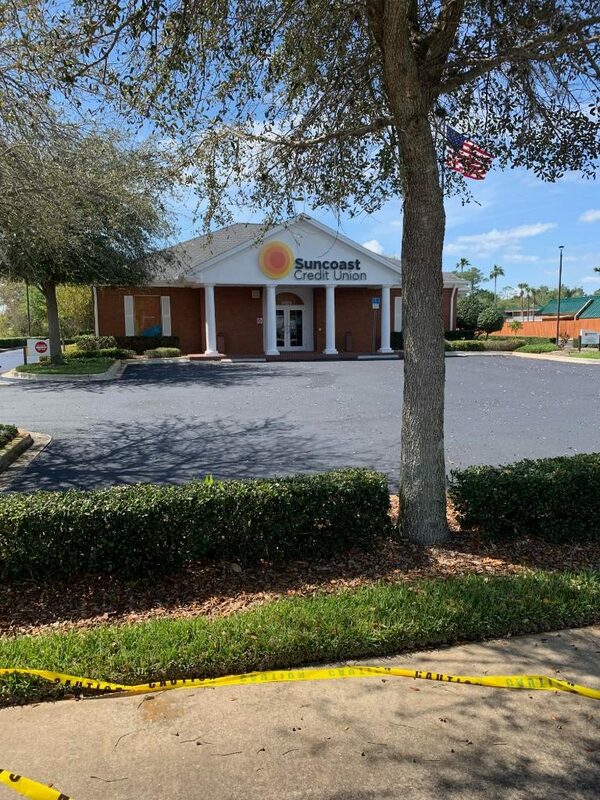 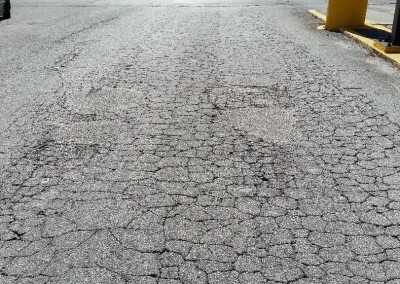 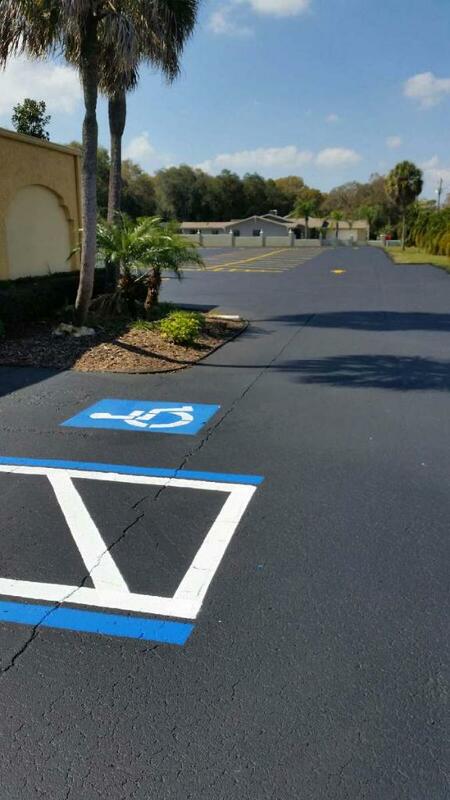 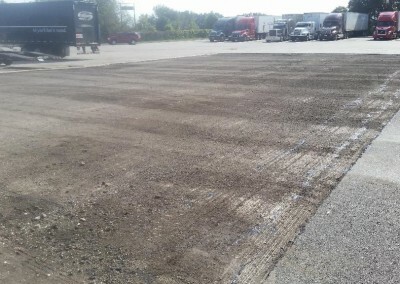 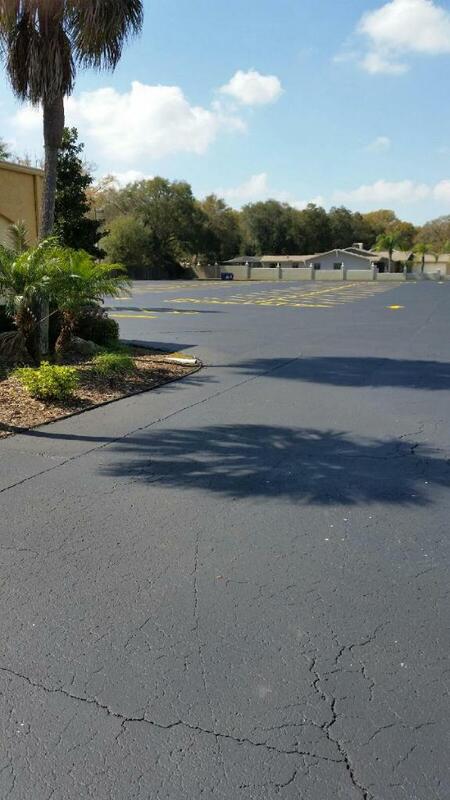 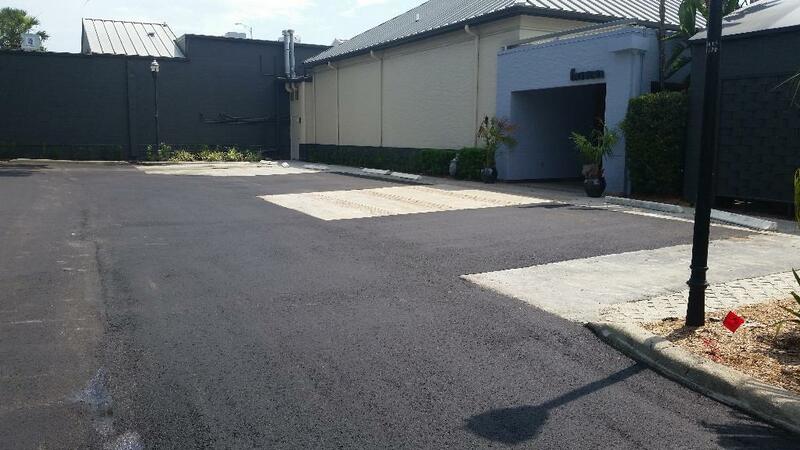 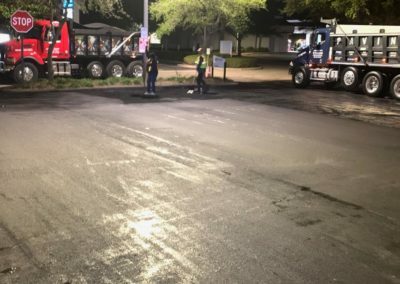 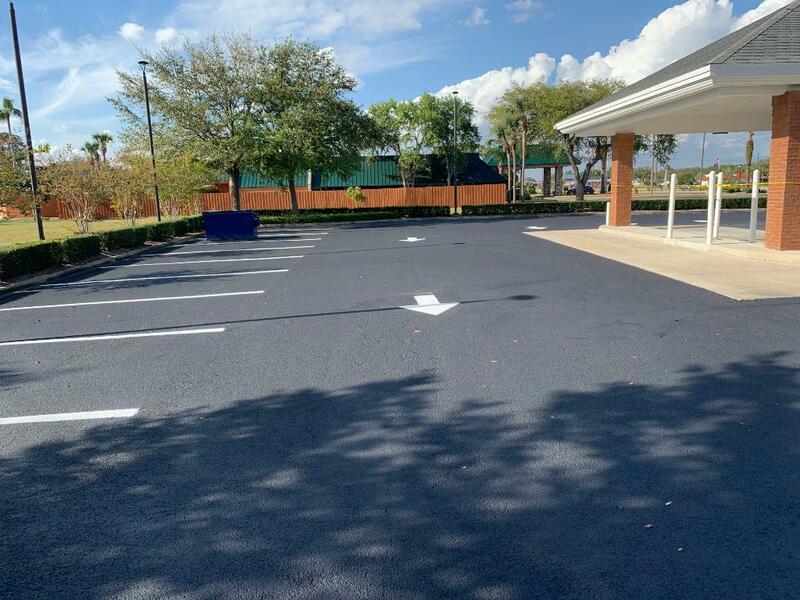 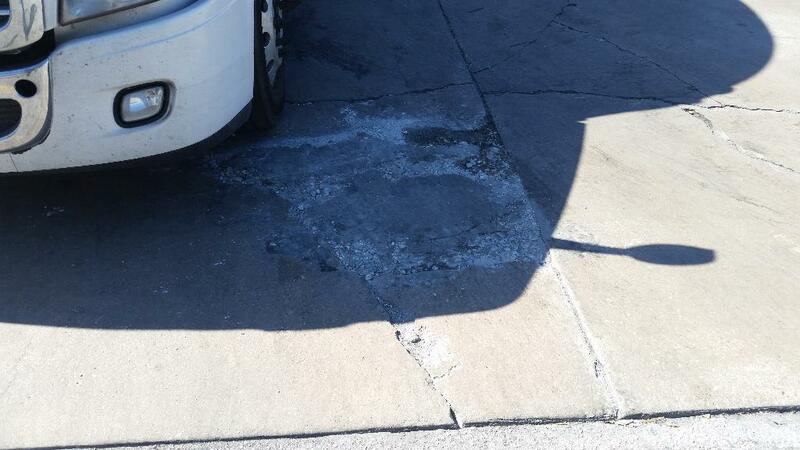 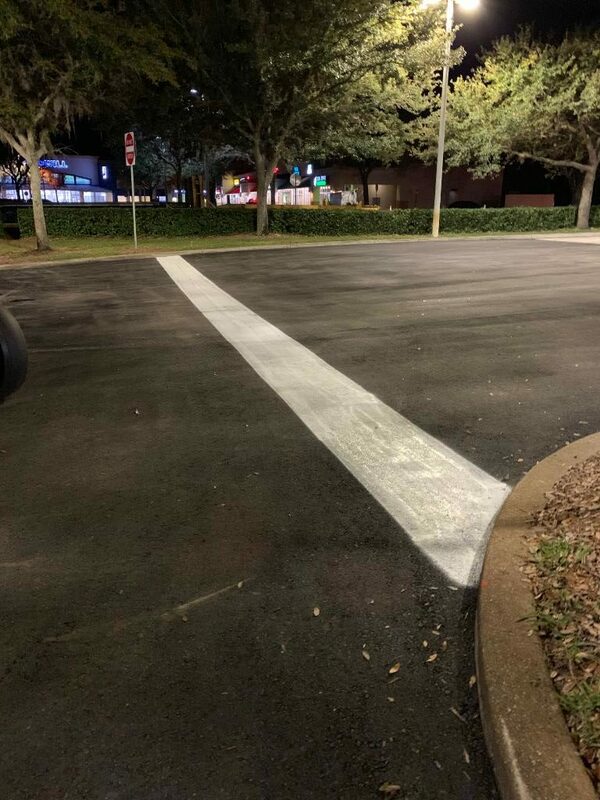 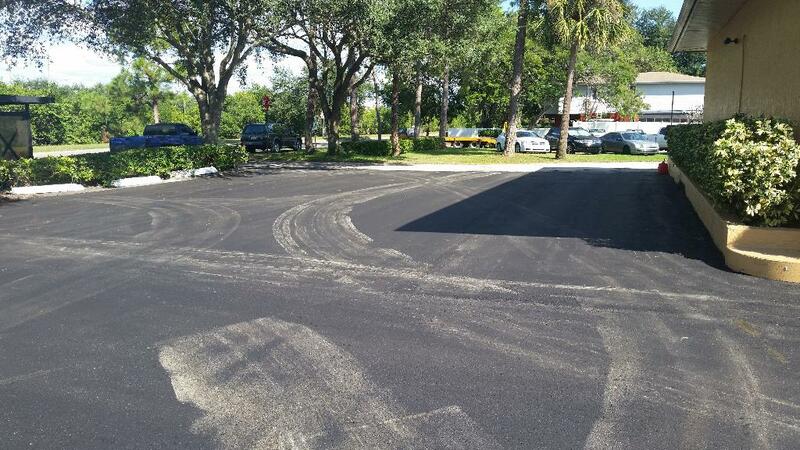 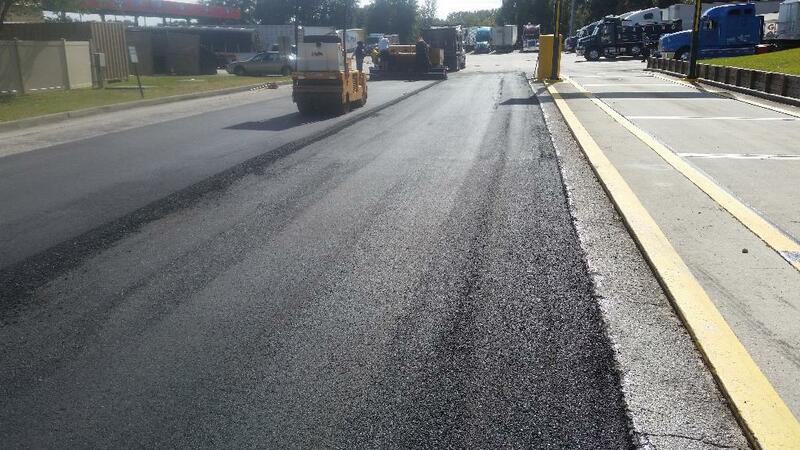 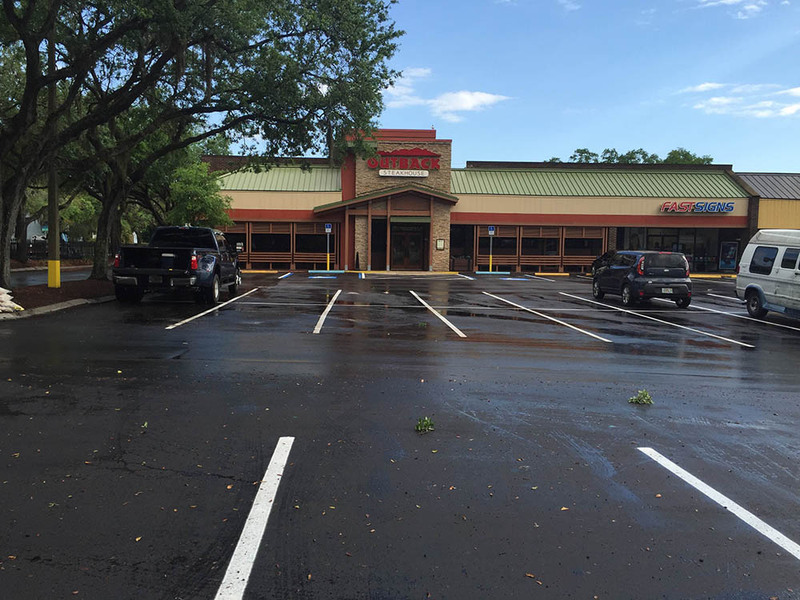 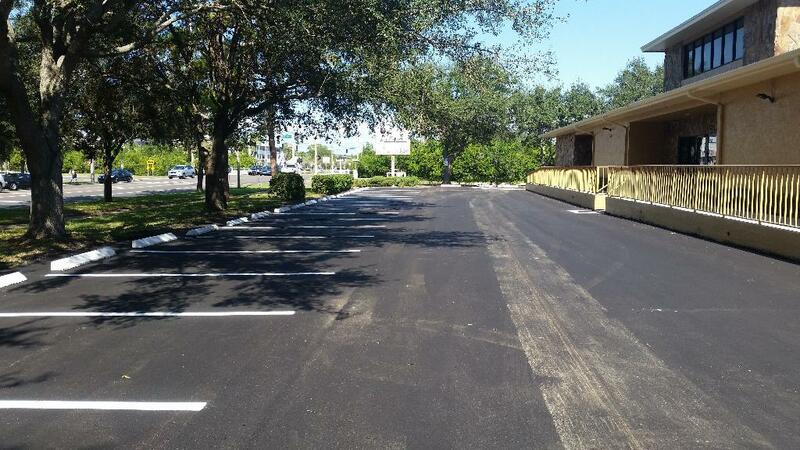 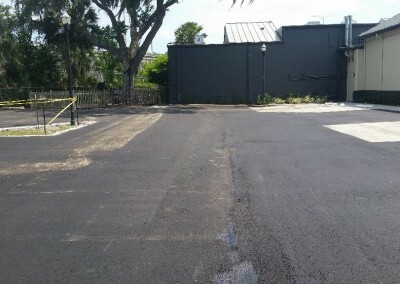 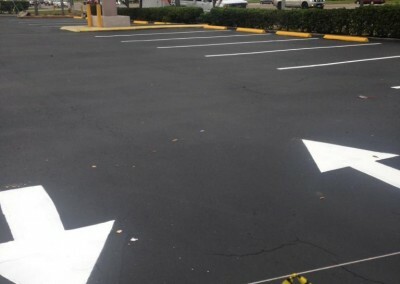 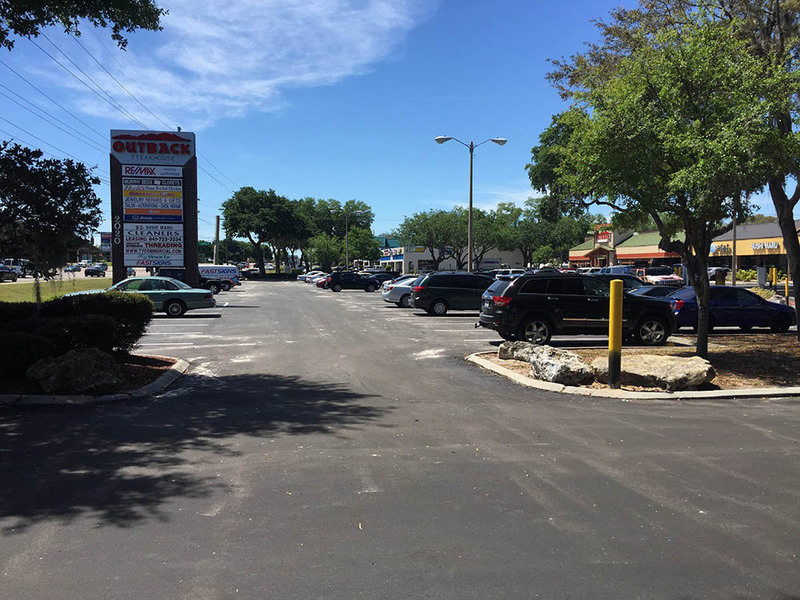 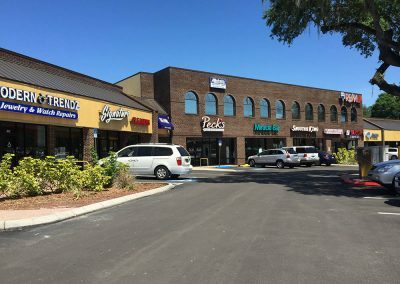 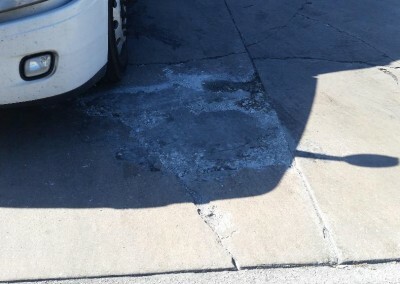 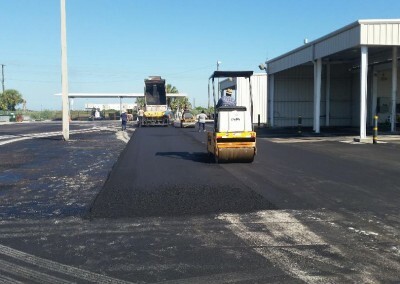 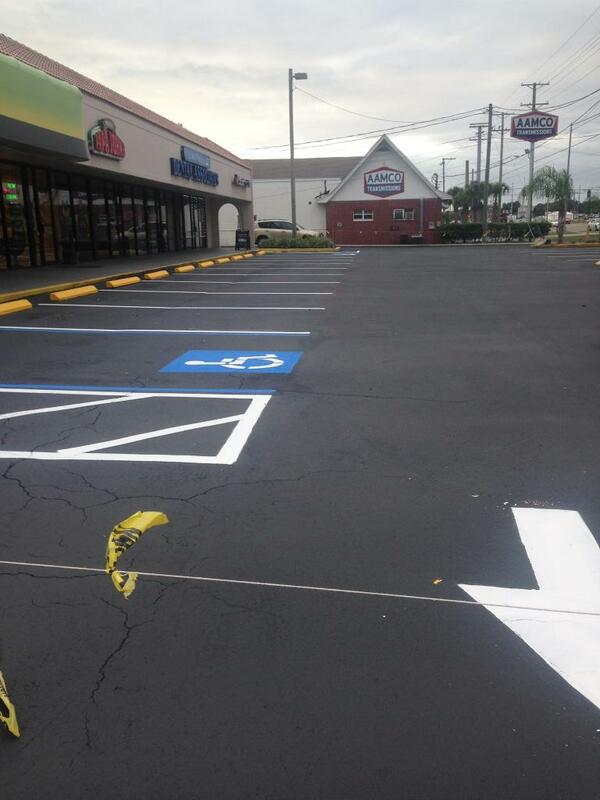 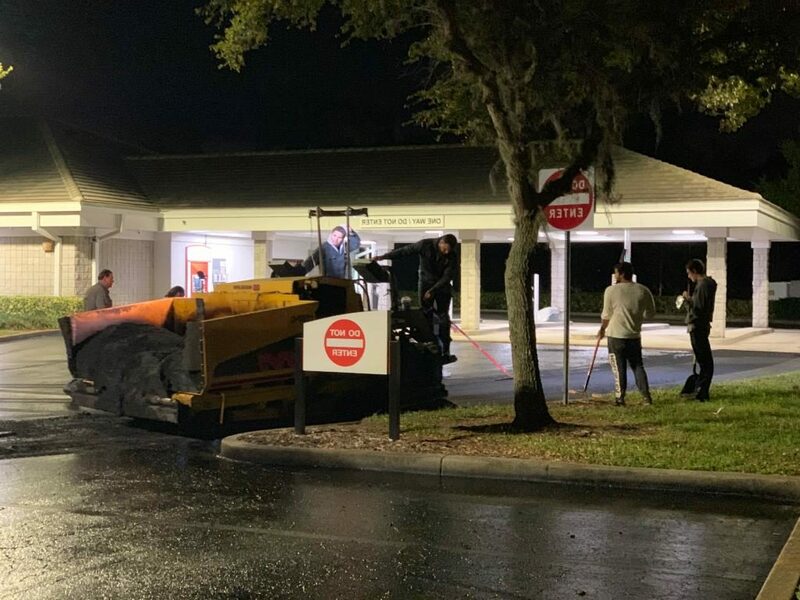 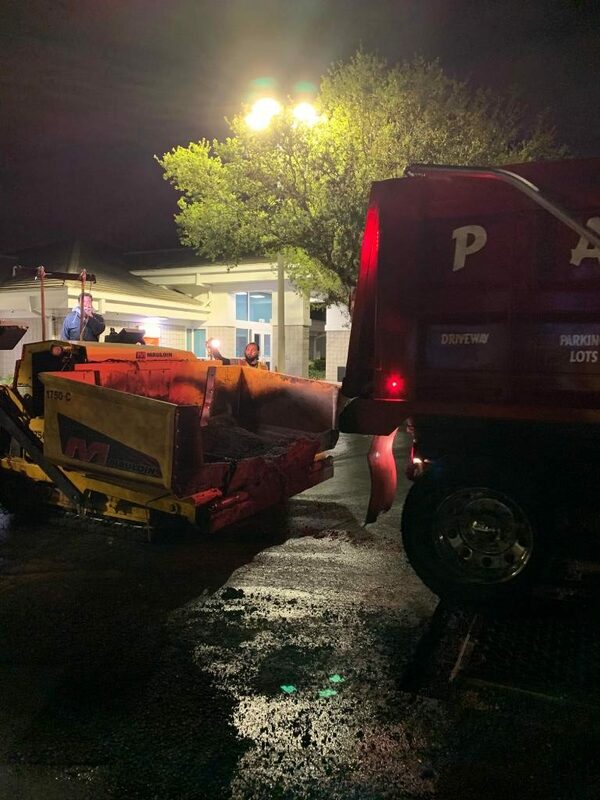 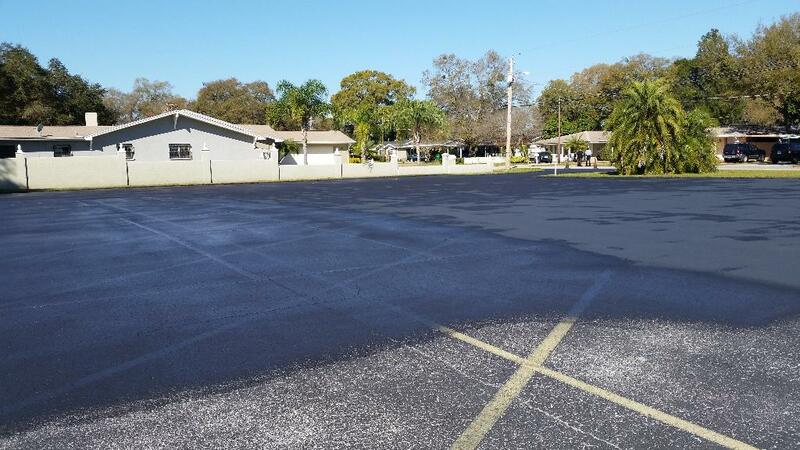 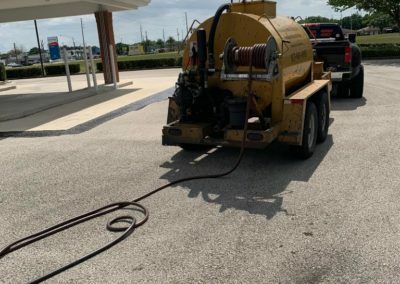 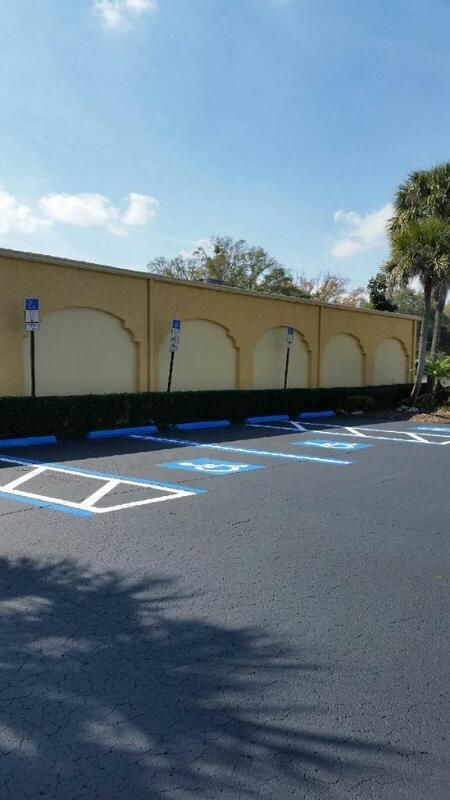 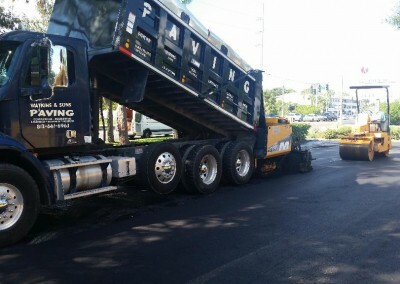 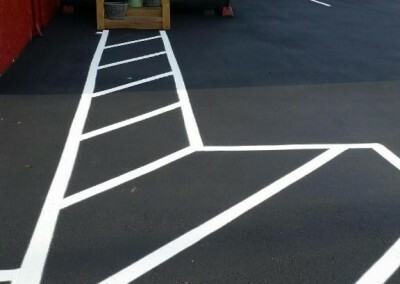 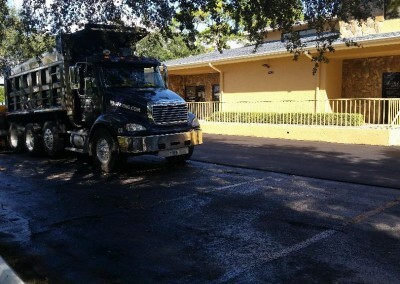 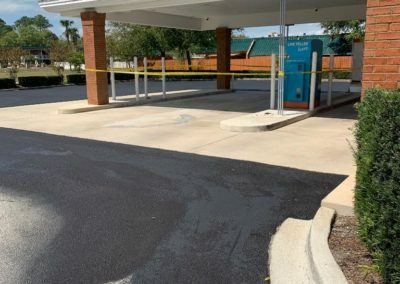 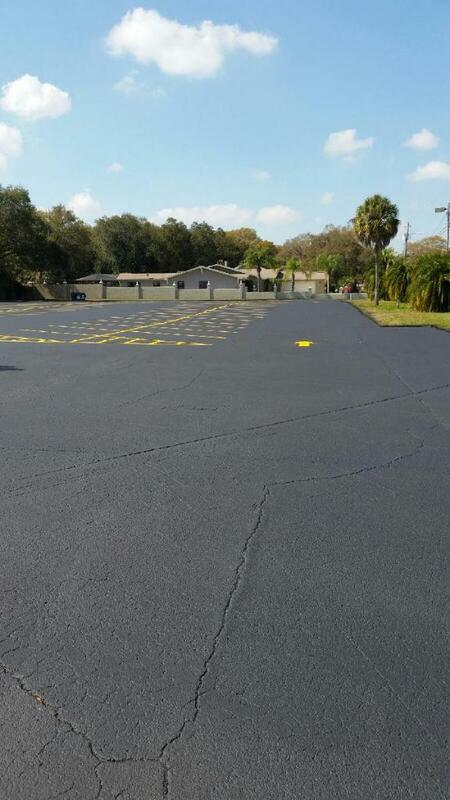 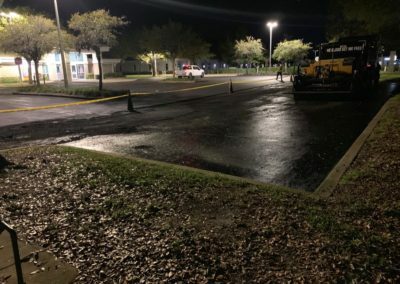 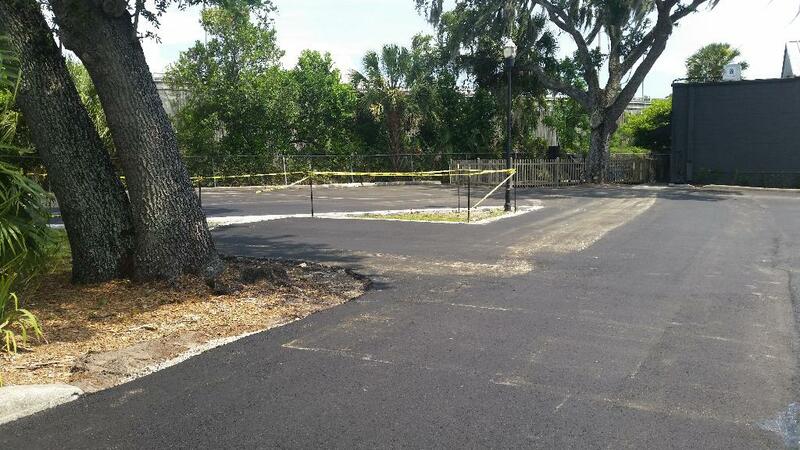 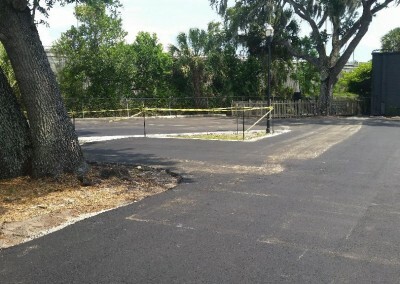 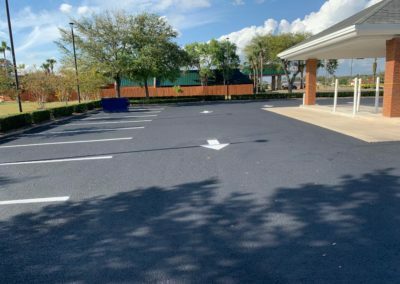 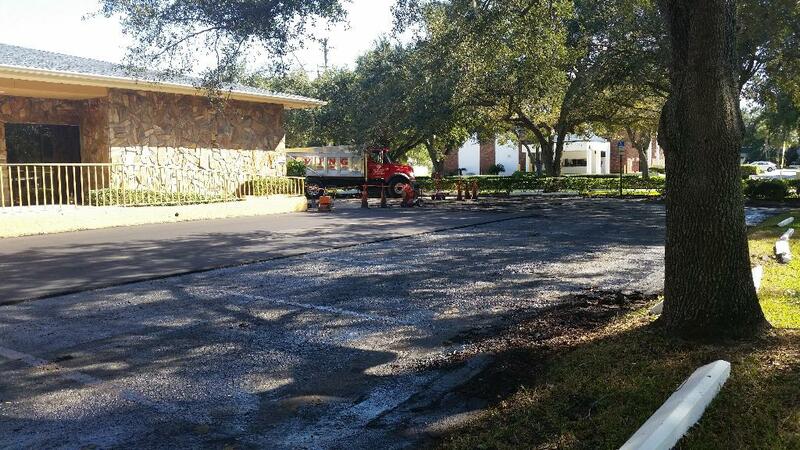 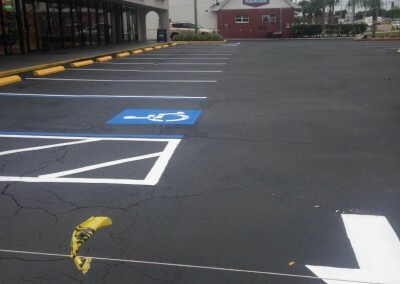 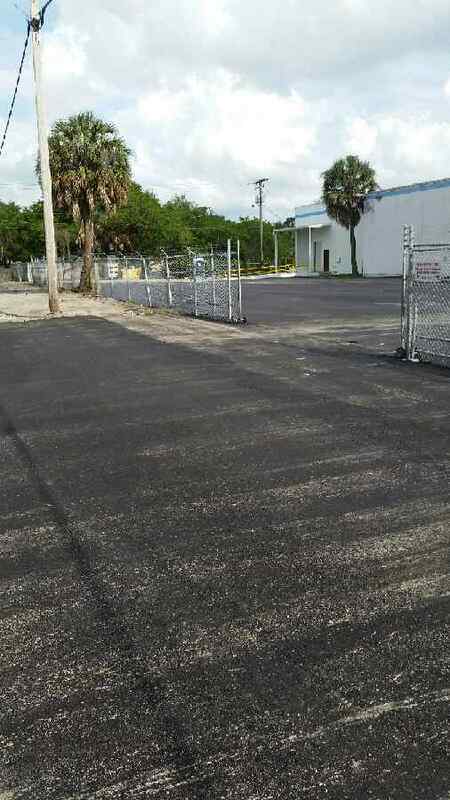 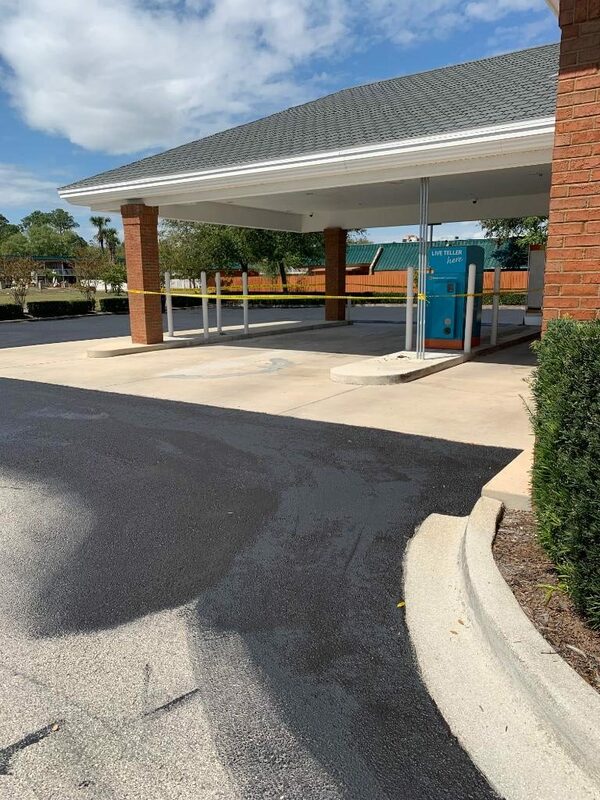 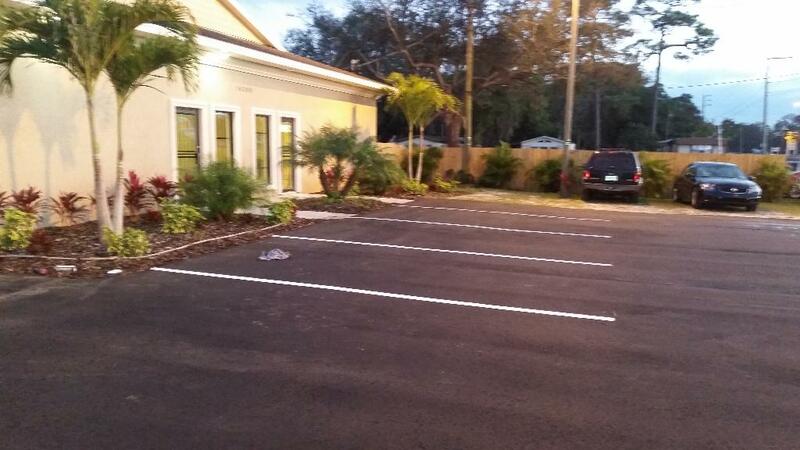 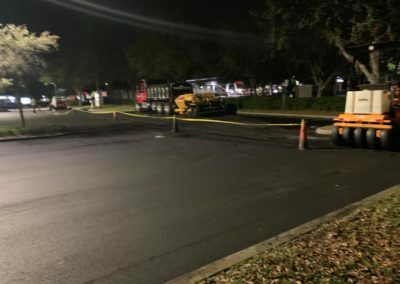 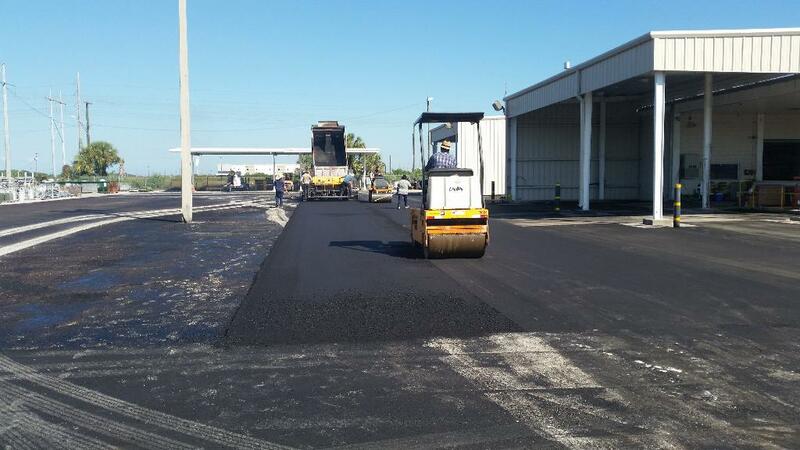 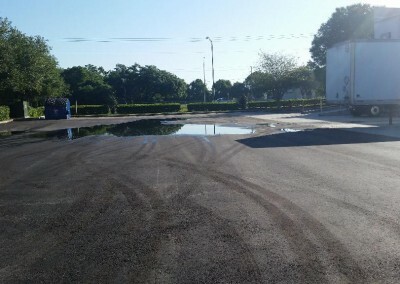 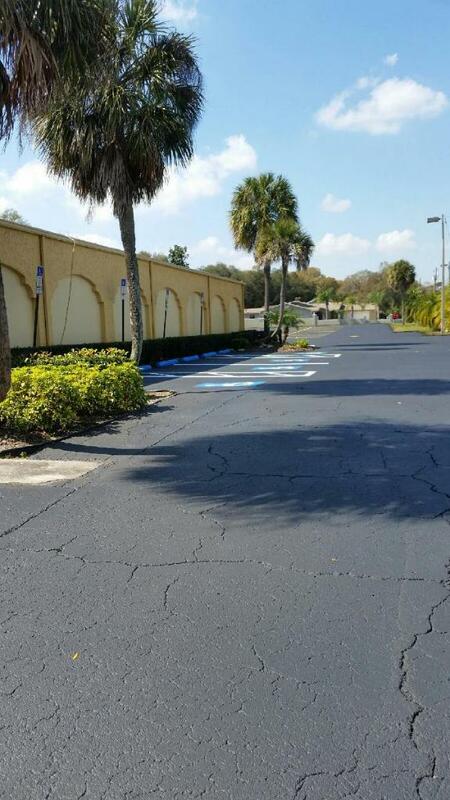 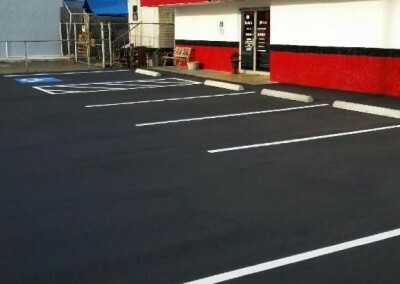 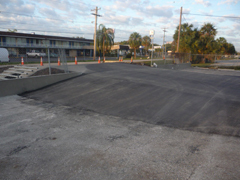 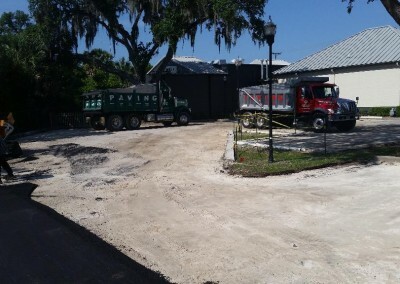 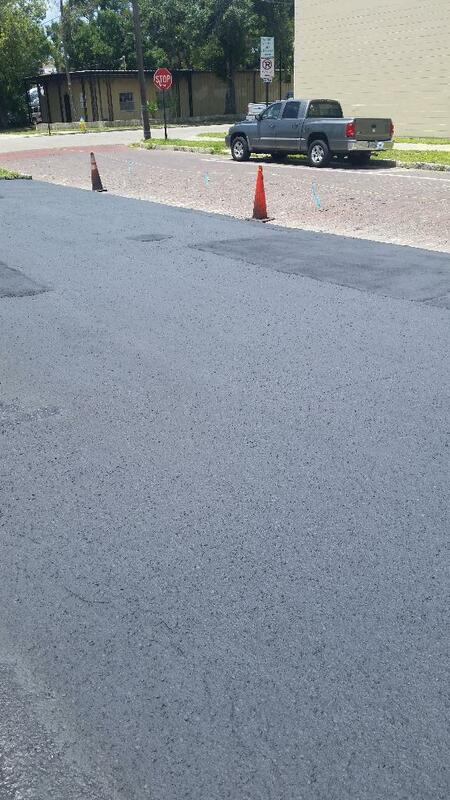 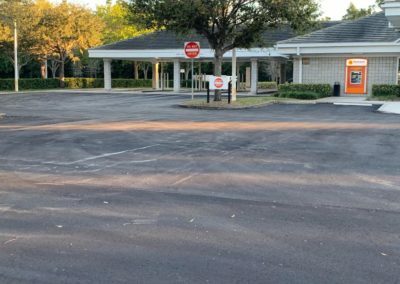 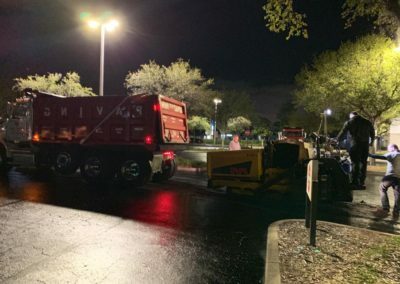 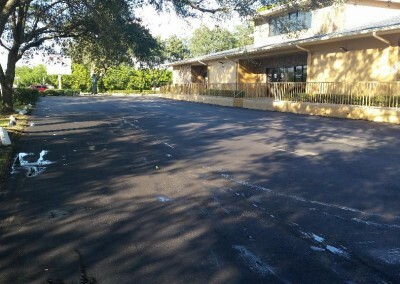 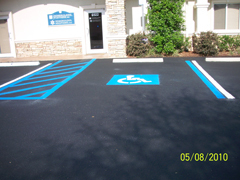 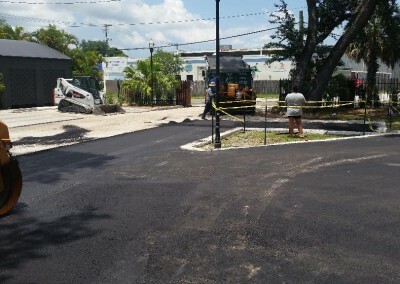 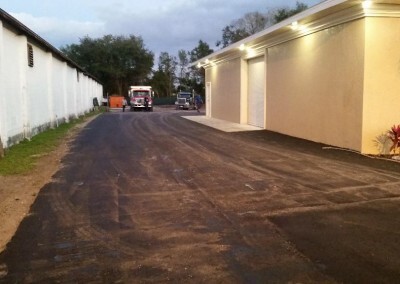 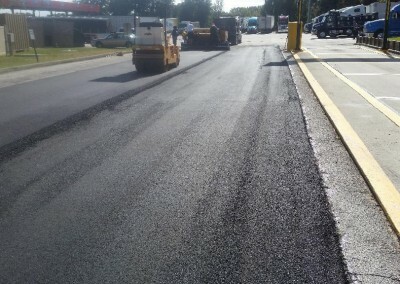 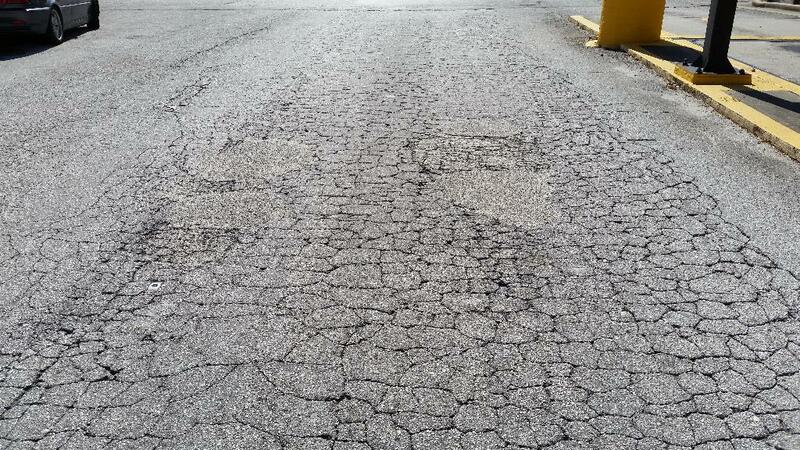 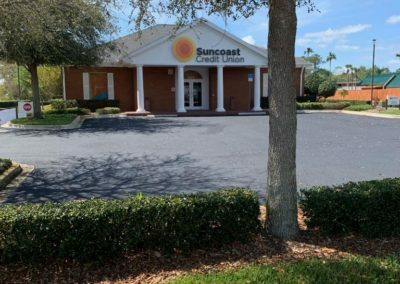 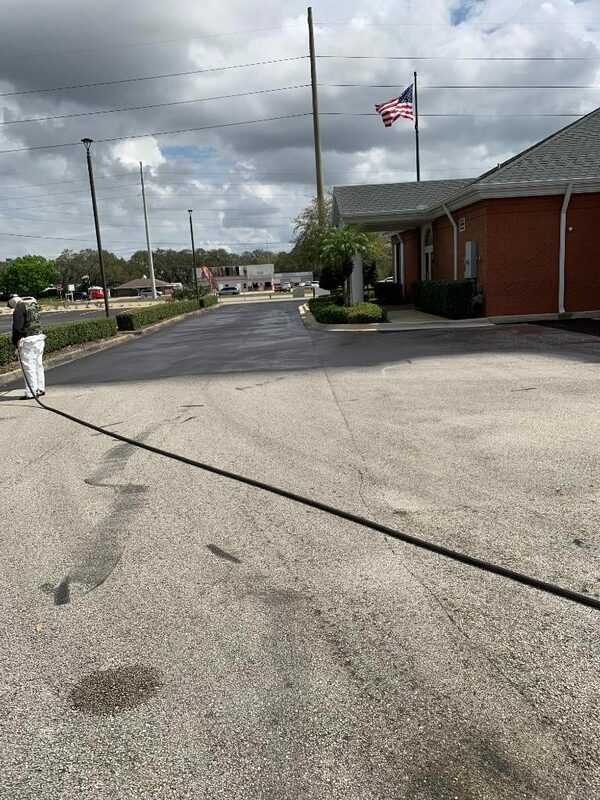 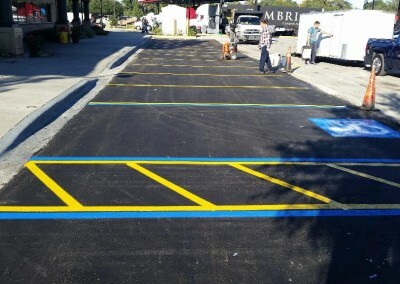 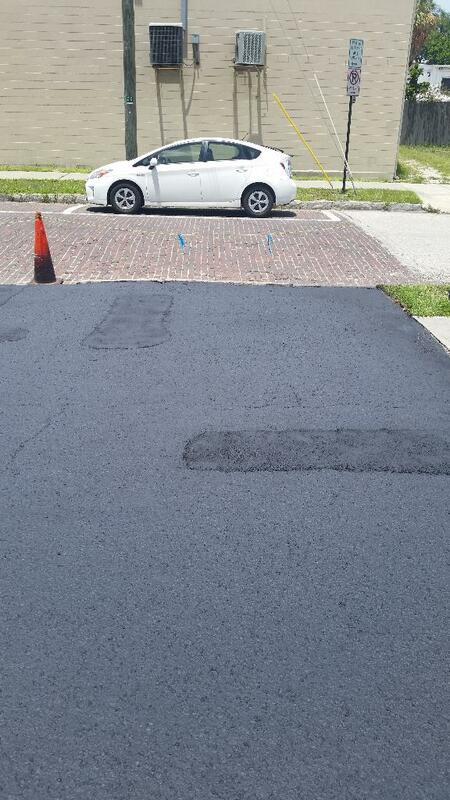 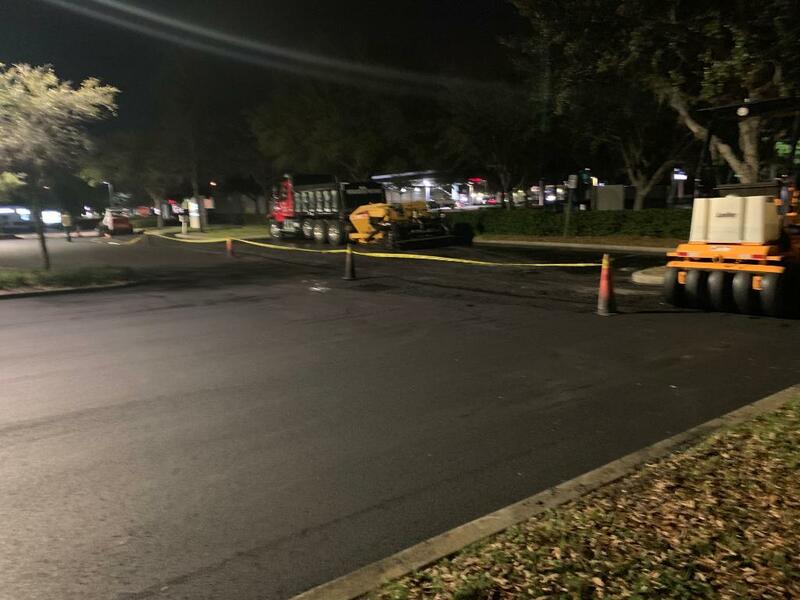 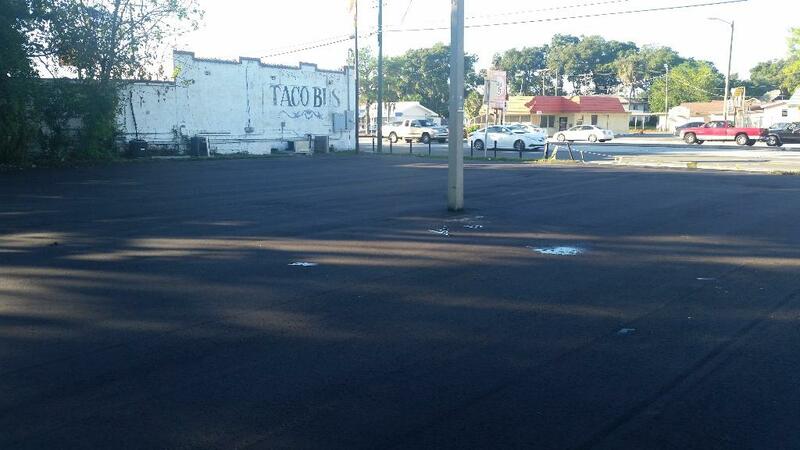 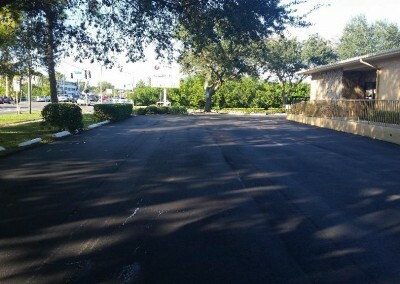 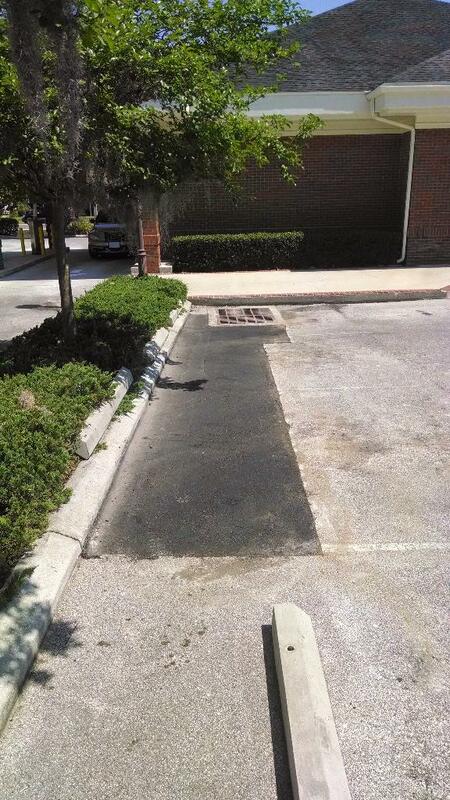 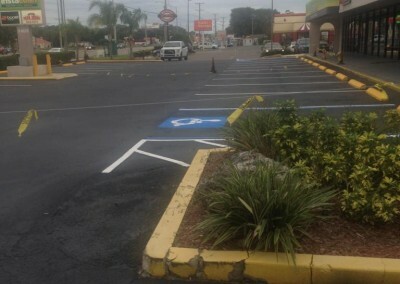 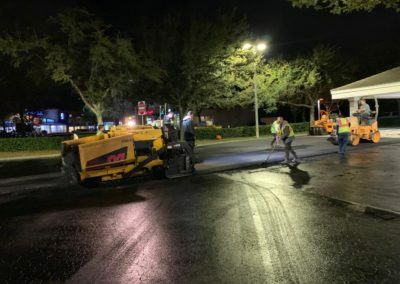 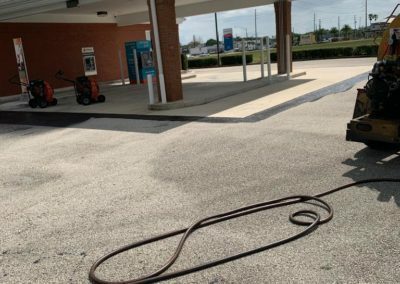 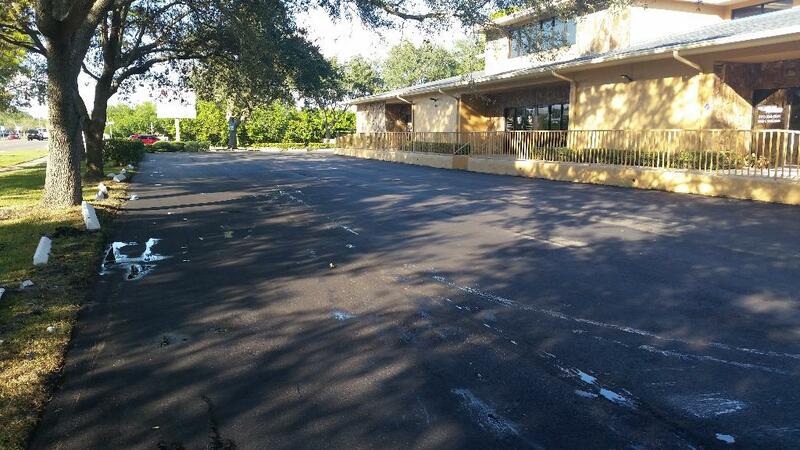 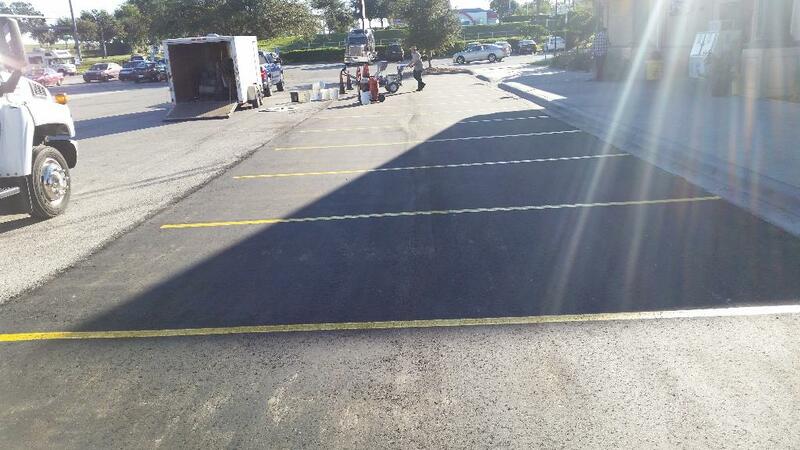 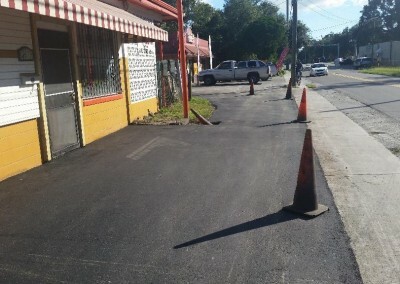 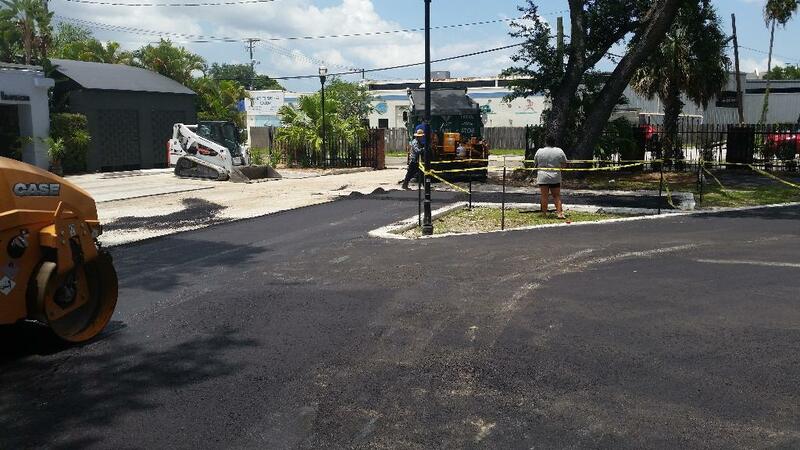 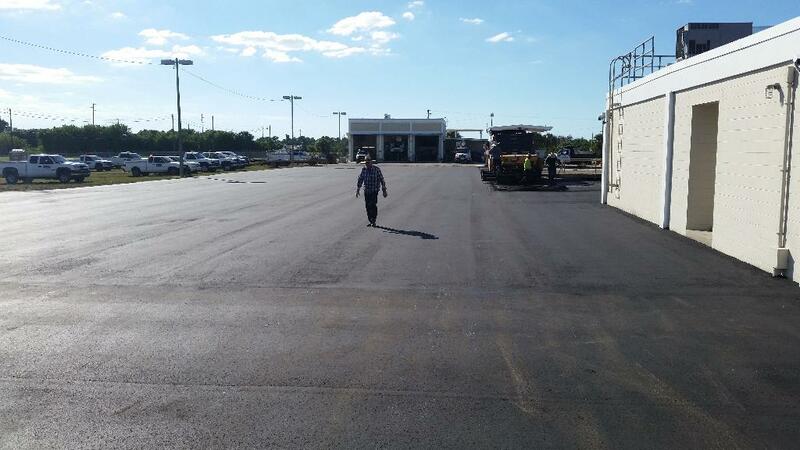 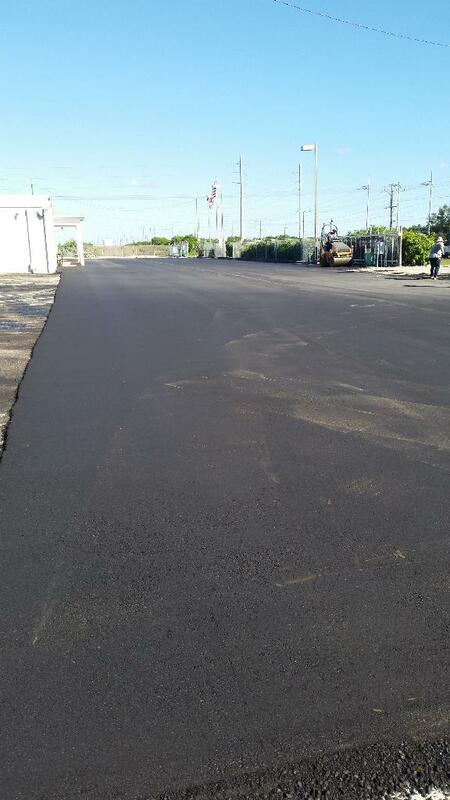 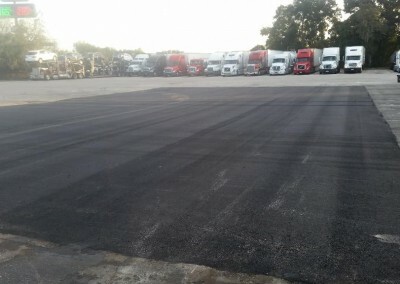 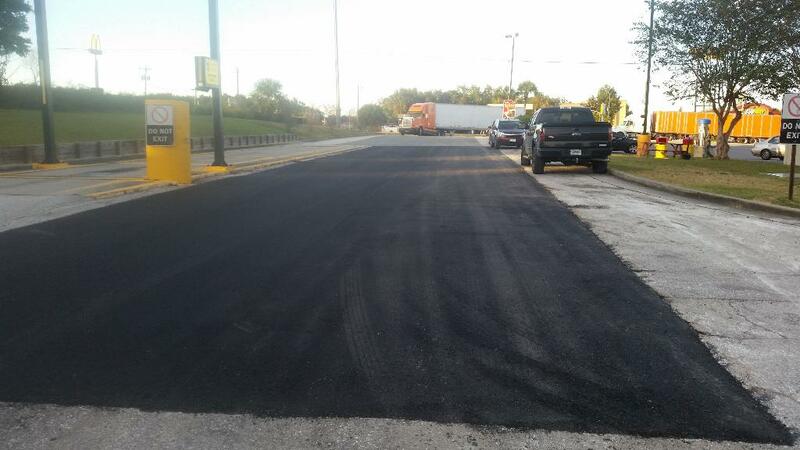 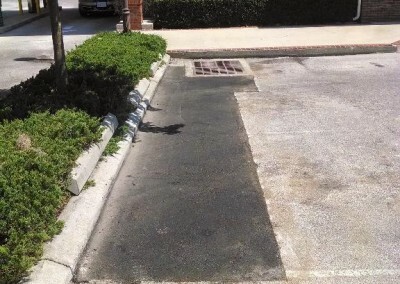 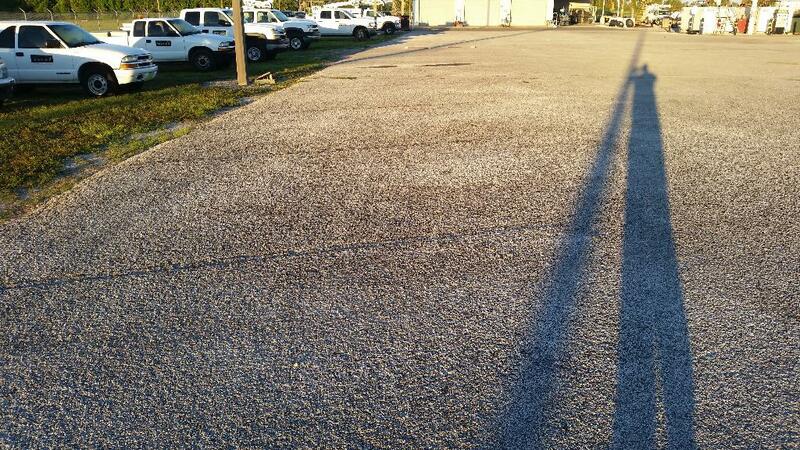 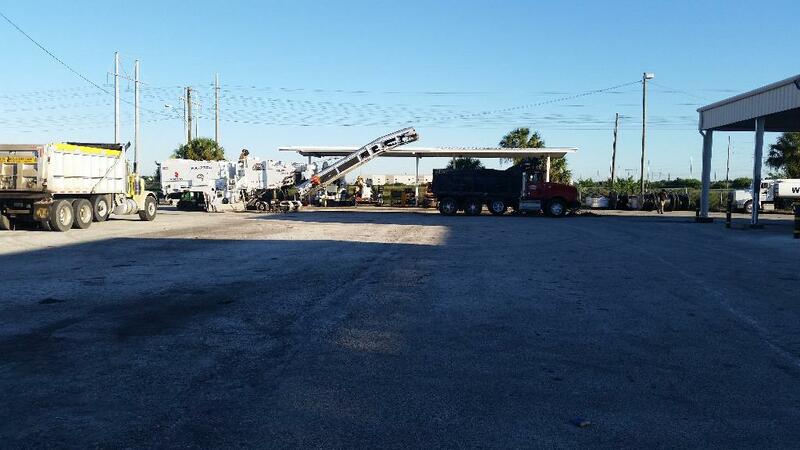 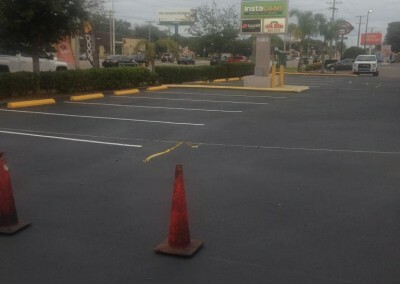 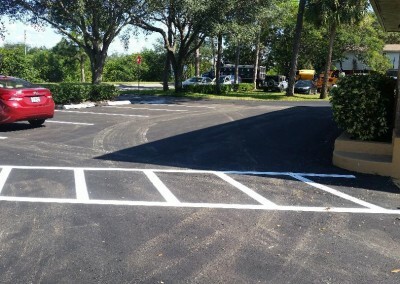 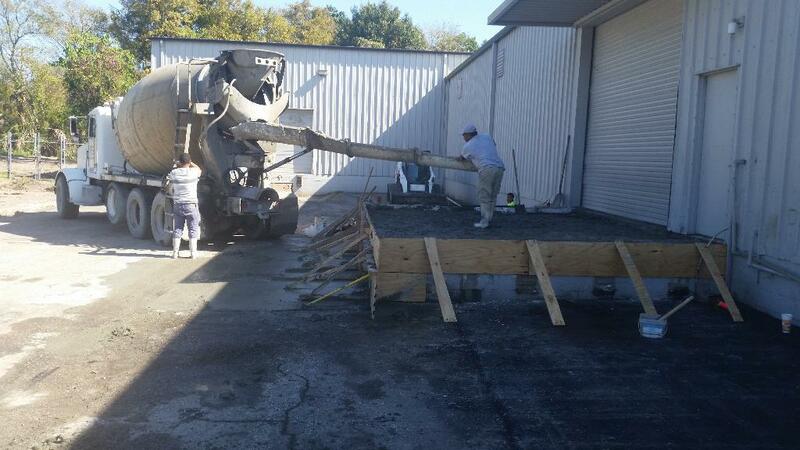 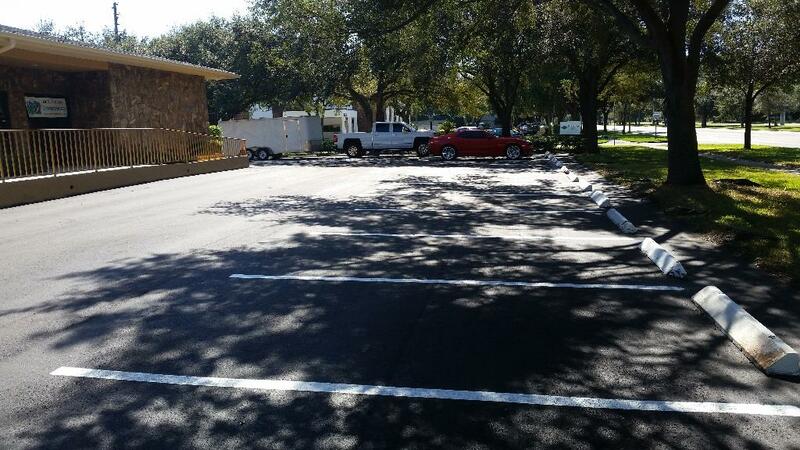 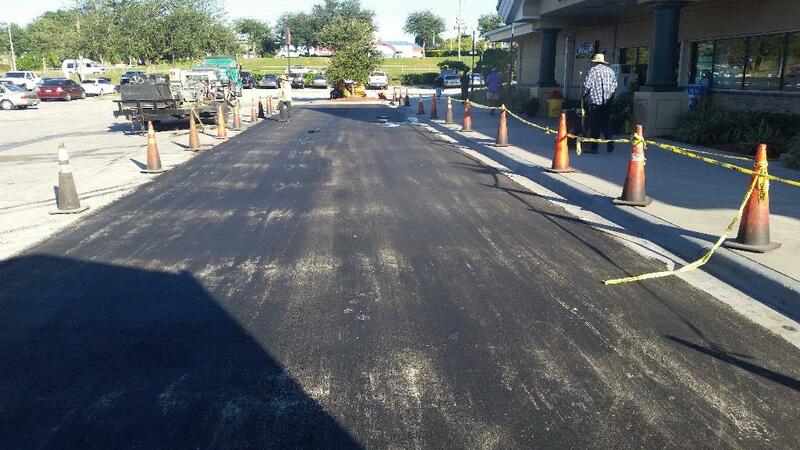 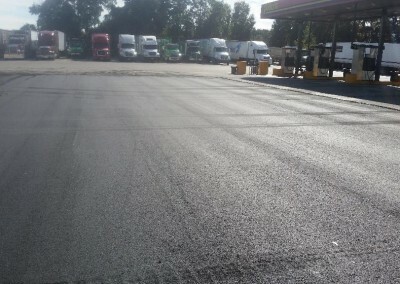 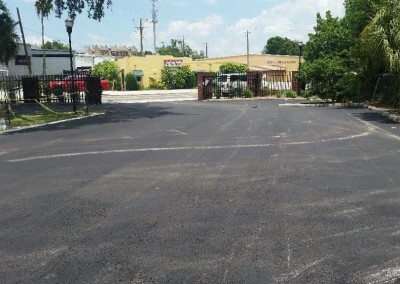 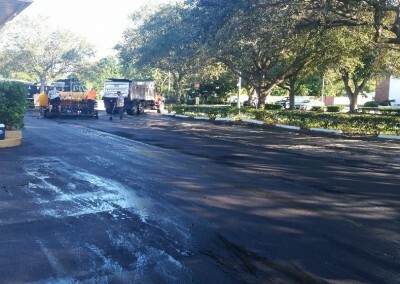 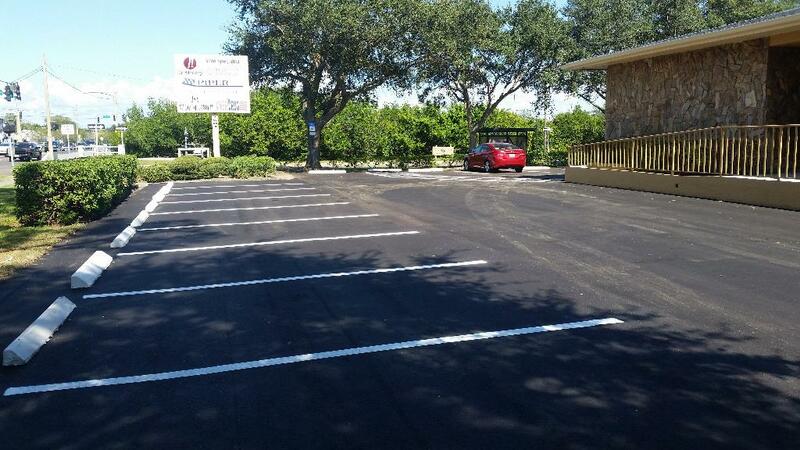 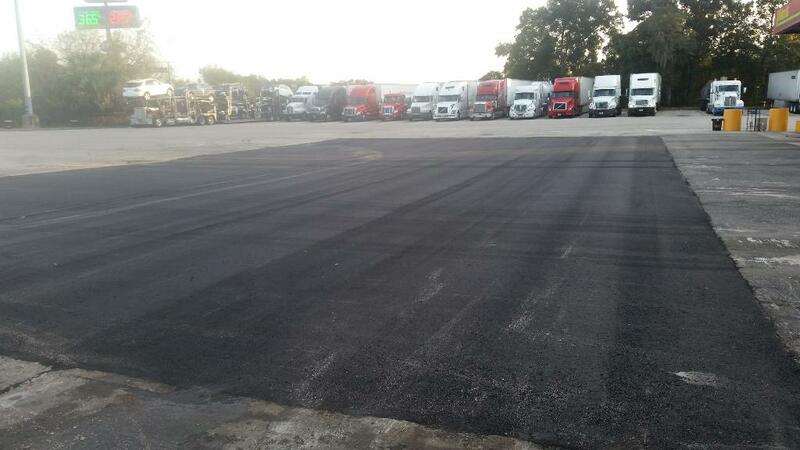 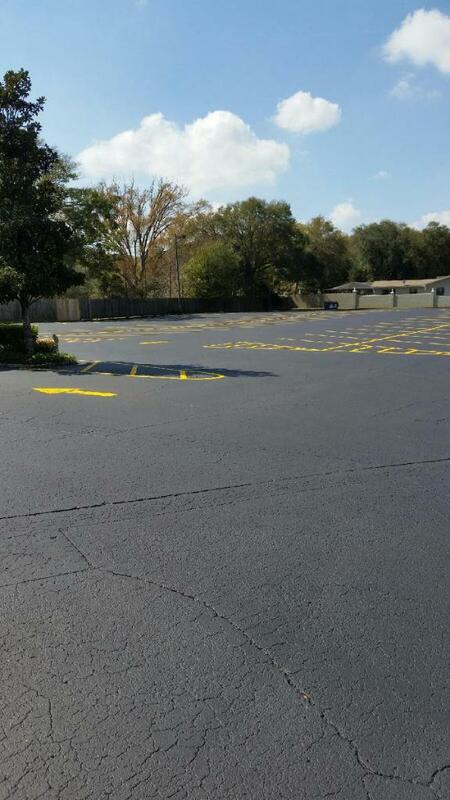 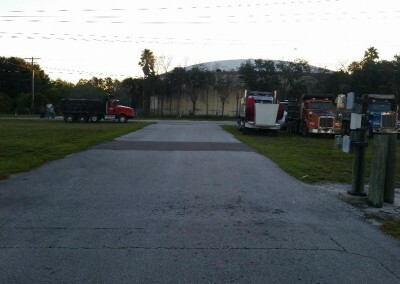 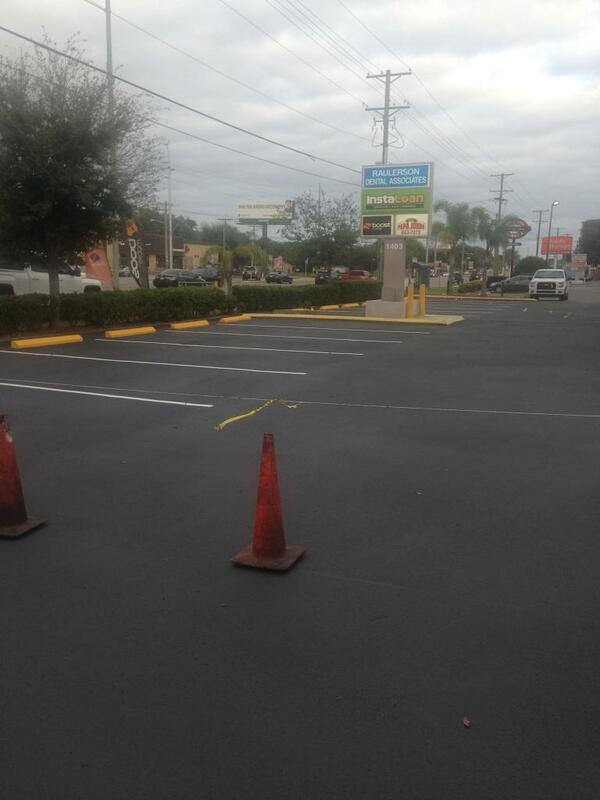 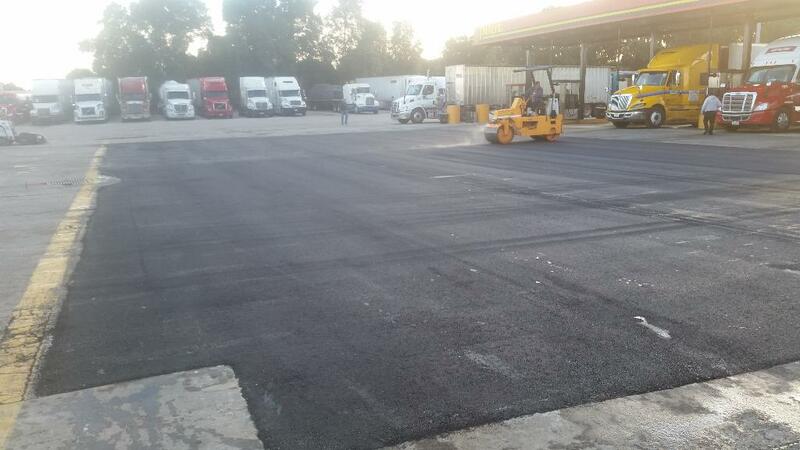 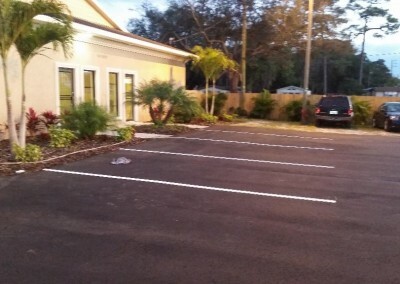 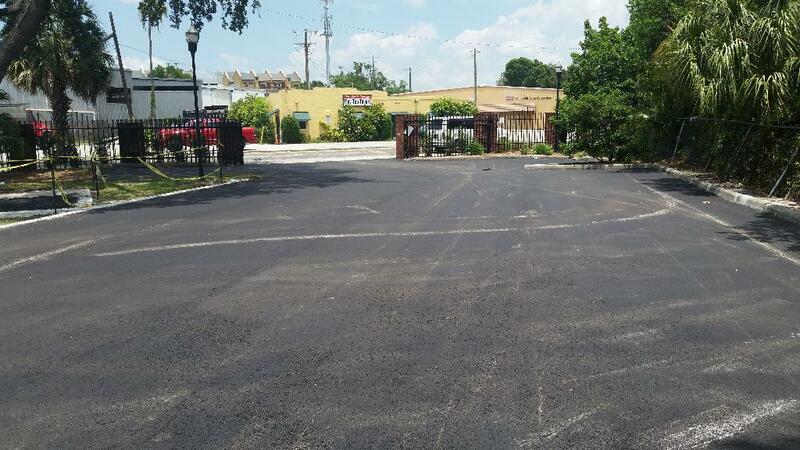 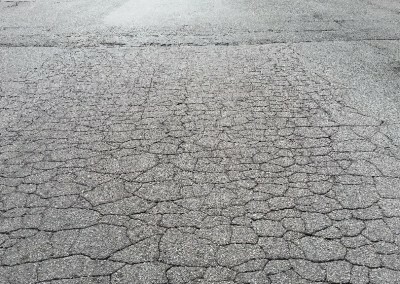 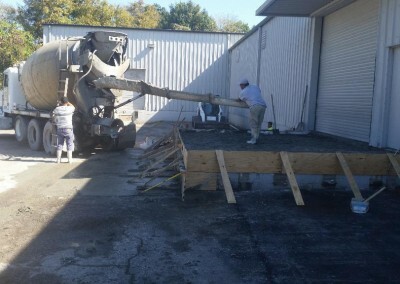 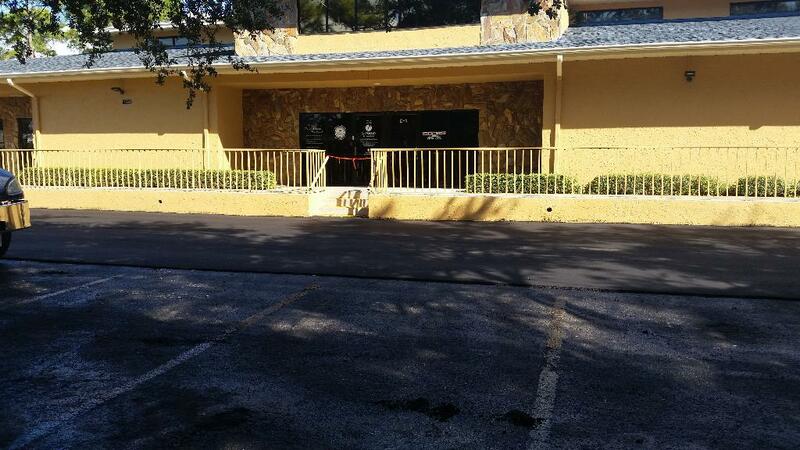 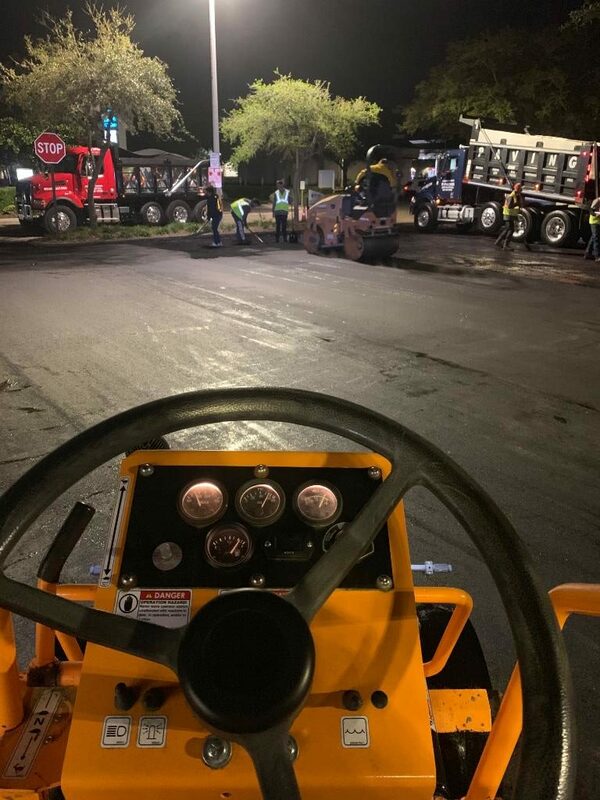 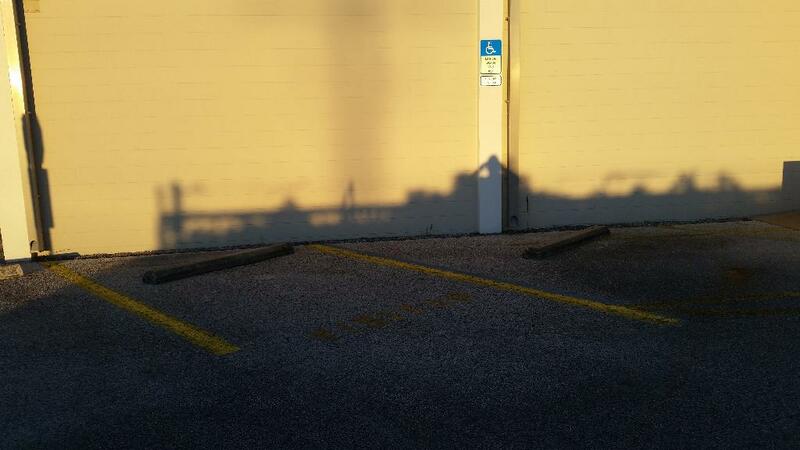 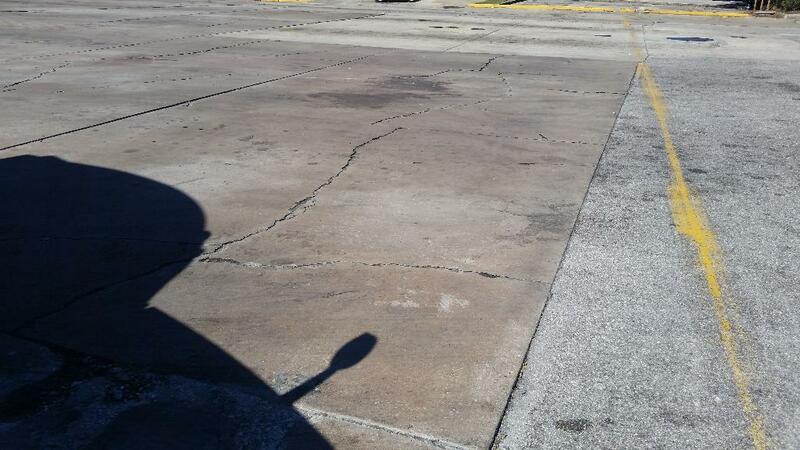 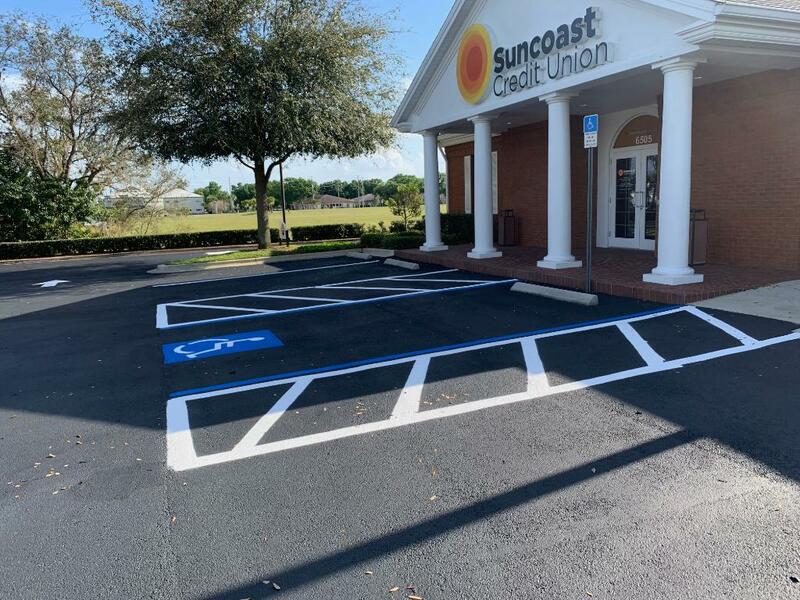 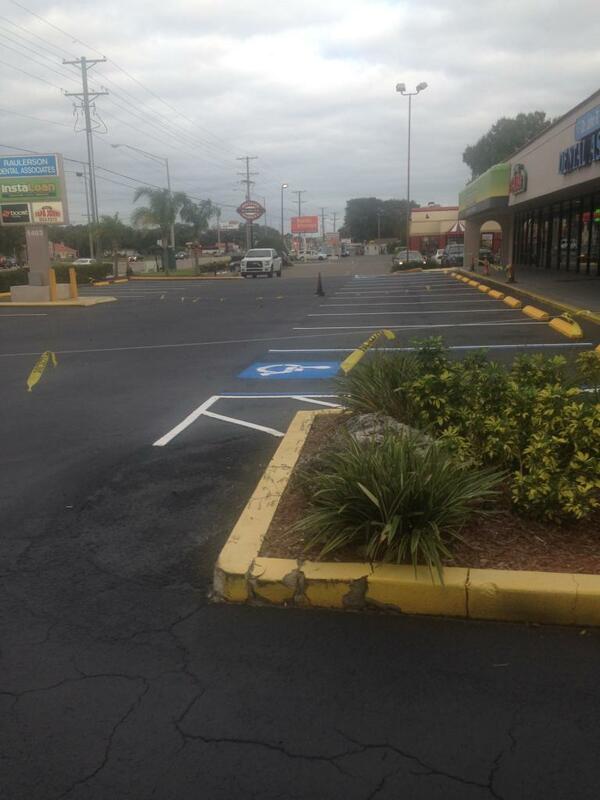 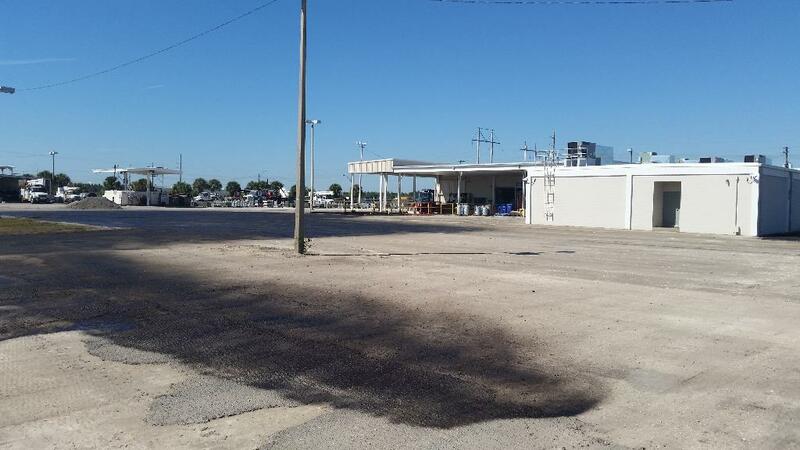 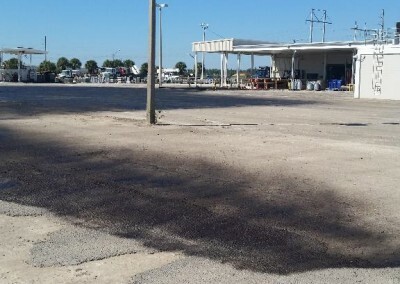 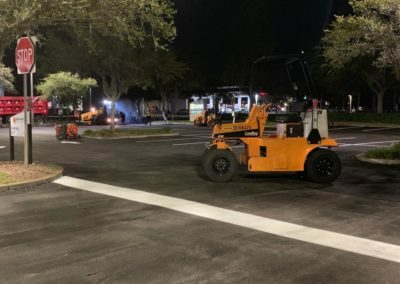 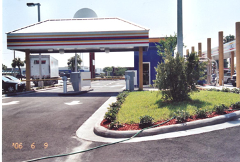 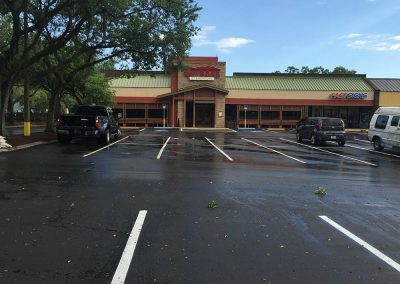 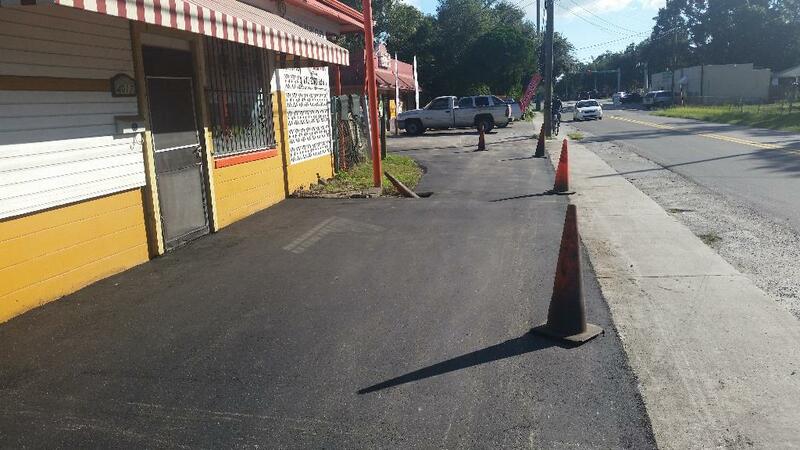 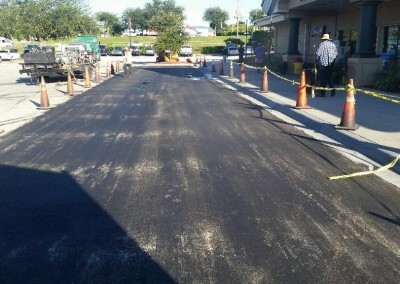 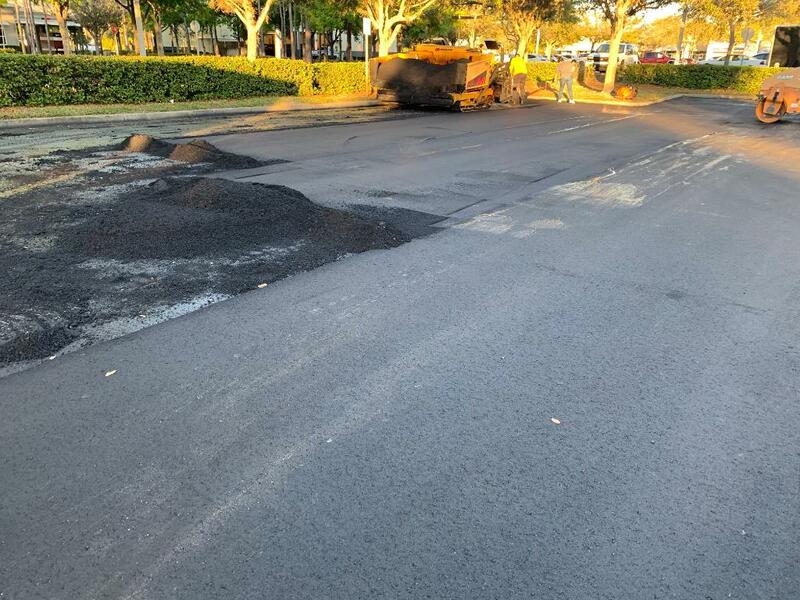 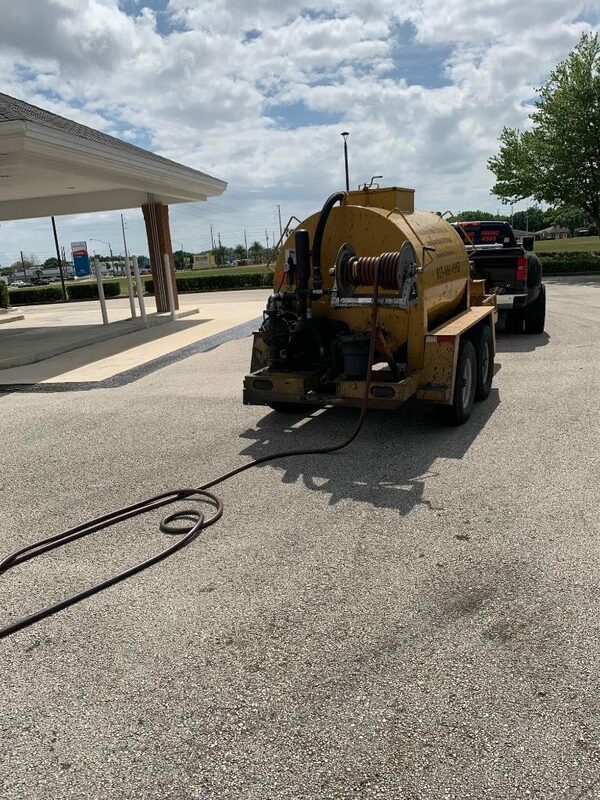 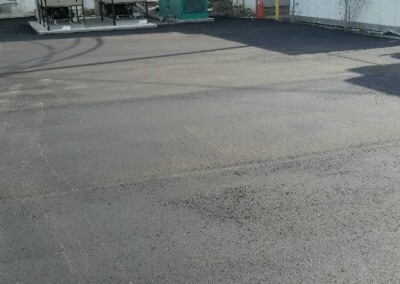 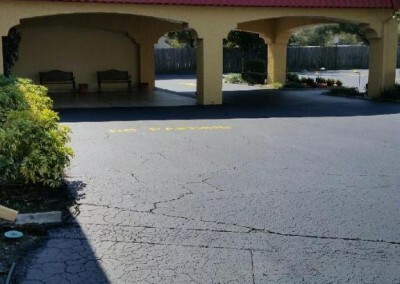 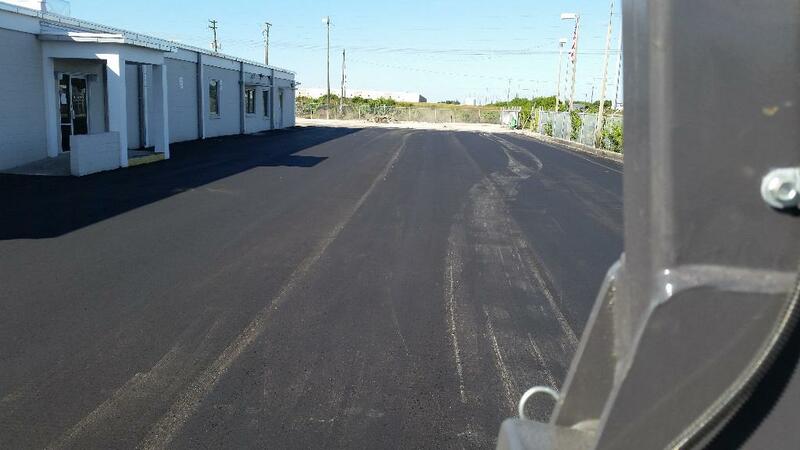 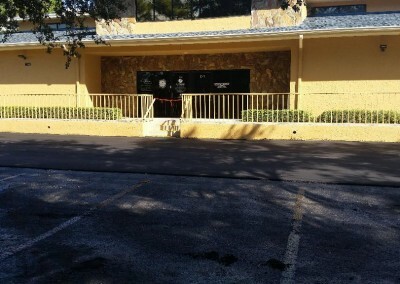 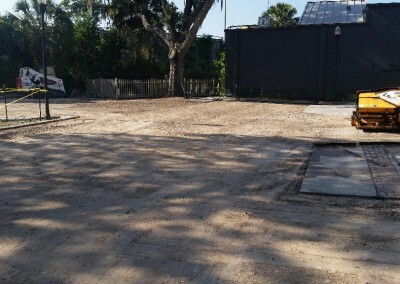 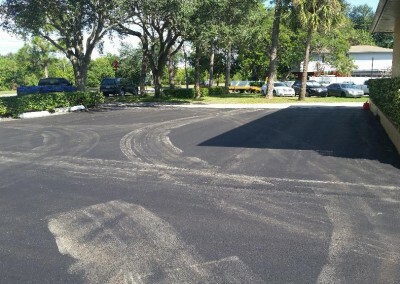 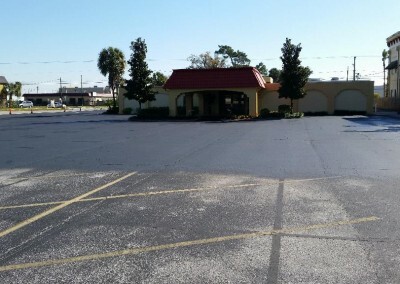 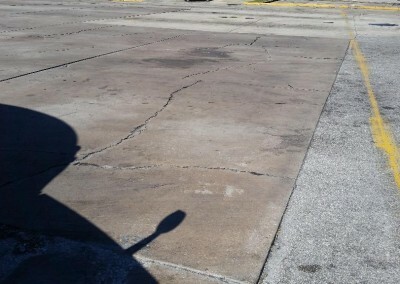 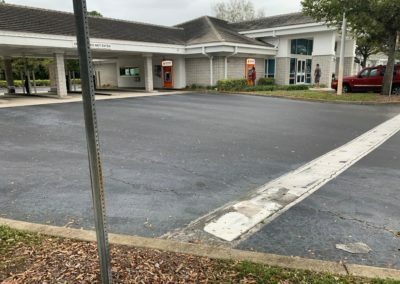 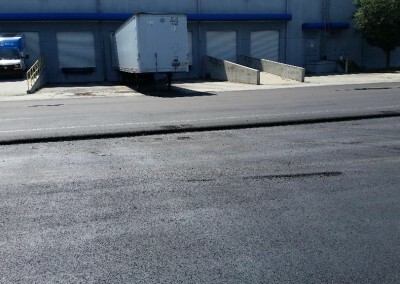 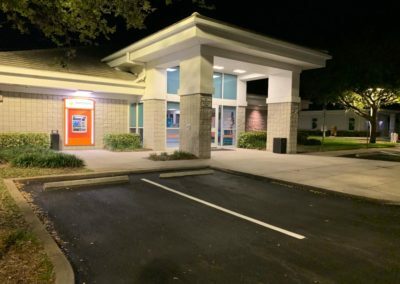 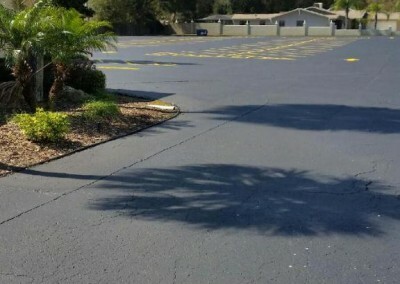 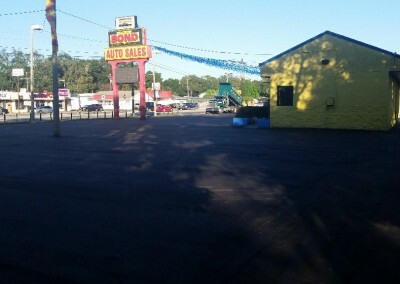 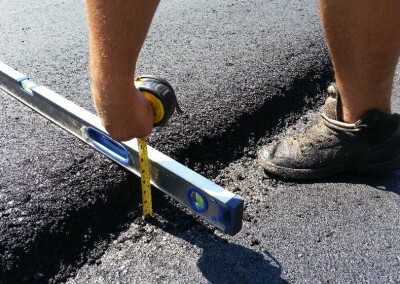 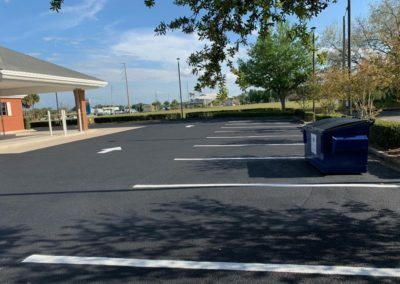 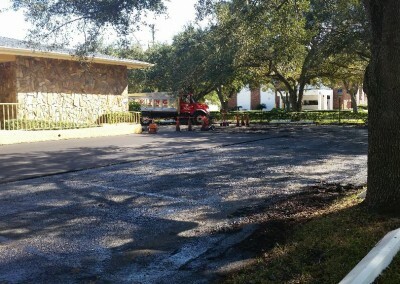 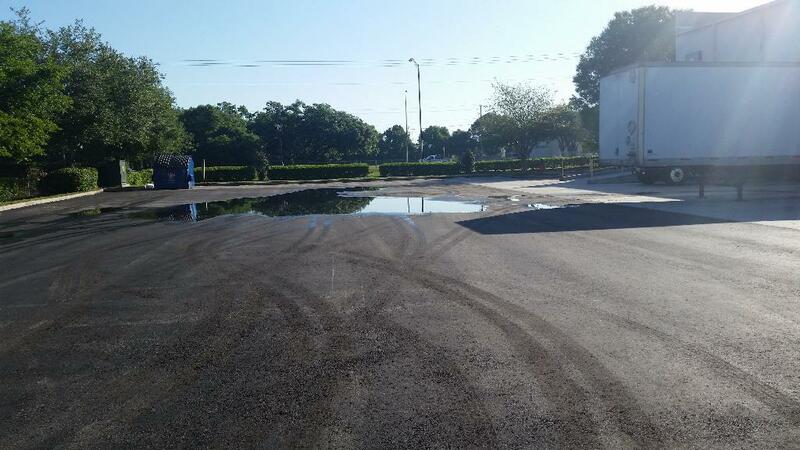 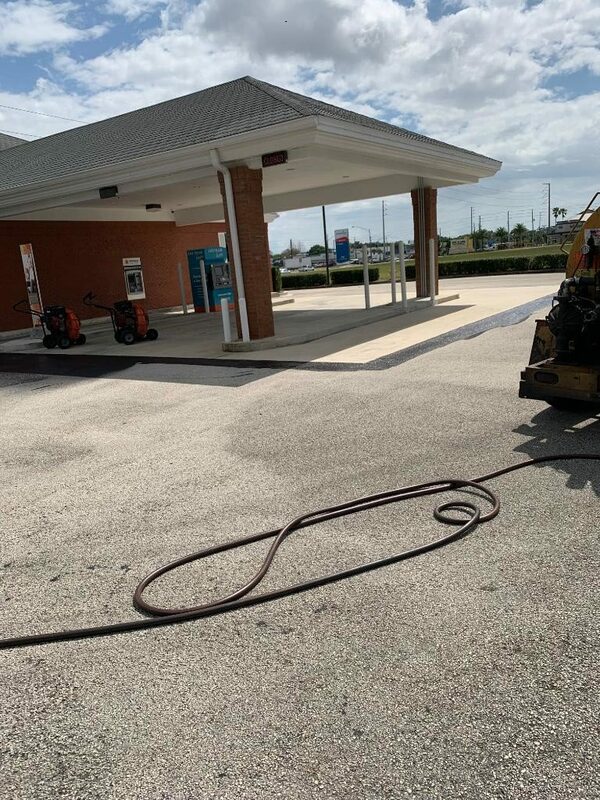 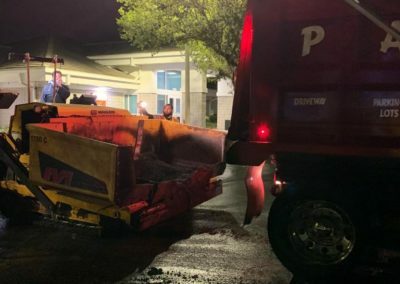 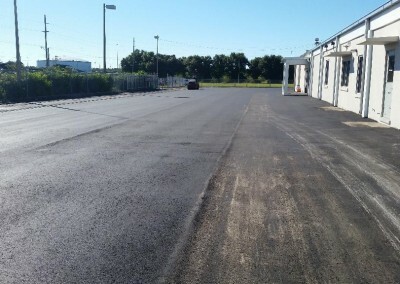 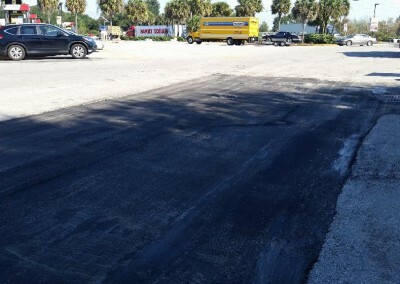 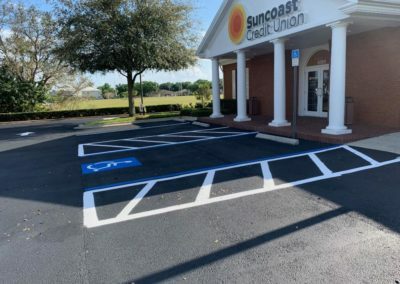 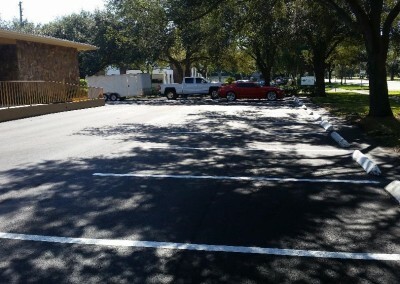 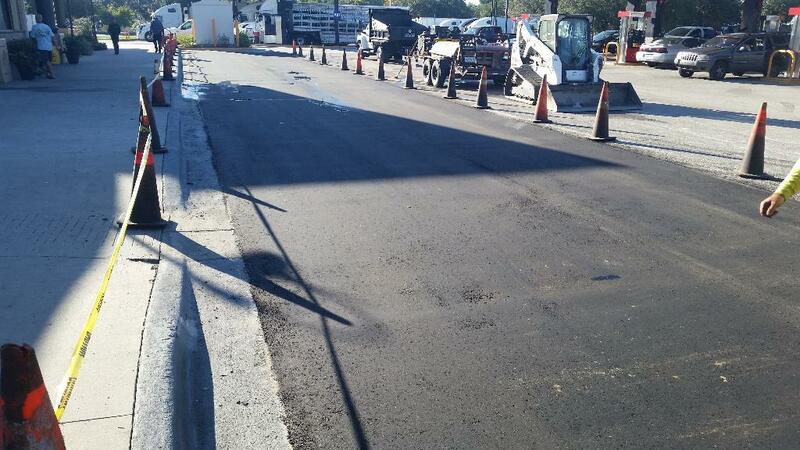 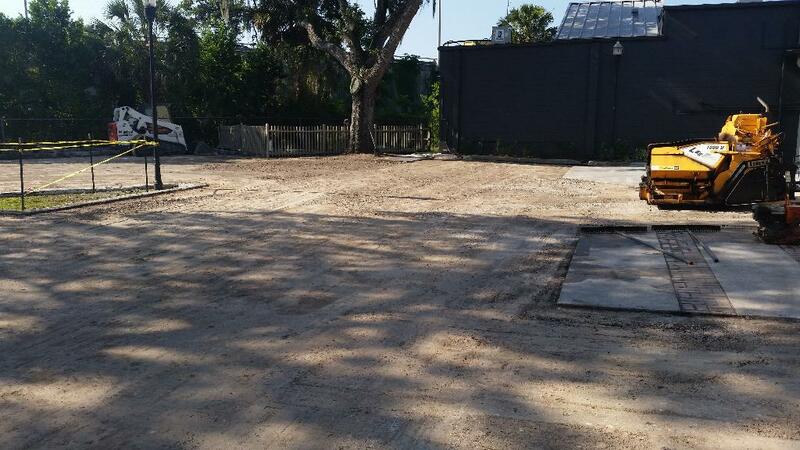 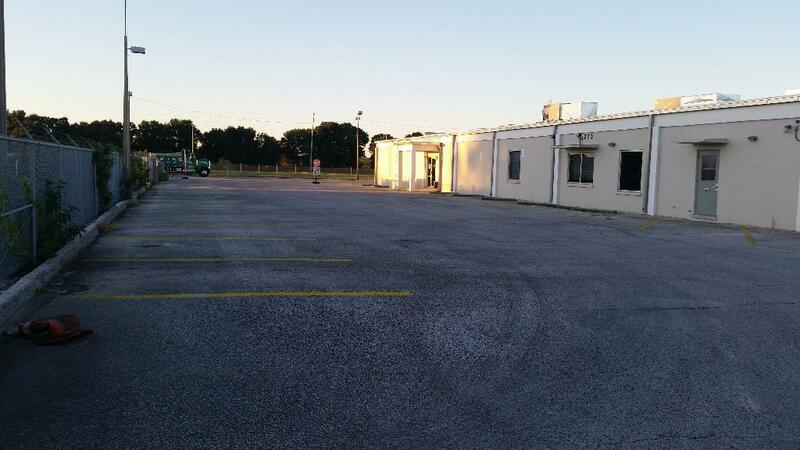 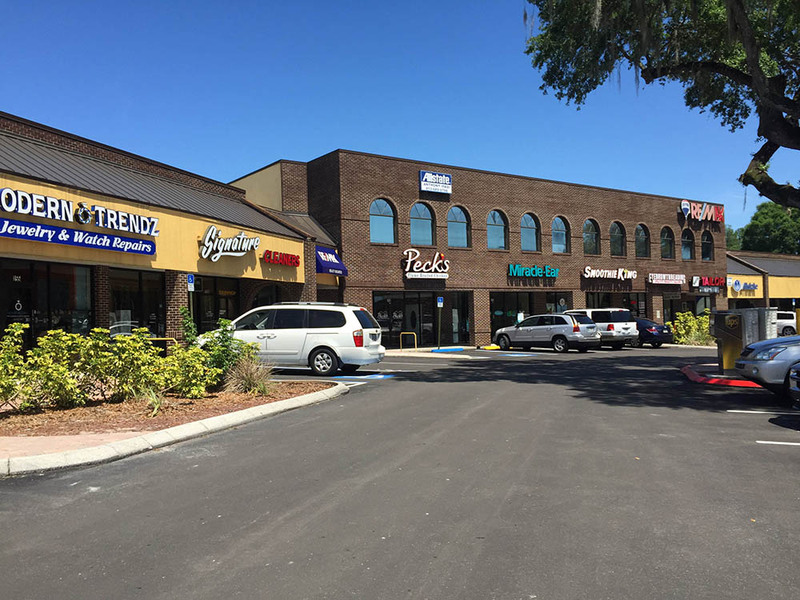 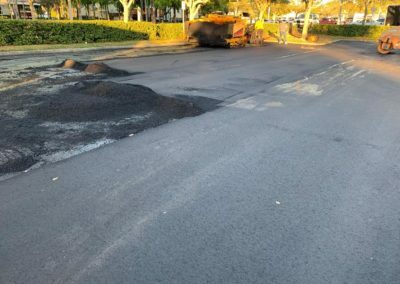 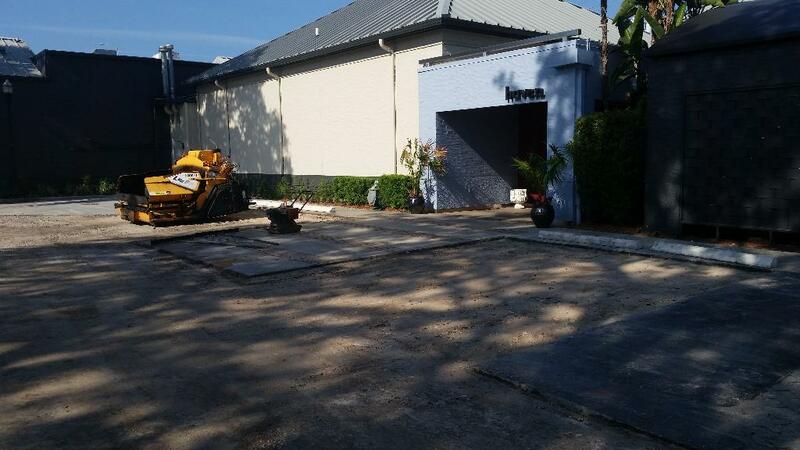 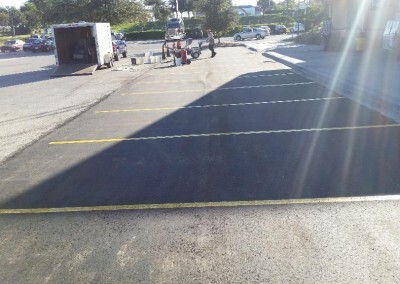 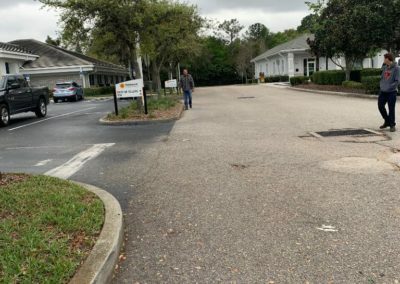 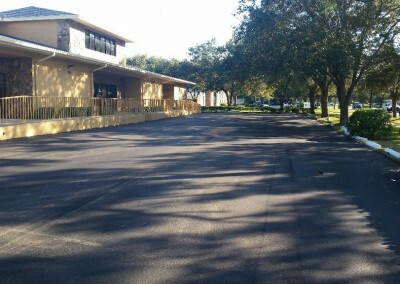 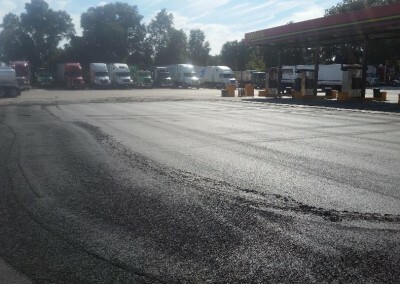 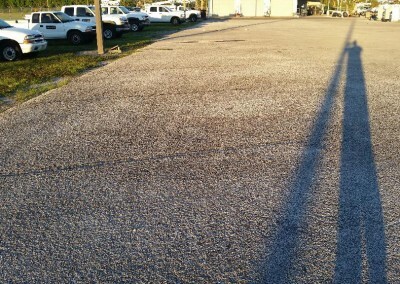 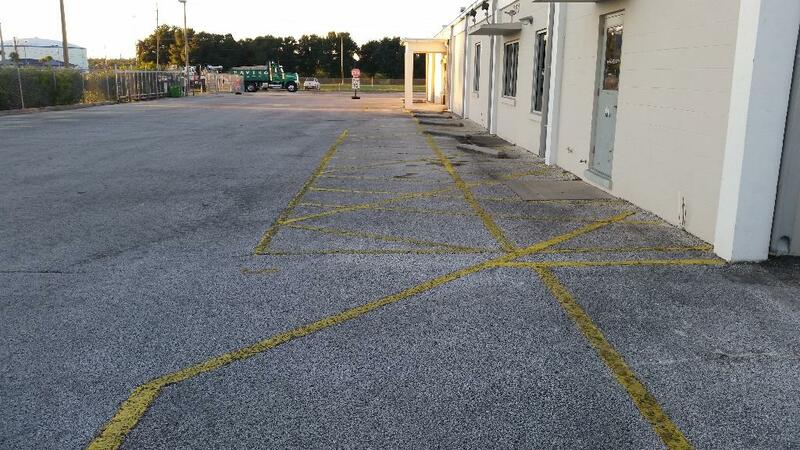 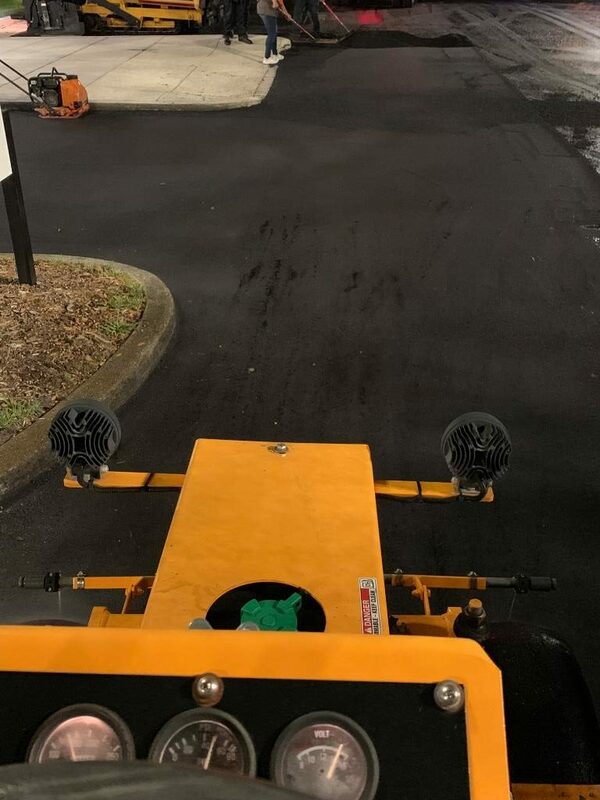 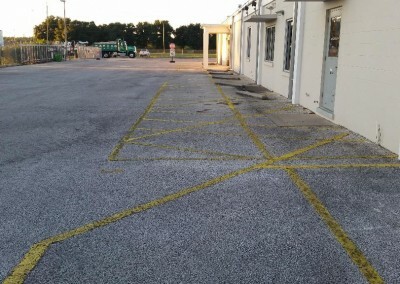 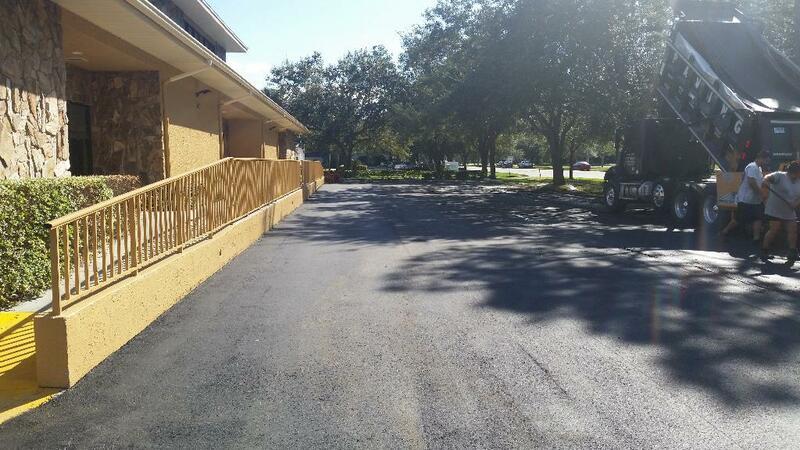 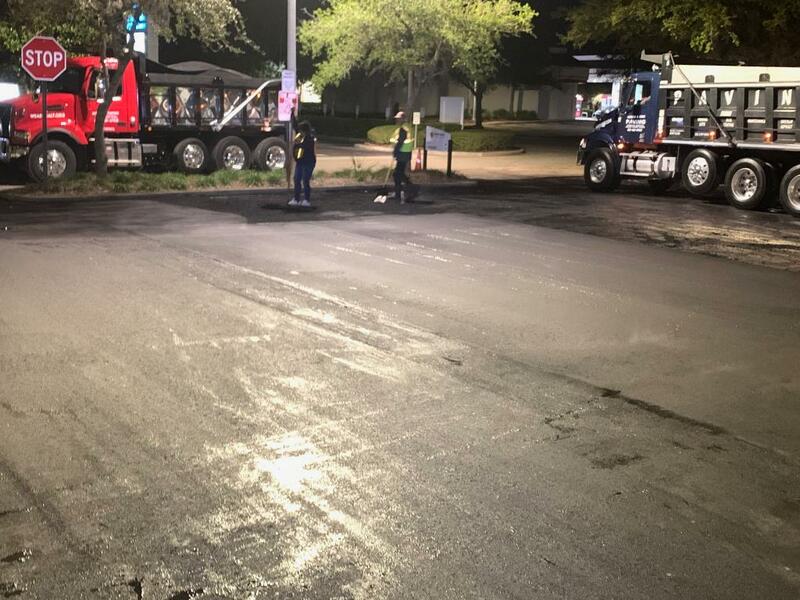 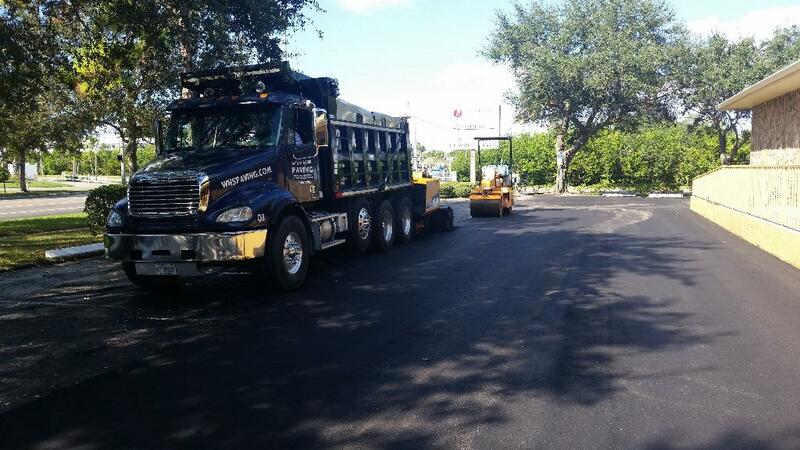 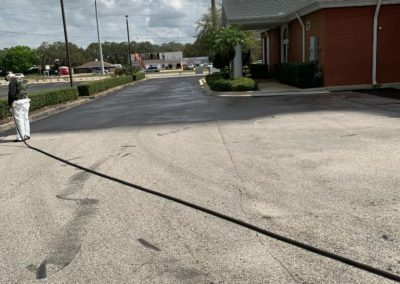 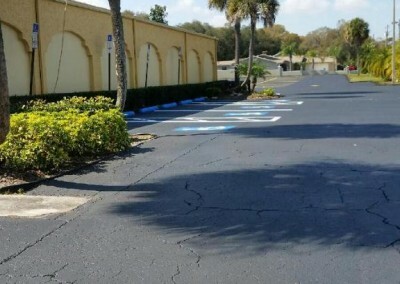 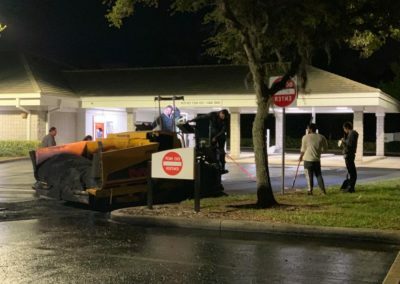 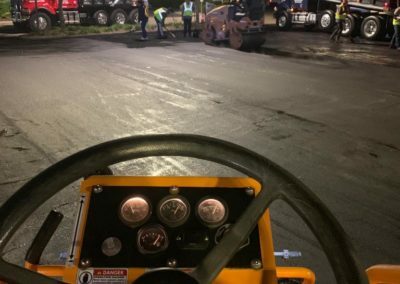 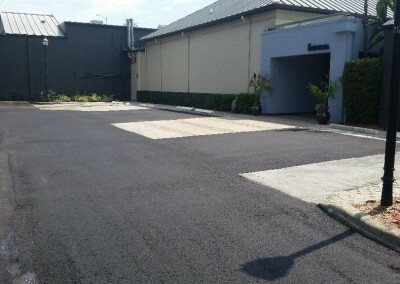 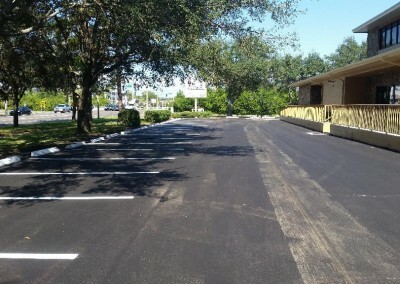 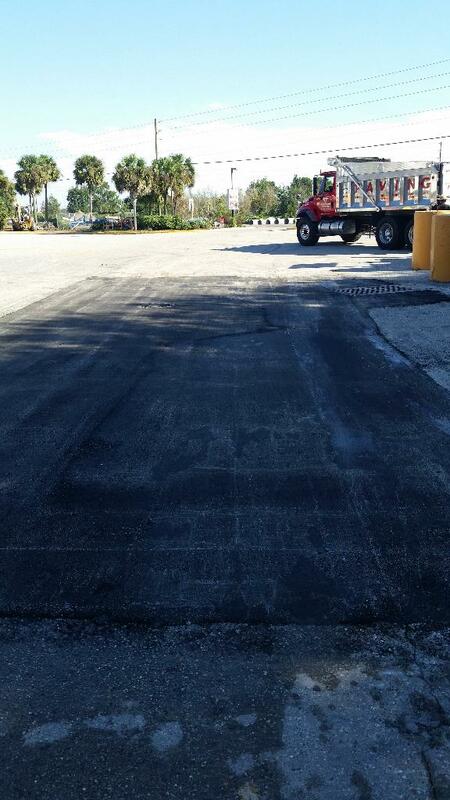 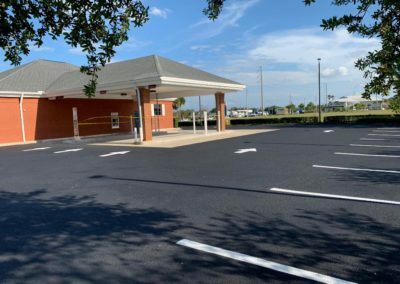 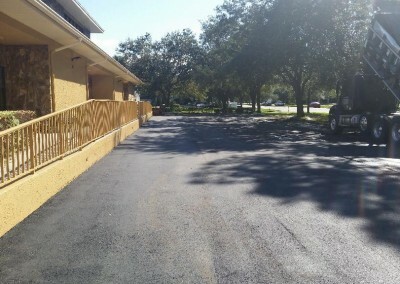 Babe’s Pizza – Brandon, Florida – Parking lot paving. 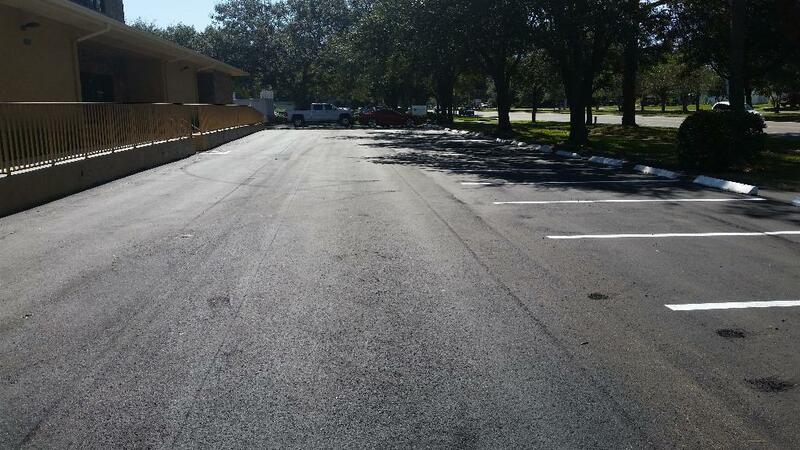 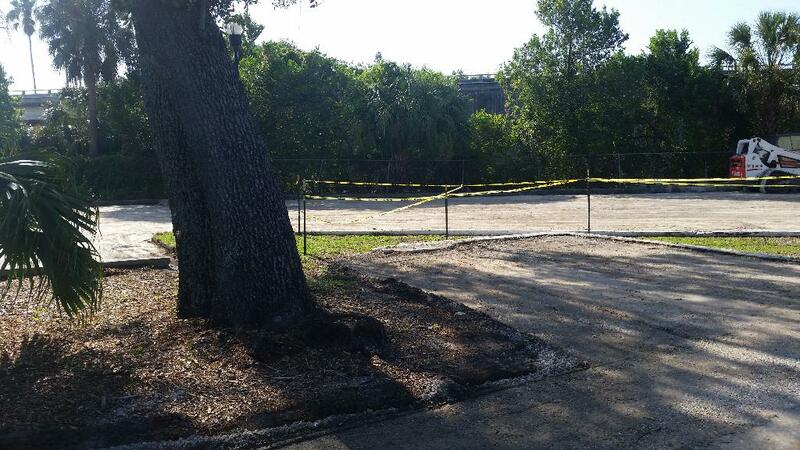 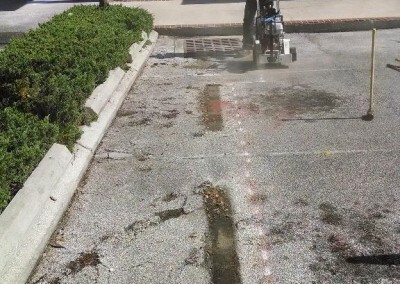 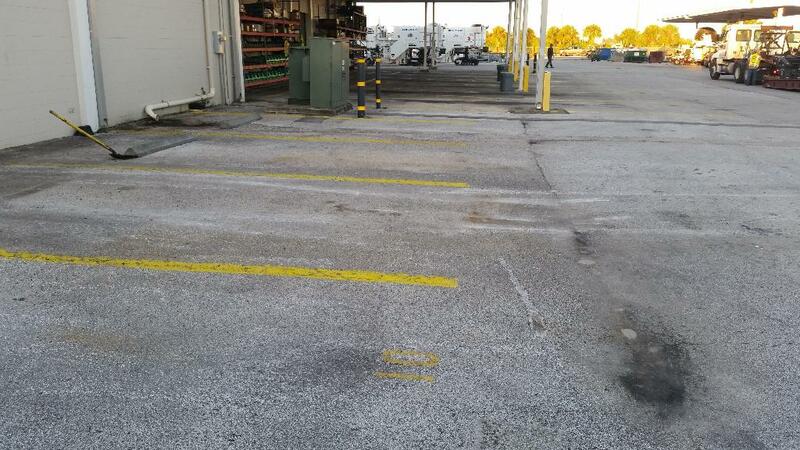 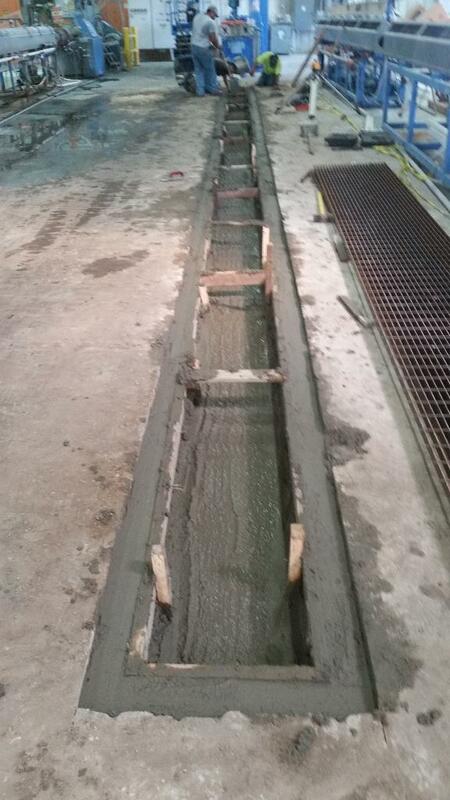 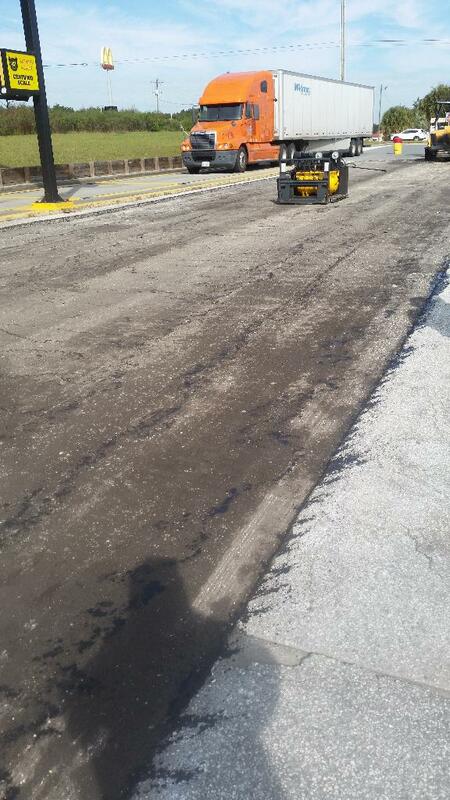 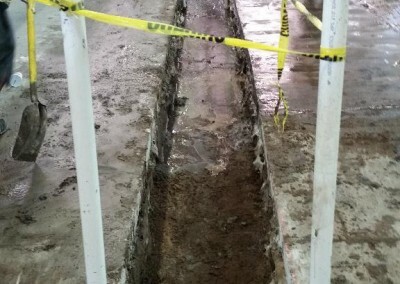 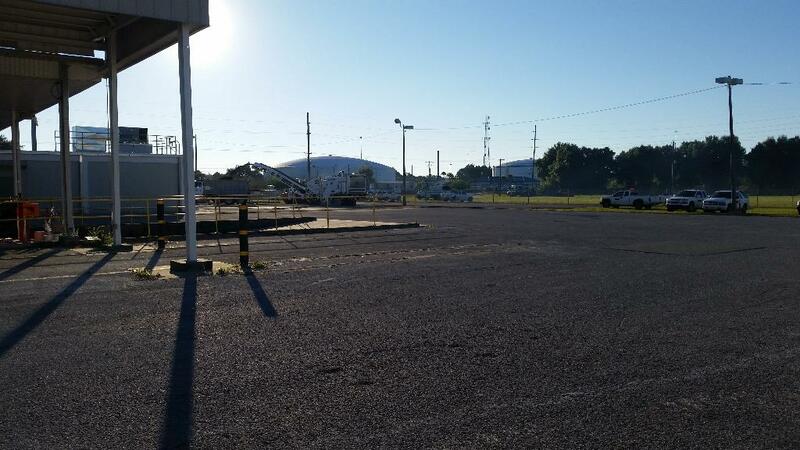 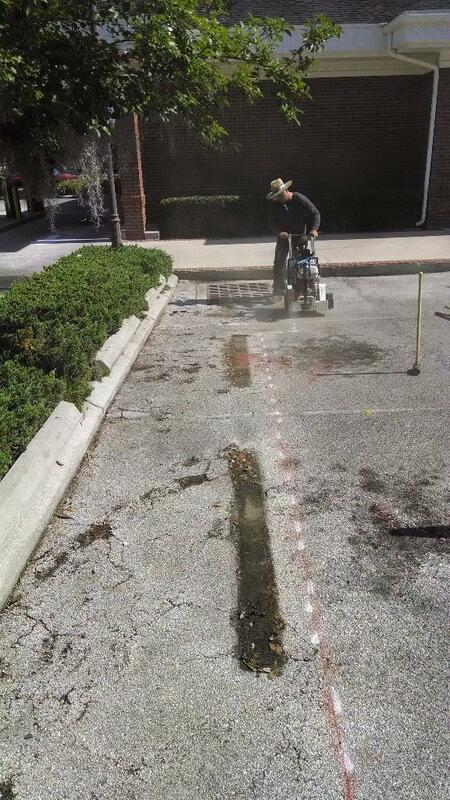 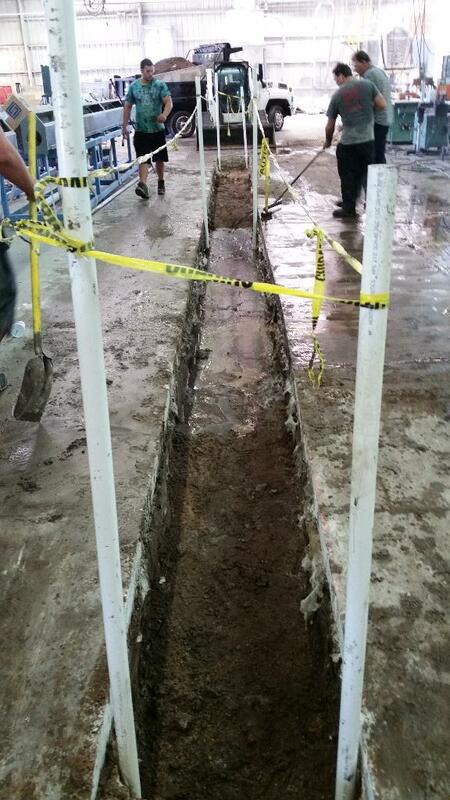 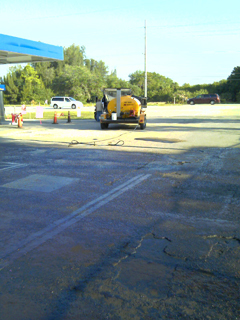 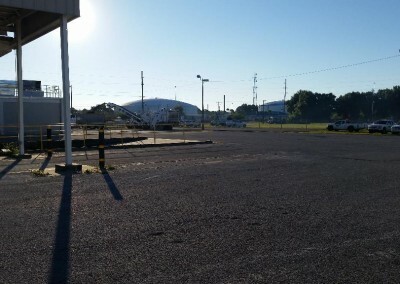 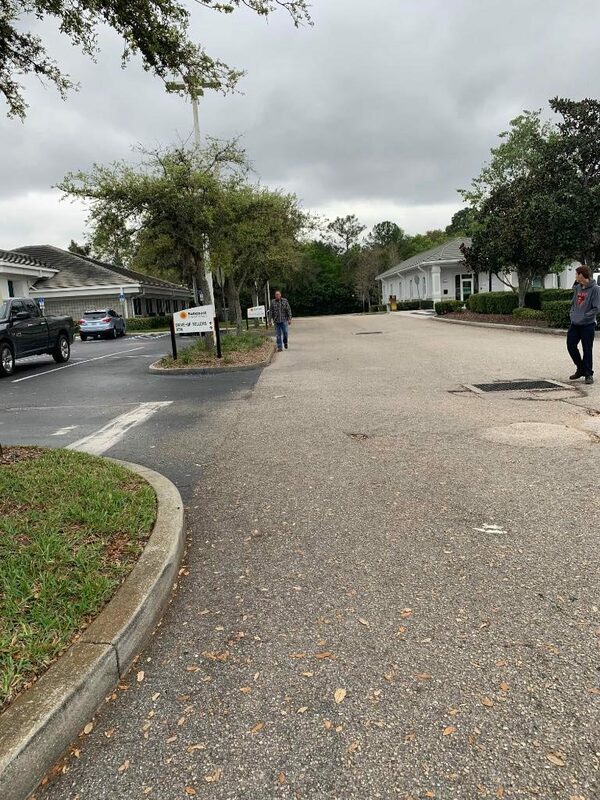 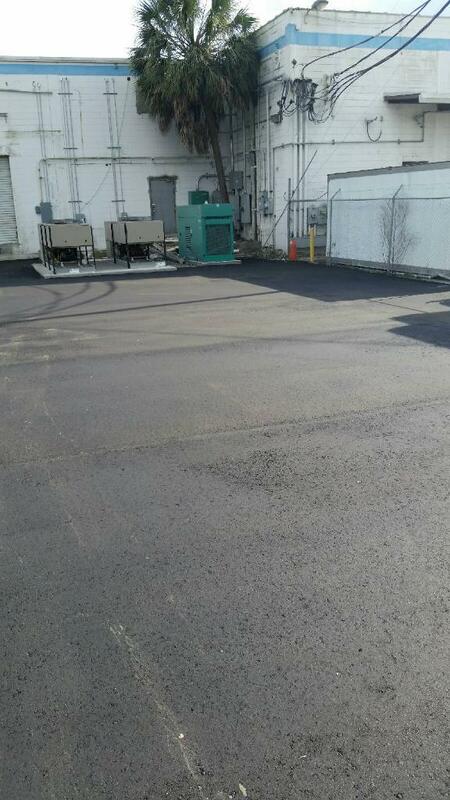 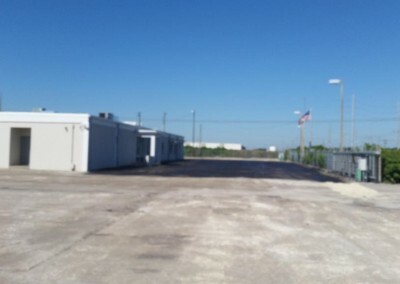 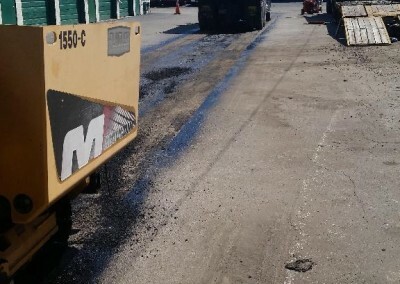 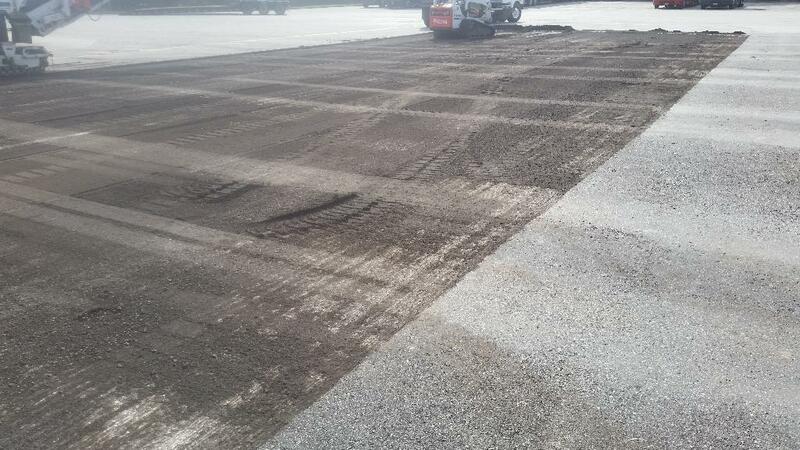 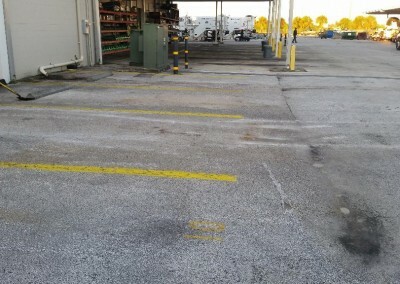 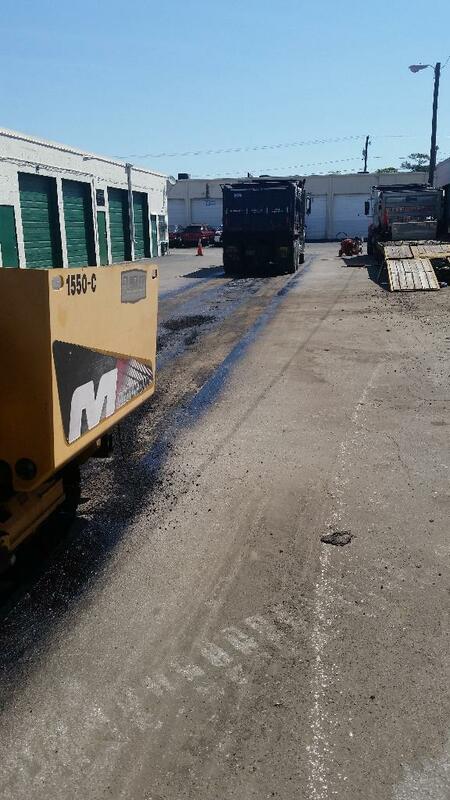 Marco Dixie Project – We overlaid the parking lot to take out water issue. 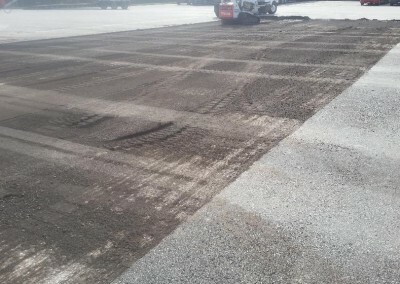 Please excuse the large mass of gallery photos, we wanted to show you some of our great bodies of work however we have to tidy this section of the site a bit so we can give location credit.